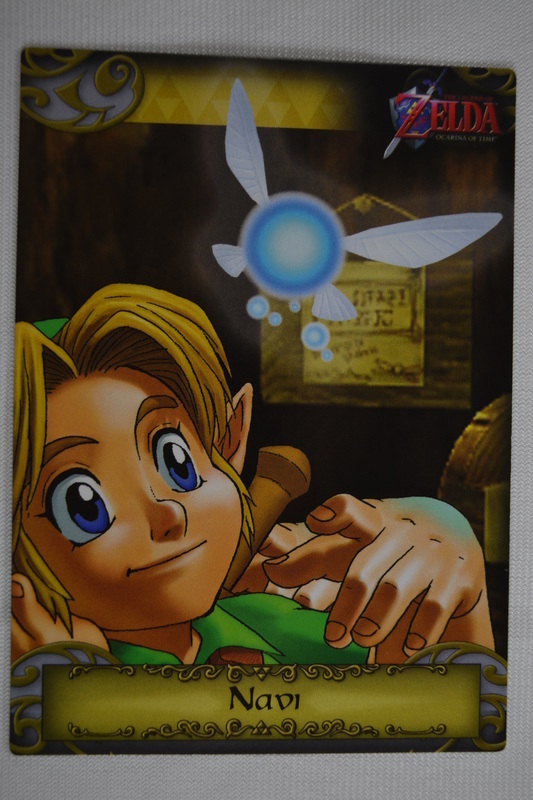 Game Title: The Legend of Zelda: Ocarina of Time, The Legend of Zelda: Majora's Mask, The Legend of Zelda: Twilight Princess, The Legend of Zelda: Skyward Sword, The Legend of Zelda: A Link Between Worlds. 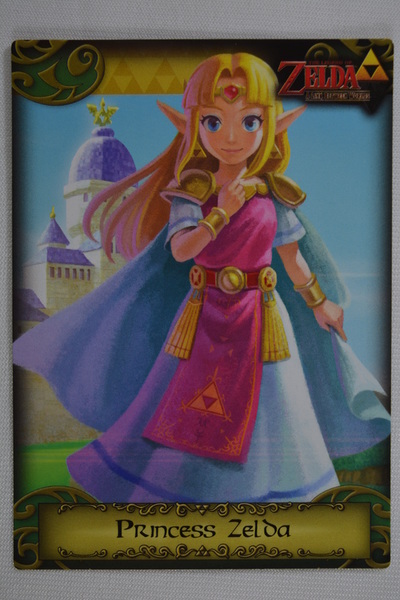 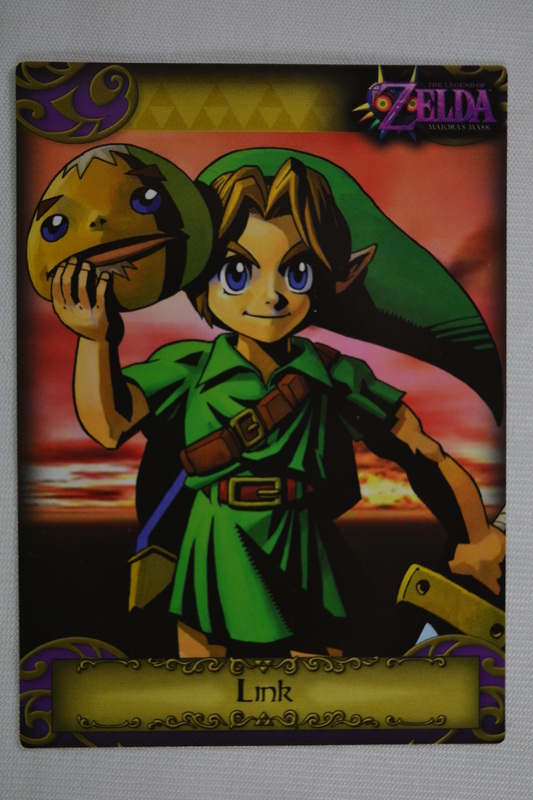 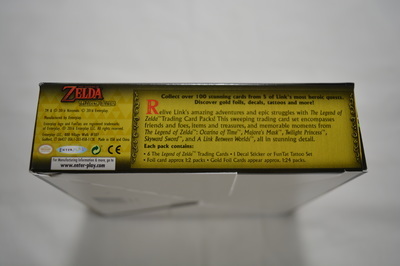 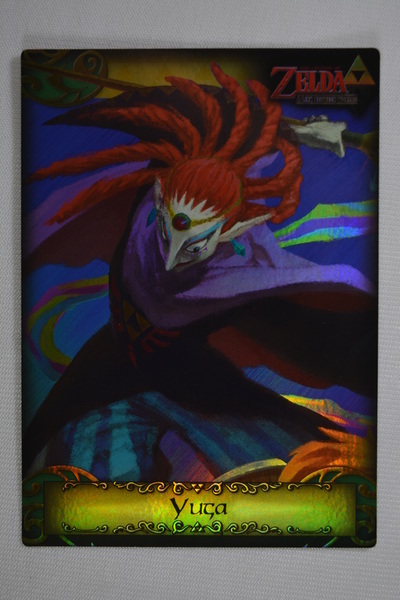 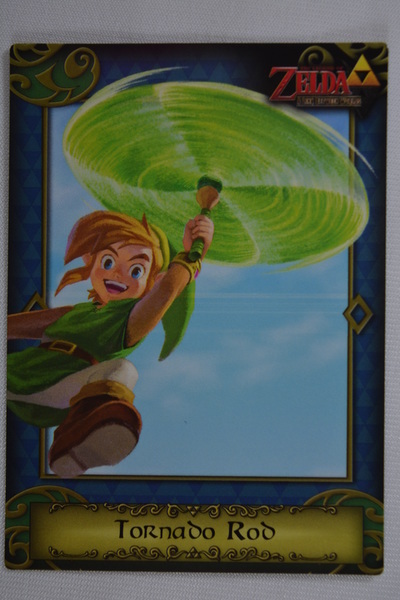 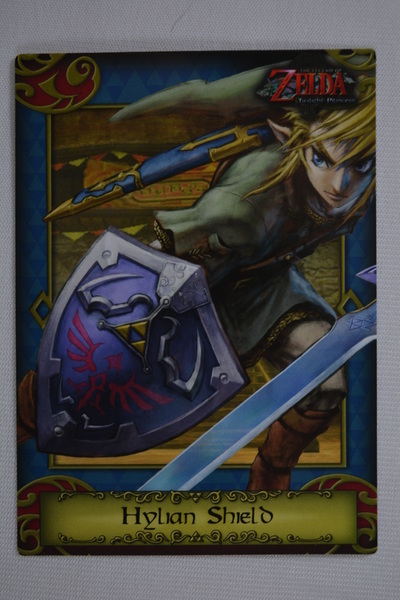 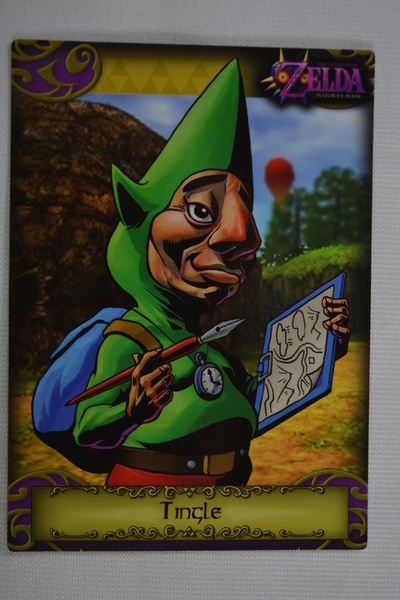 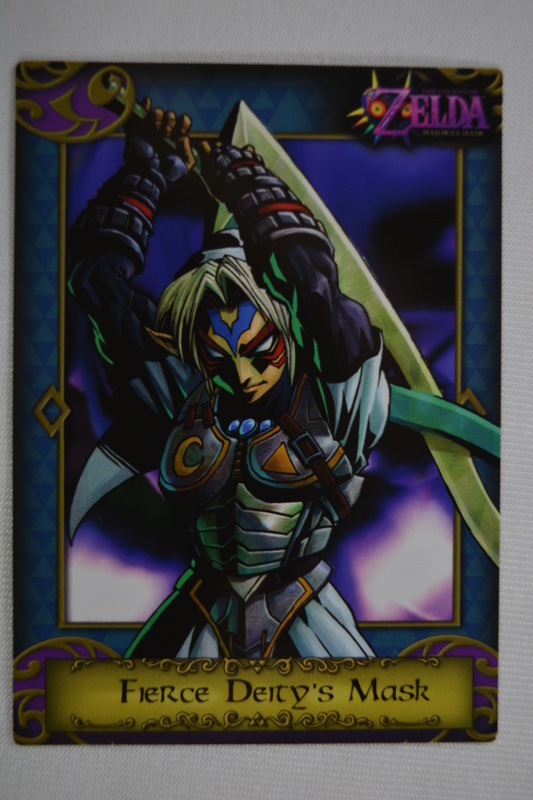 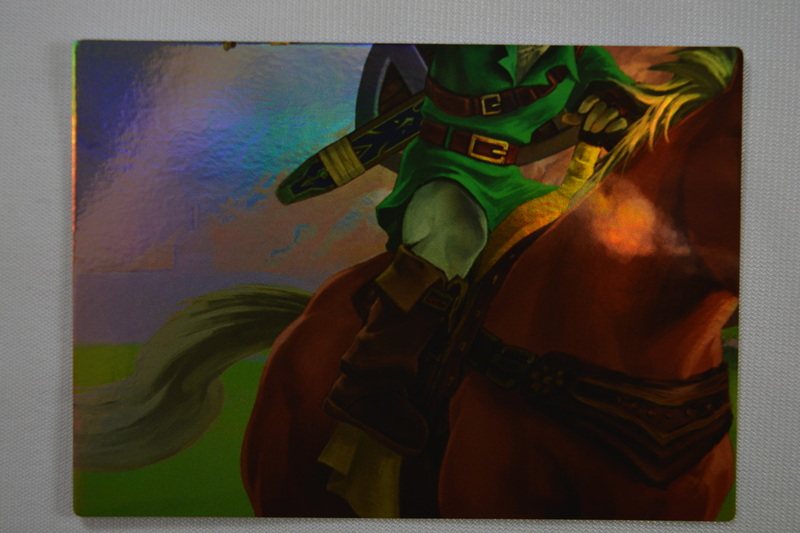 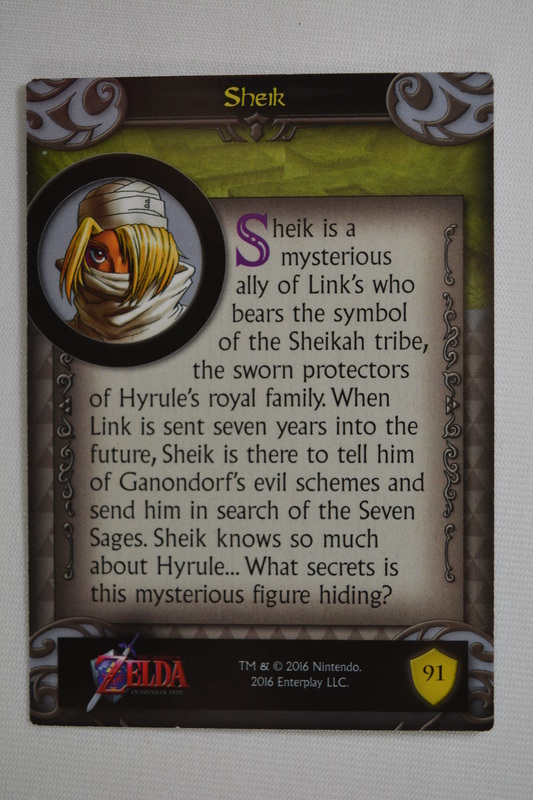 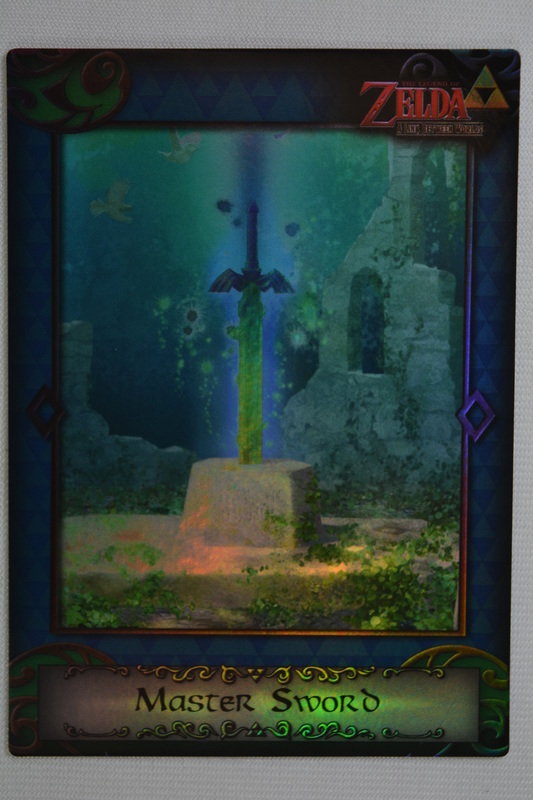 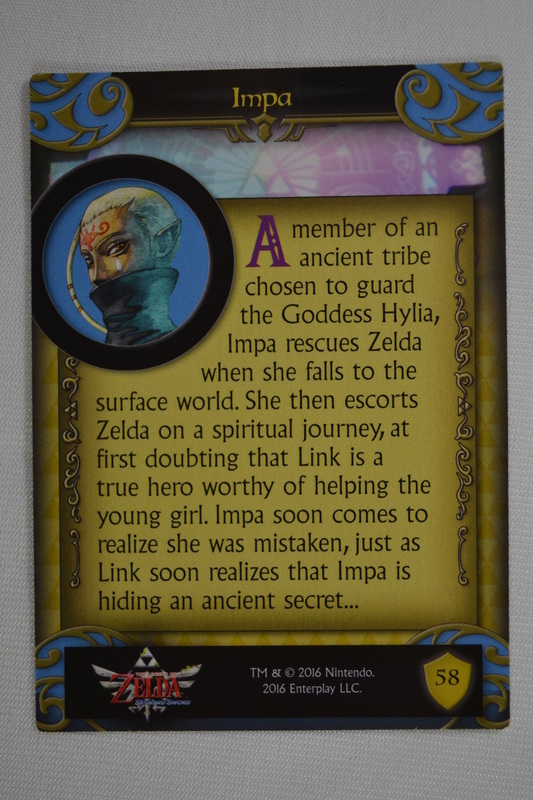 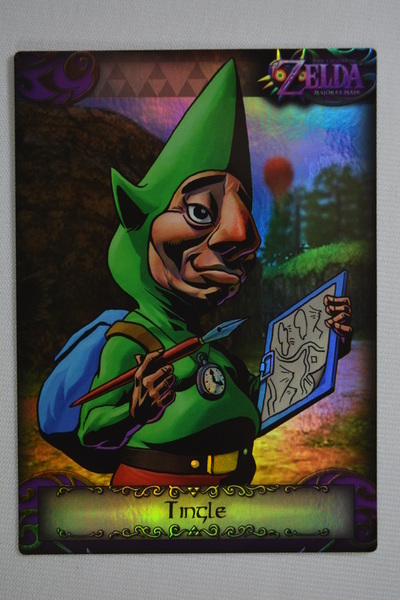 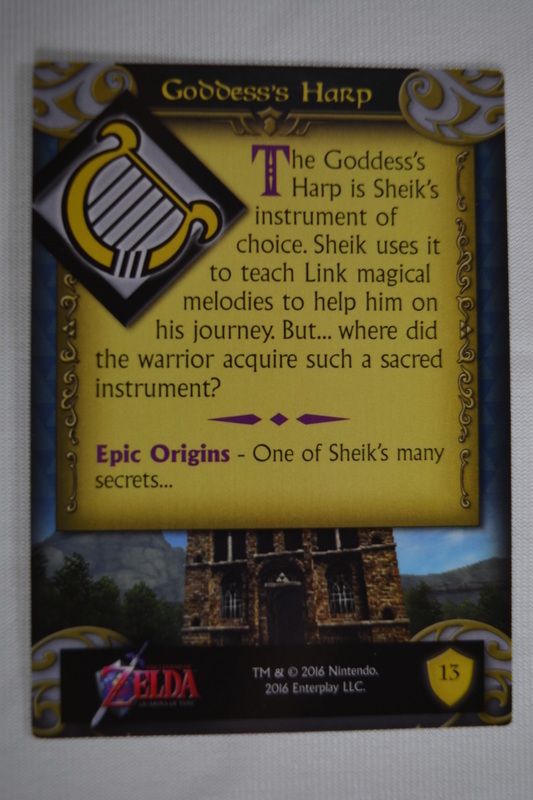 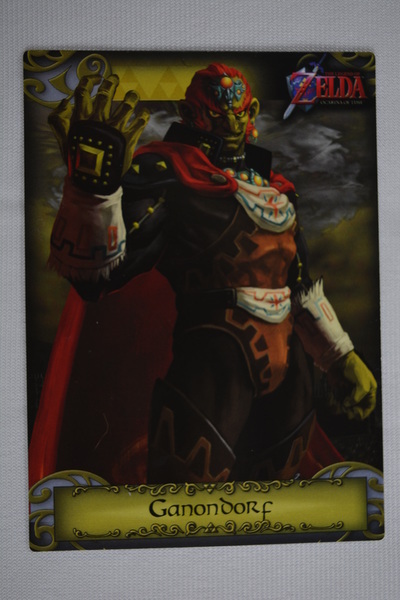 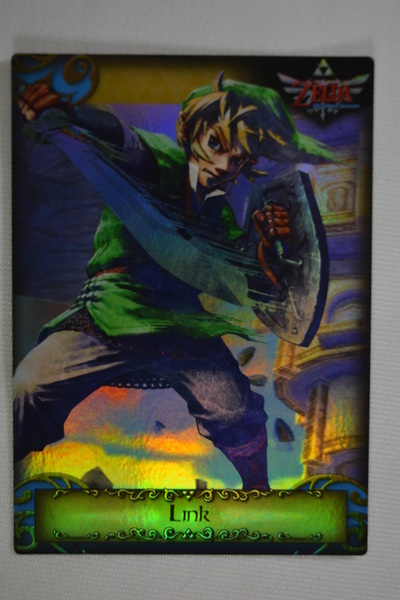 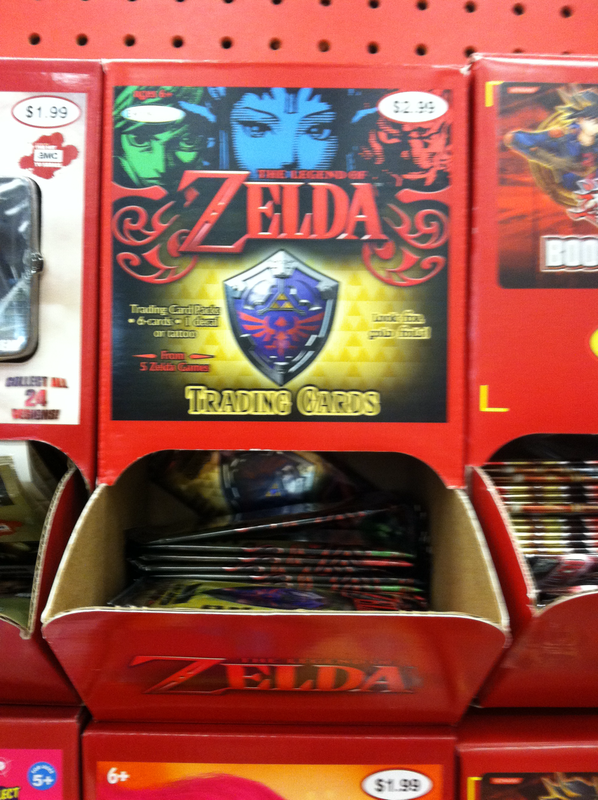 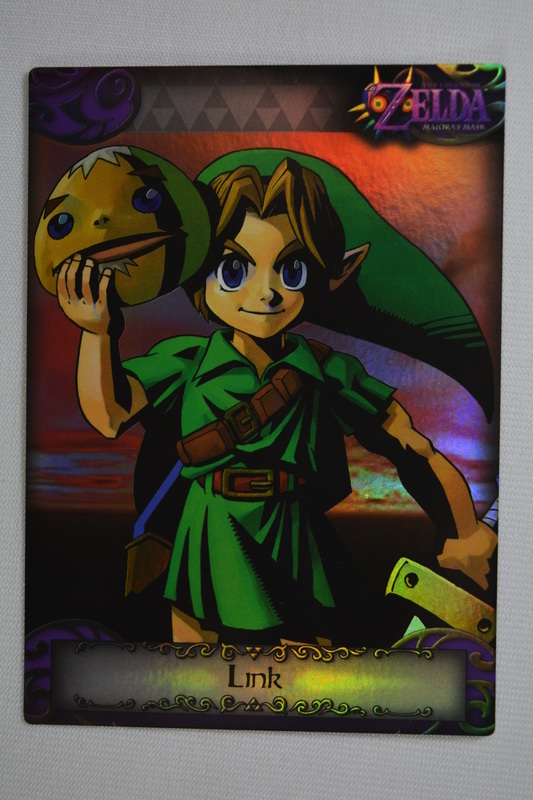 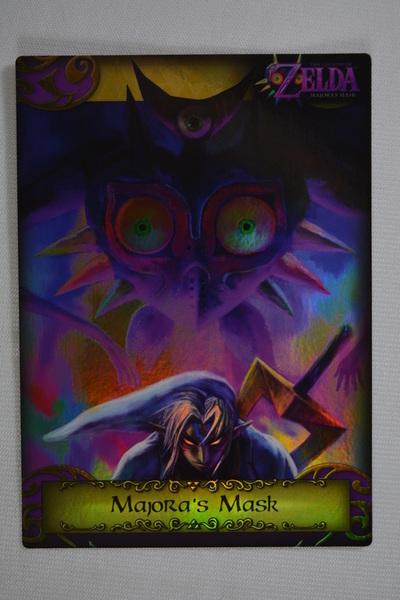 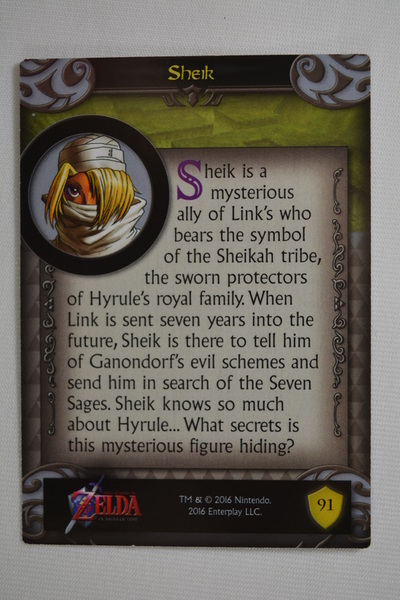 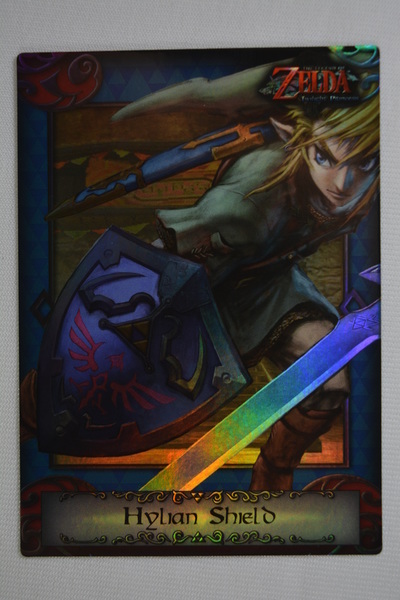 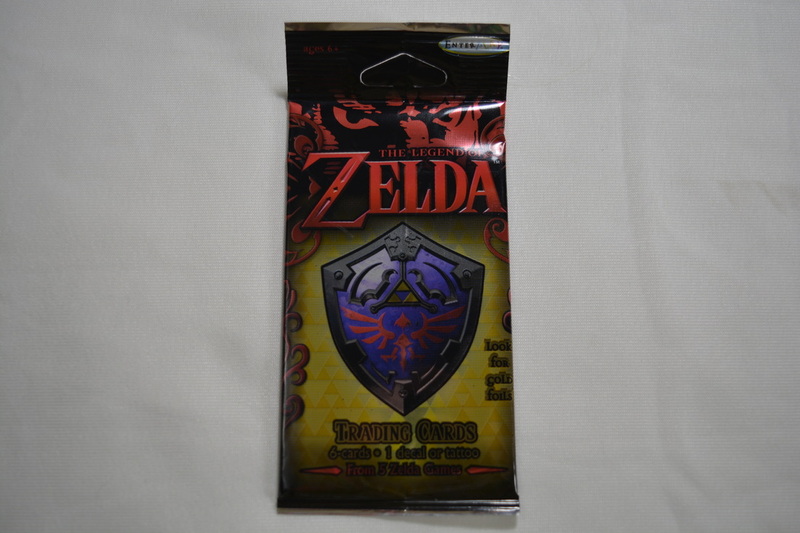 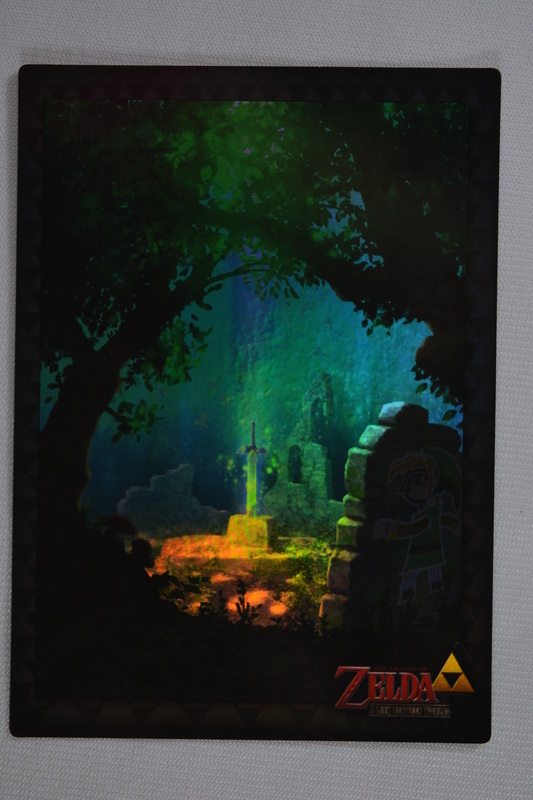 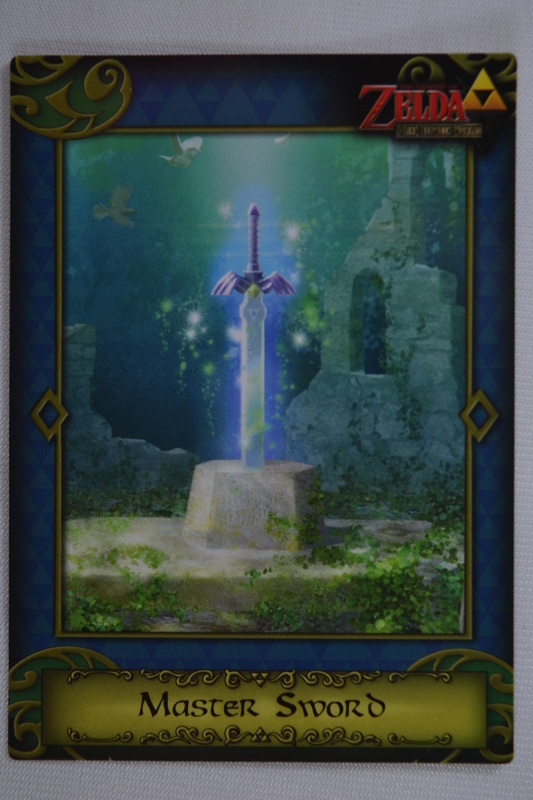 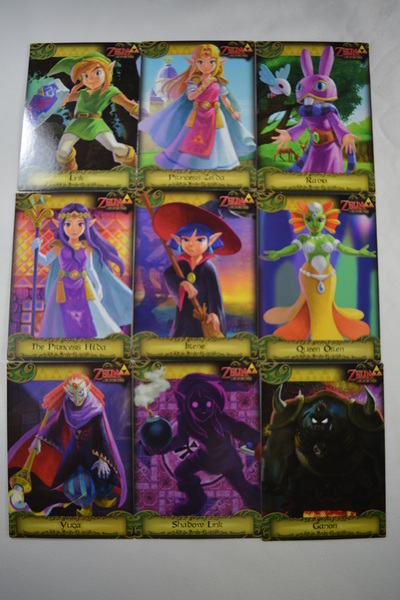 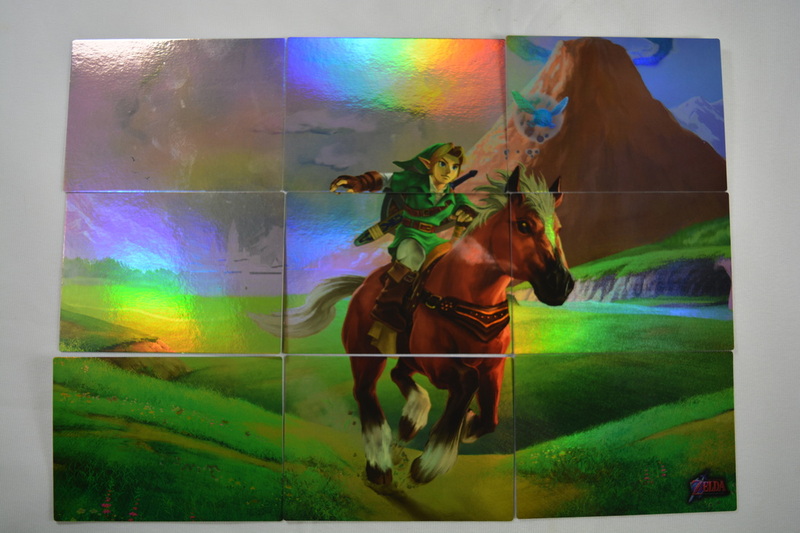 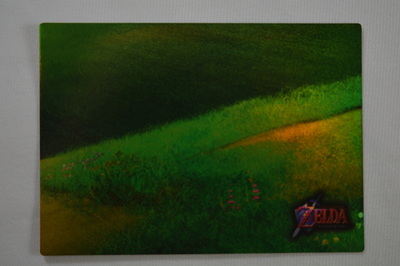 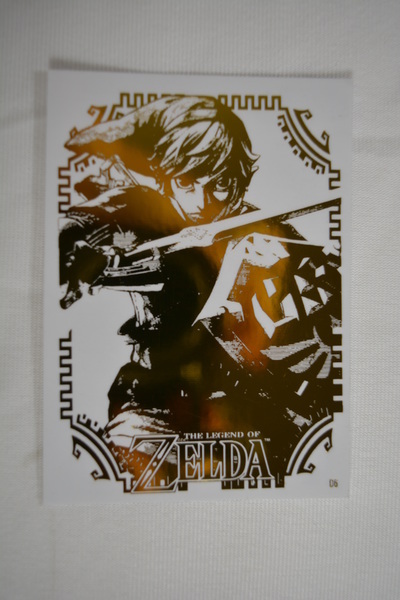 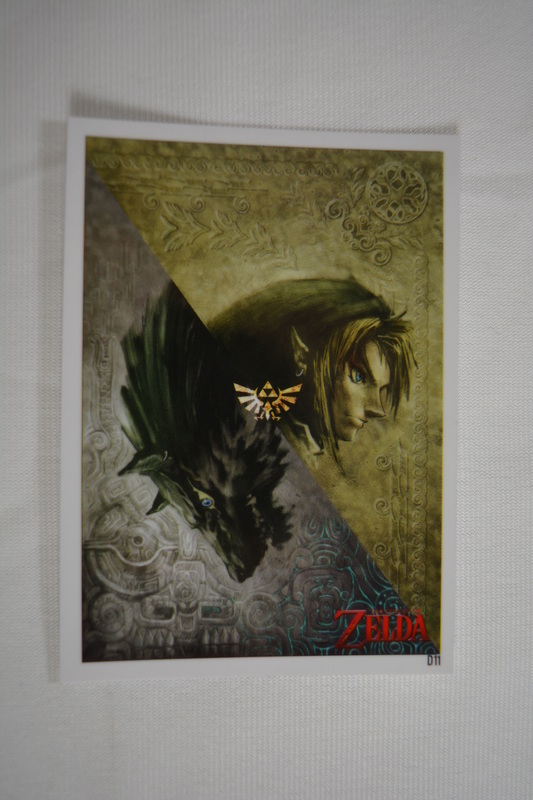 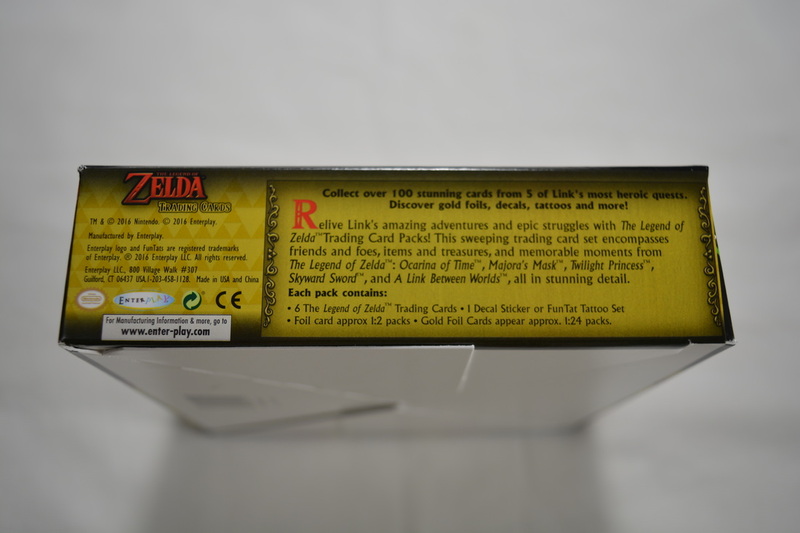 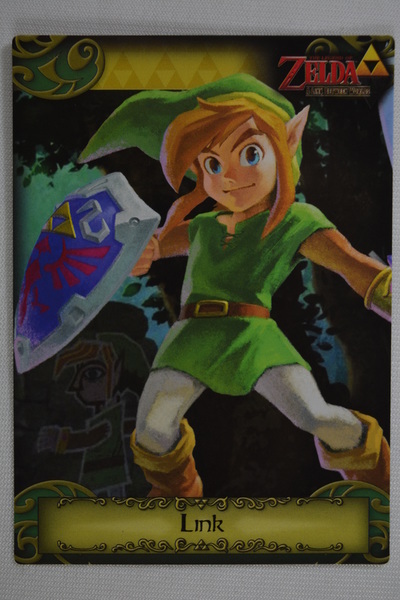 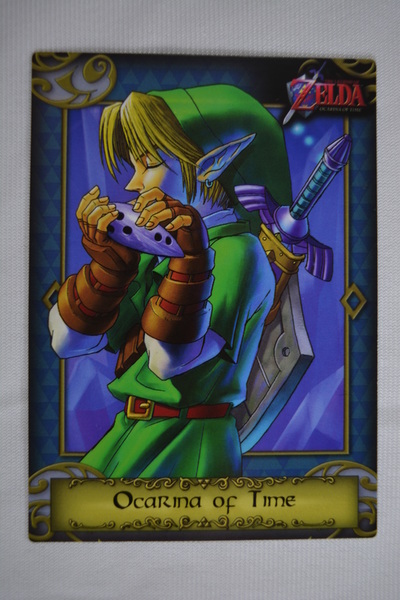 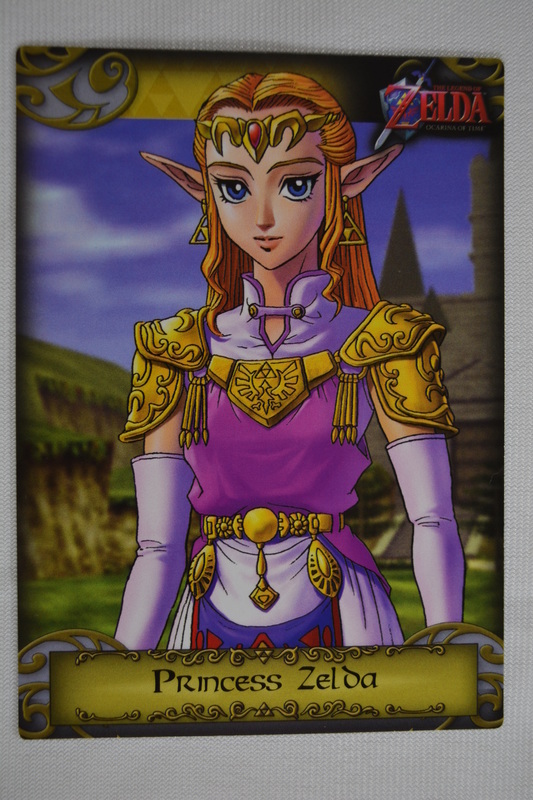 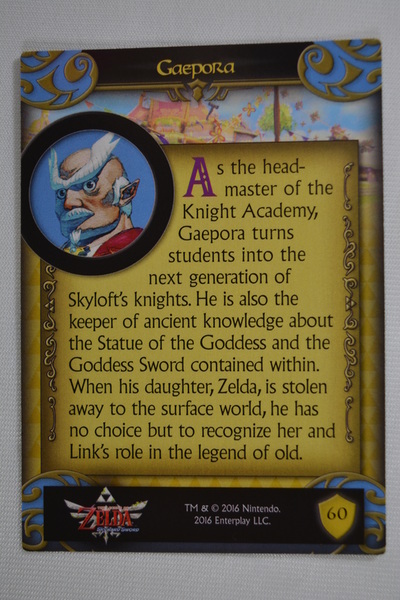 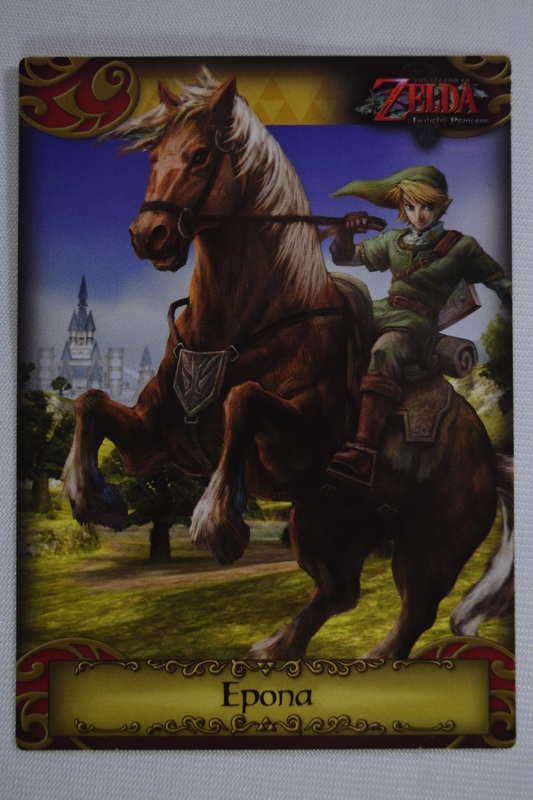 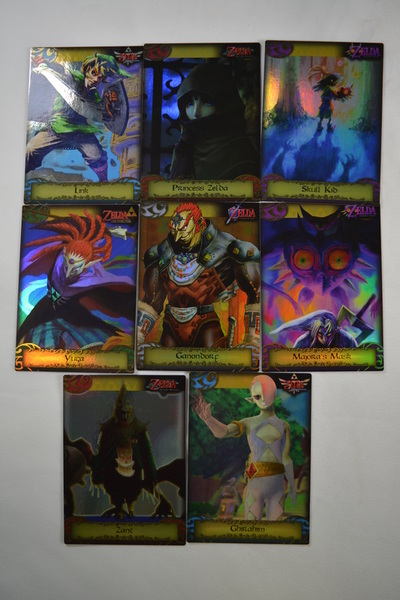 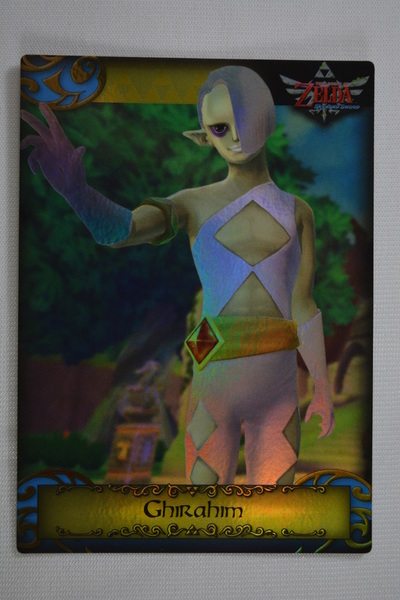 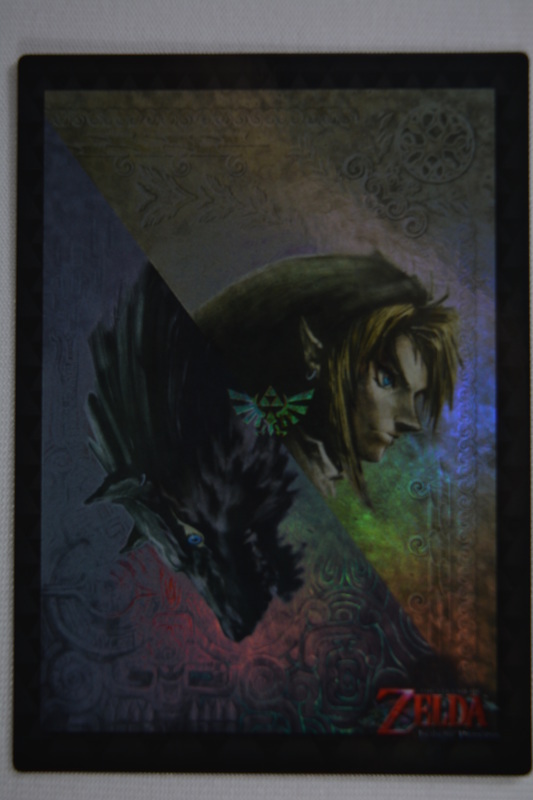 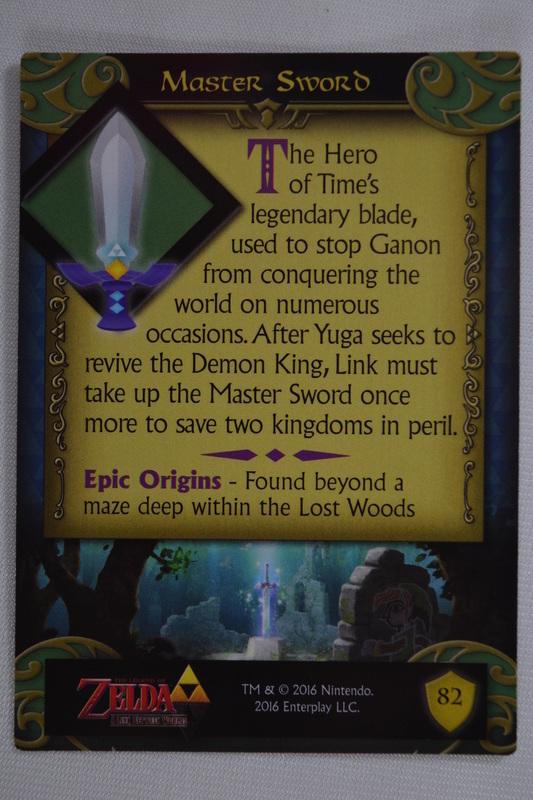 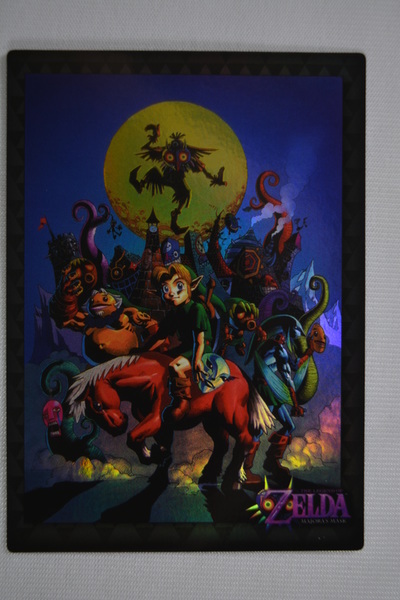 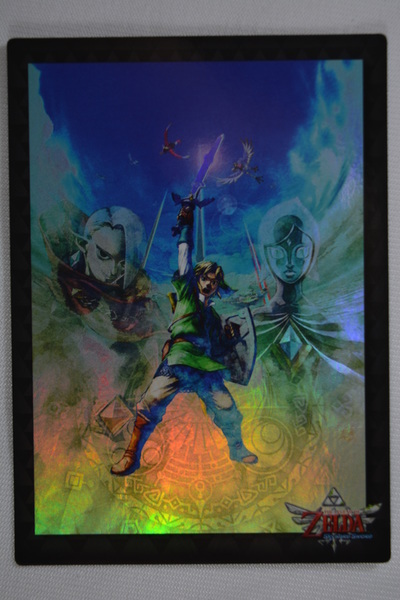 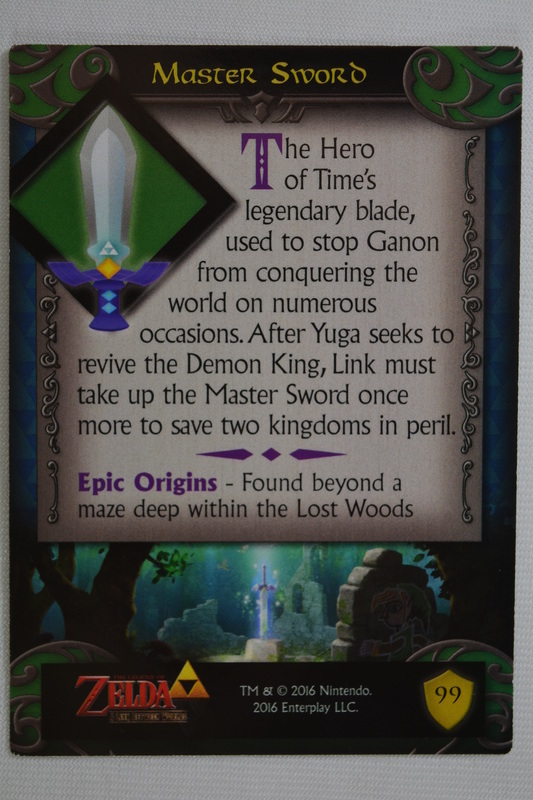 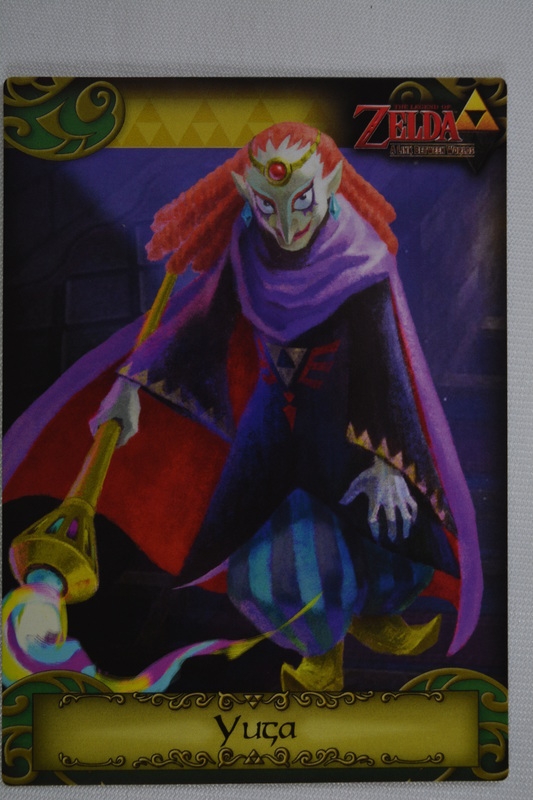 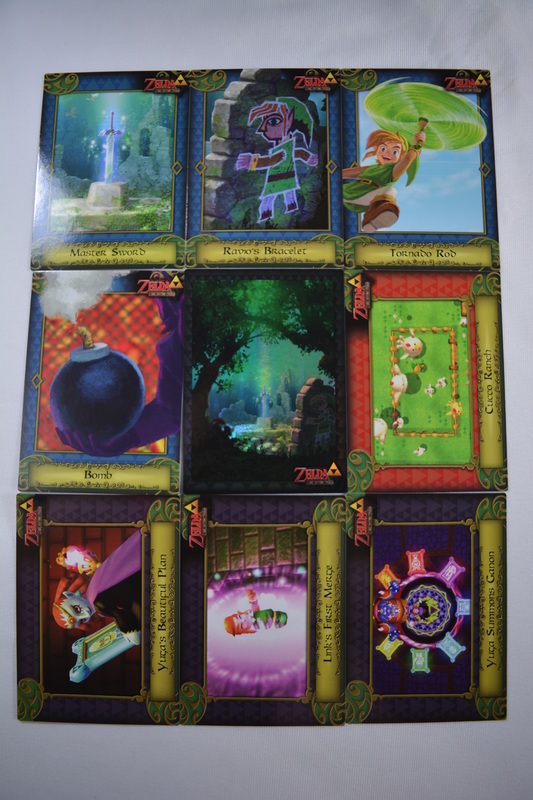 Other Info: After many delays the EnterPLAY 2016 Legend of Zelda Trading Cards have finally entered our reality in October 2016! 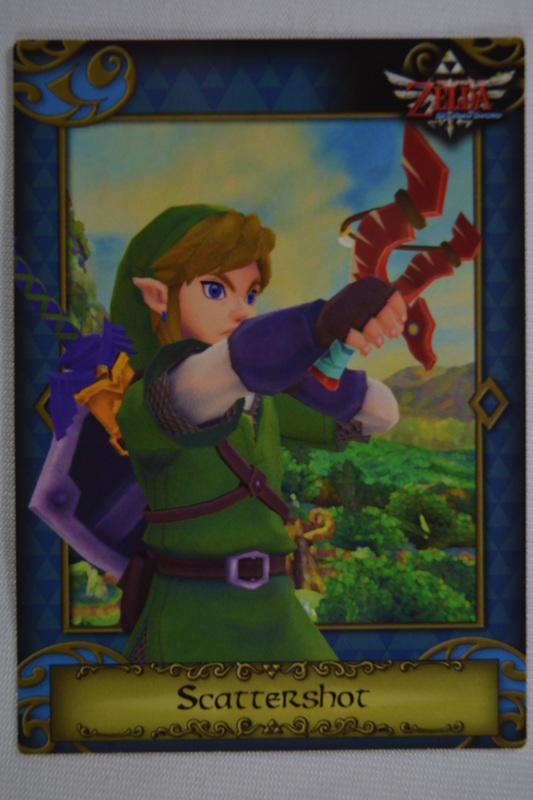 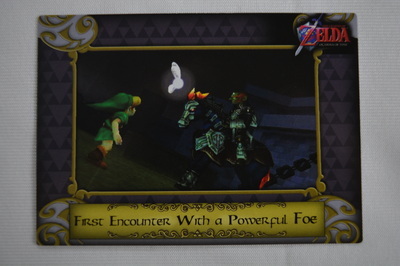 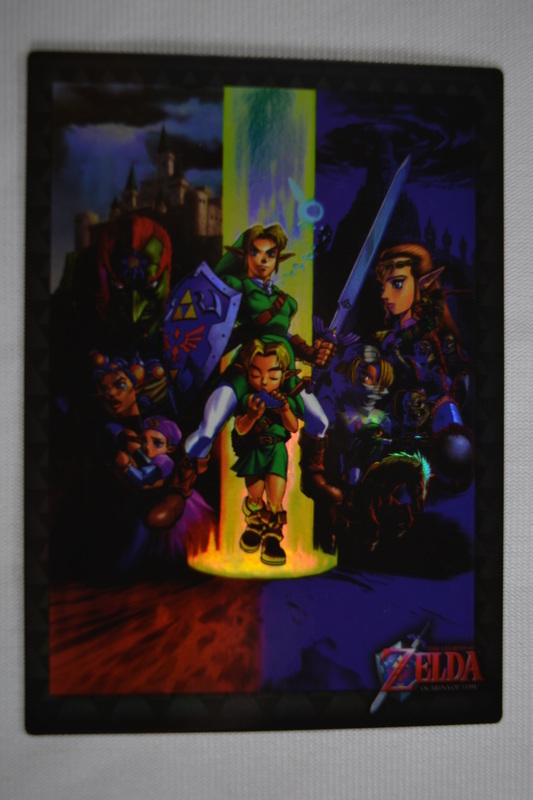 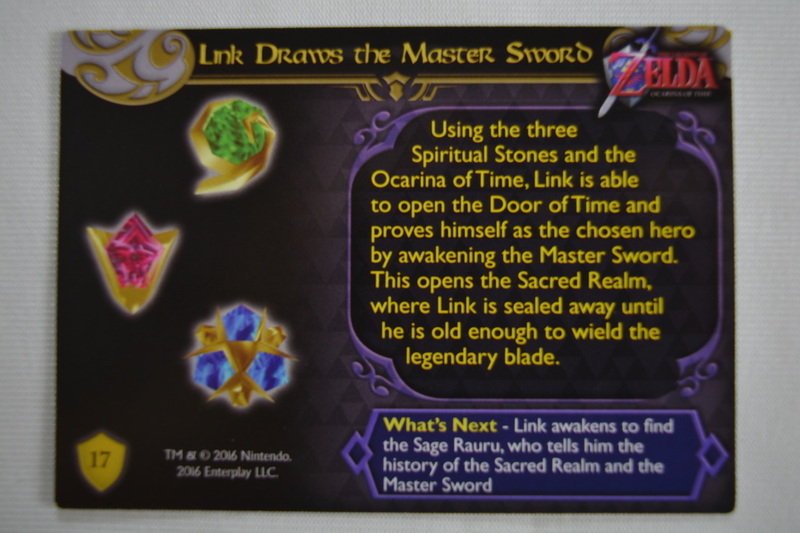 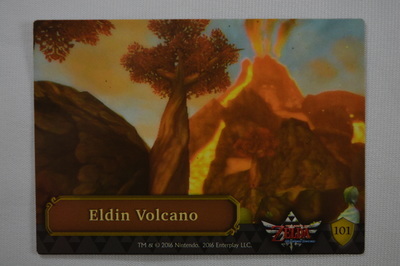 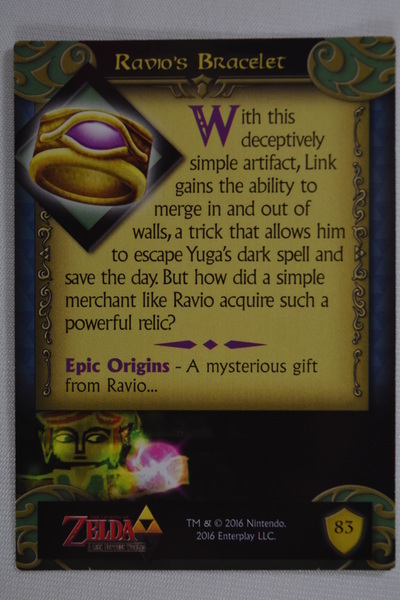 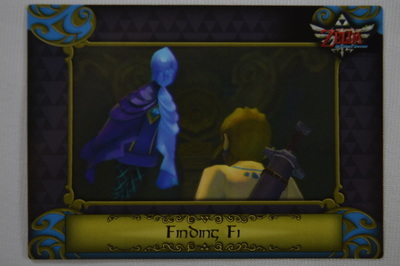 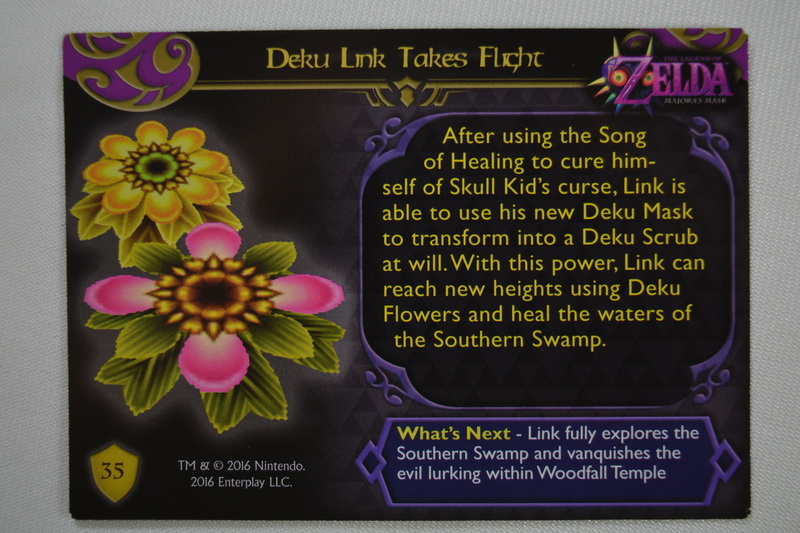 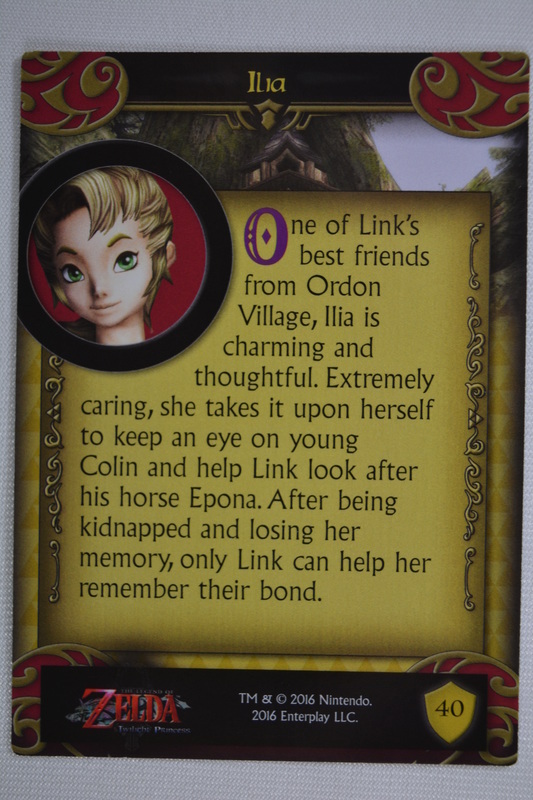 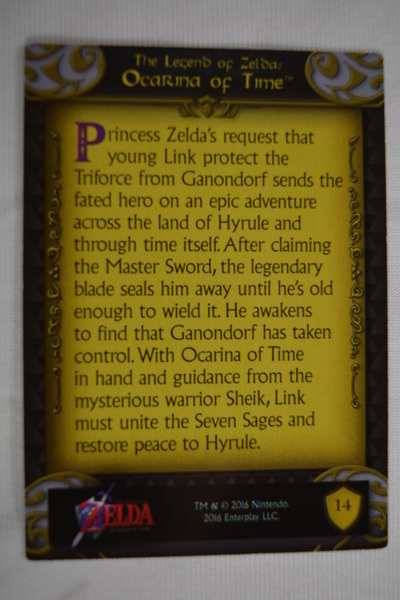 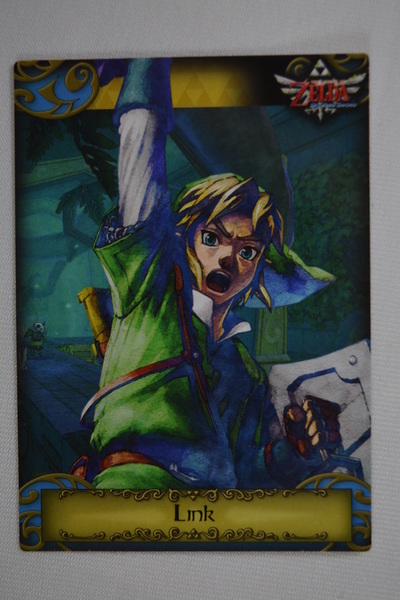 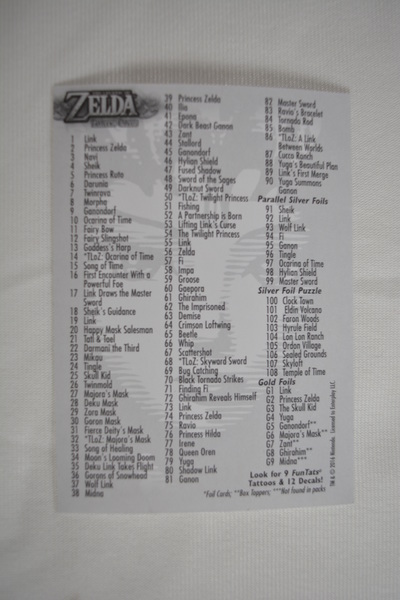 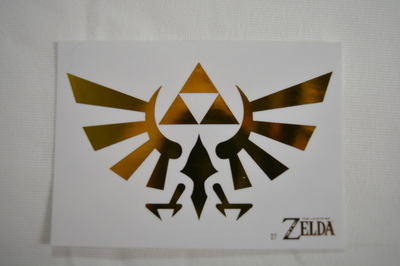 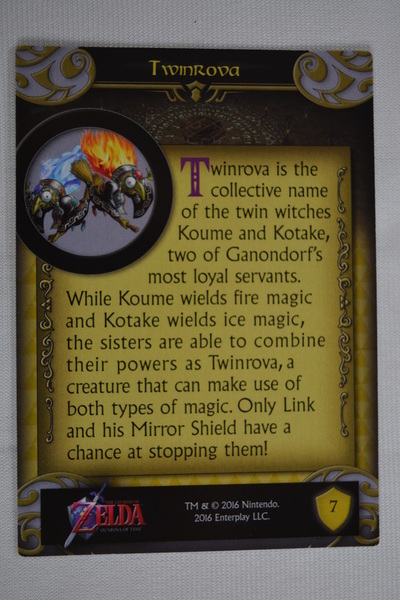 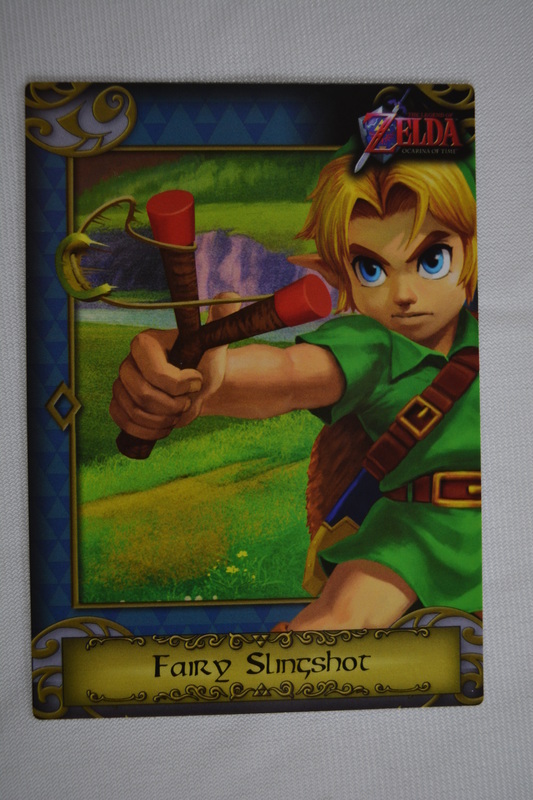 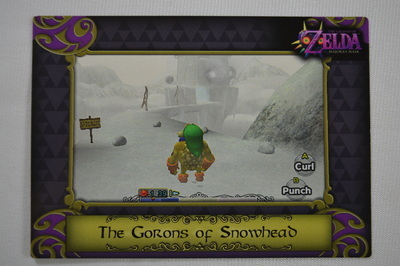 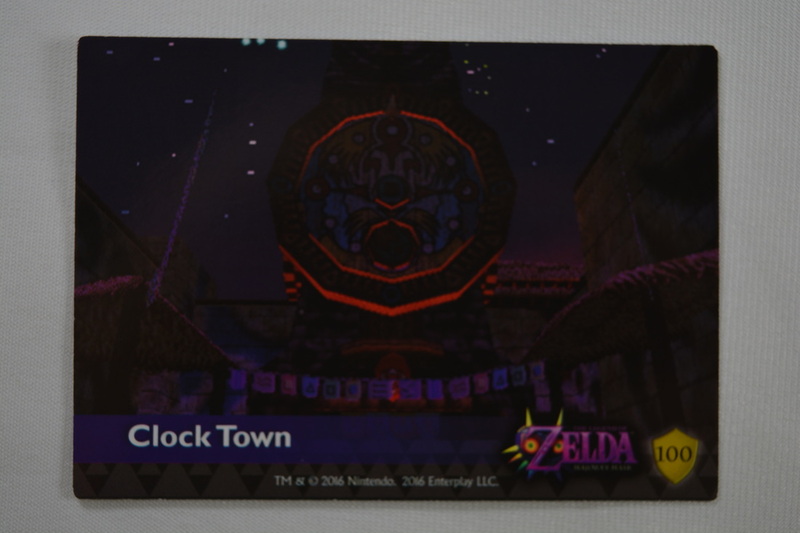 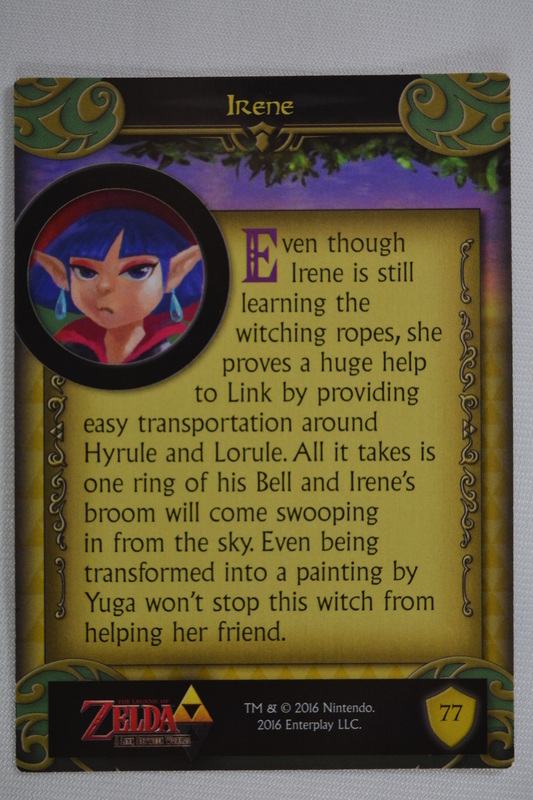 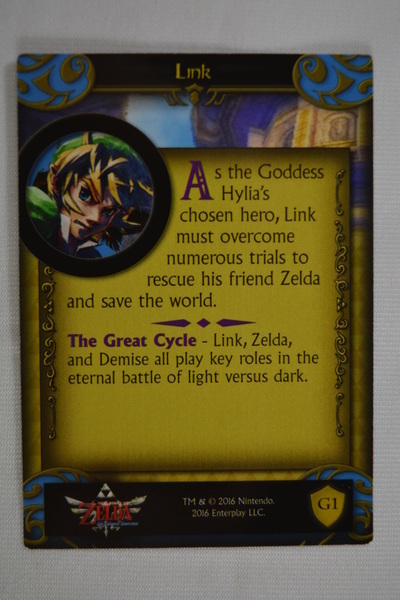 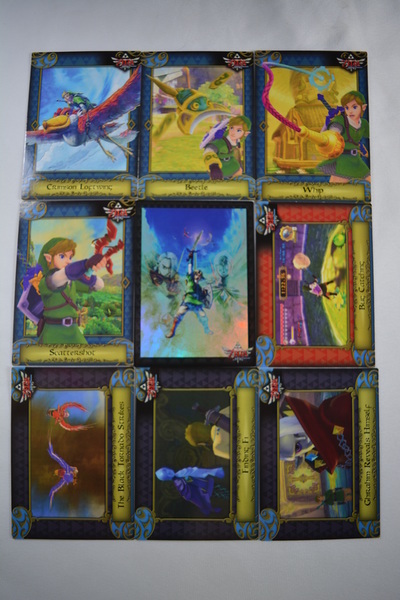 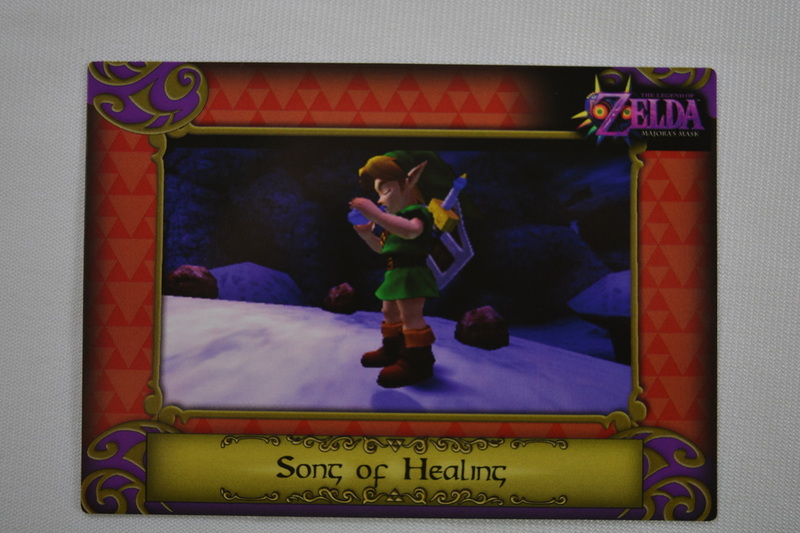 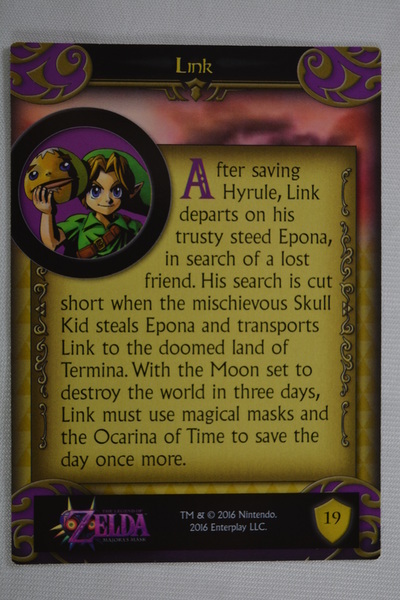 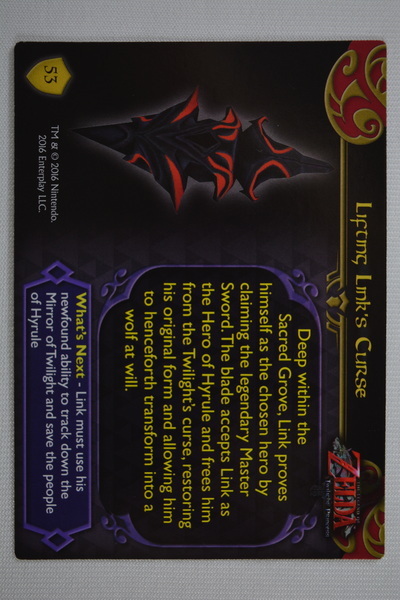 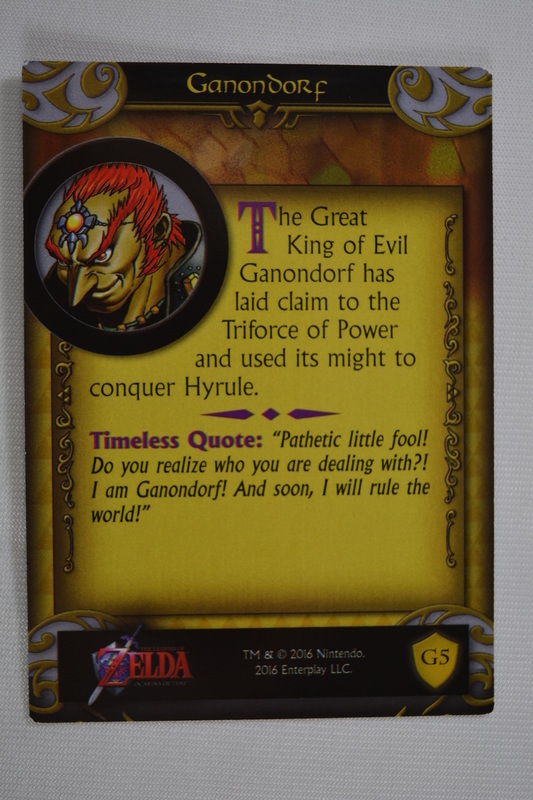 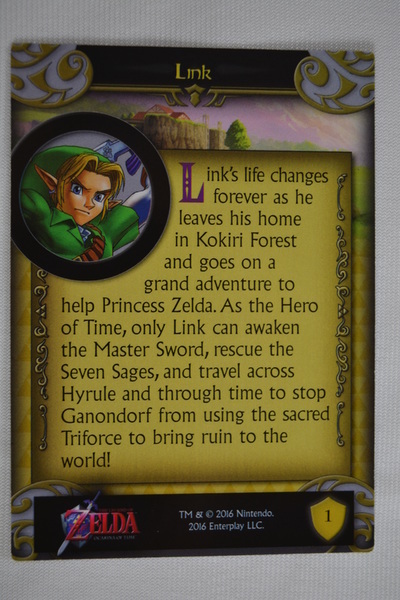 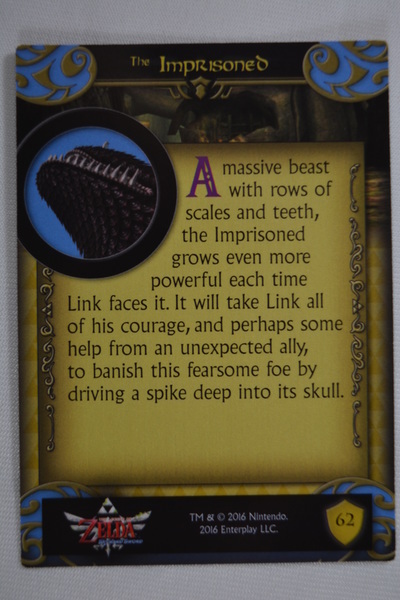 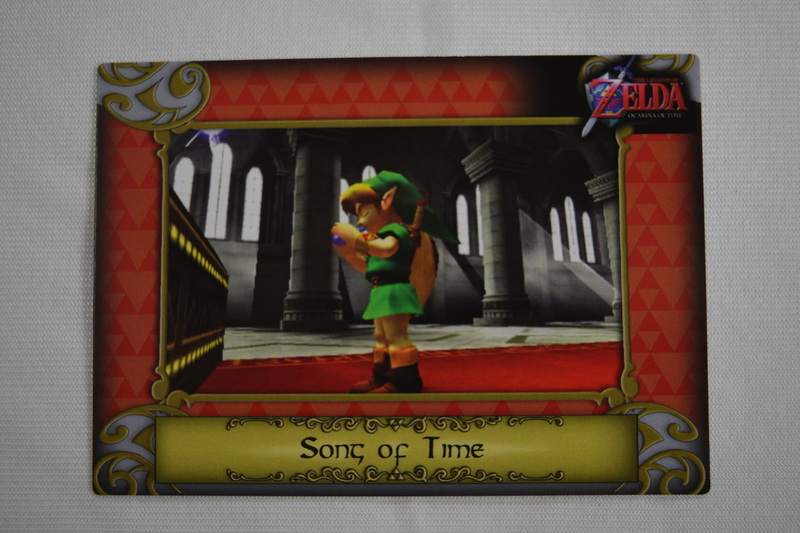 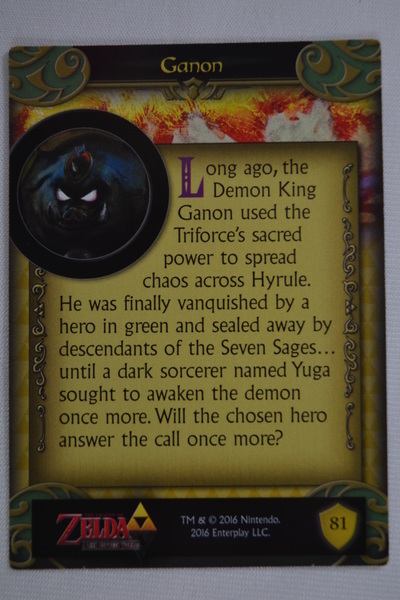 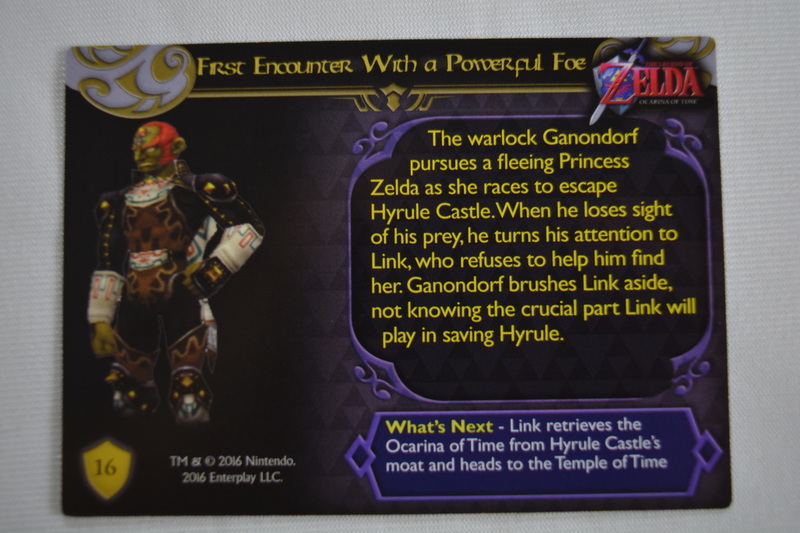 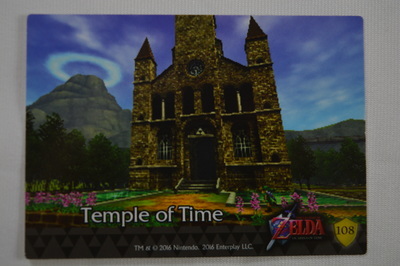 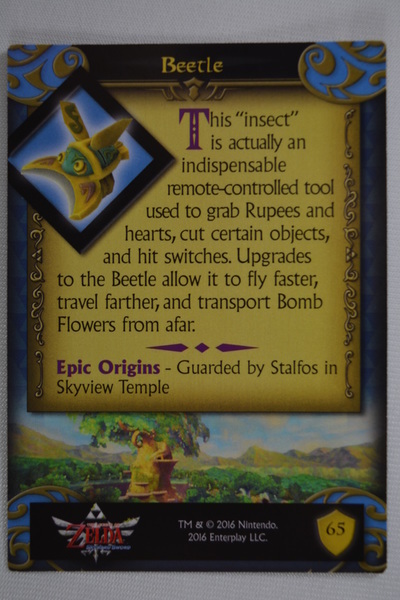 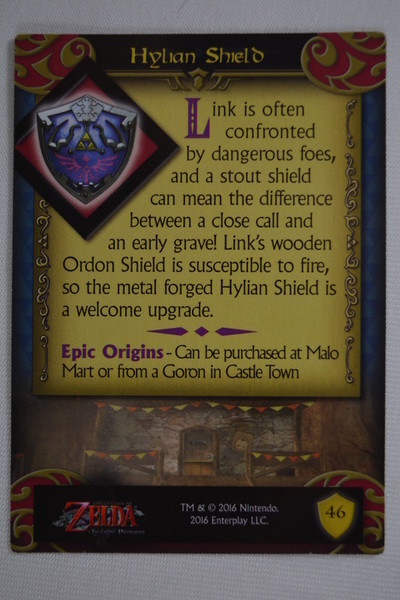 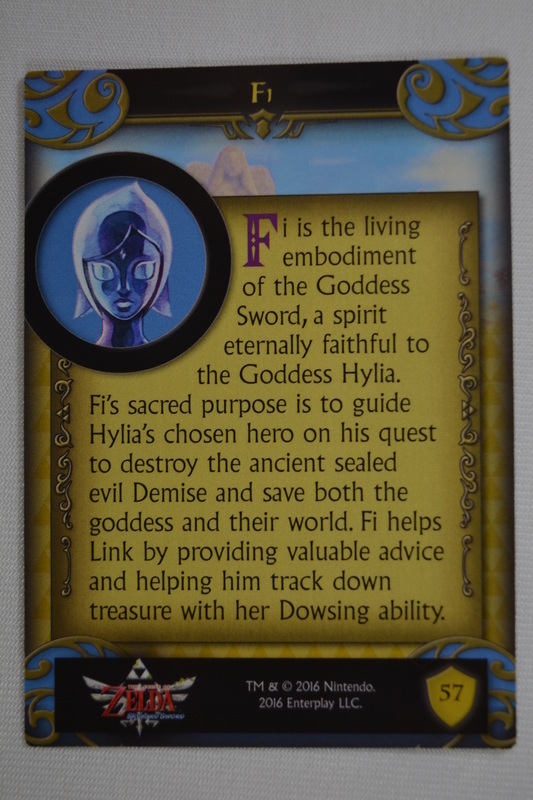 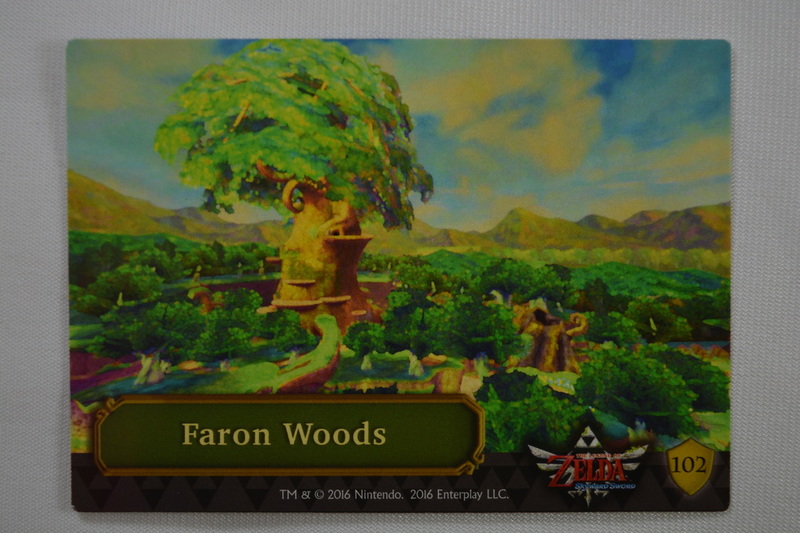 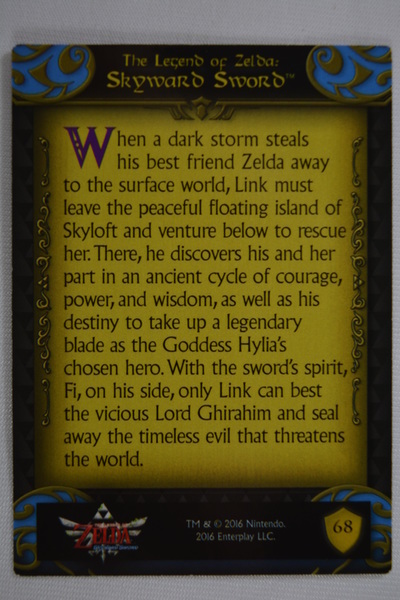 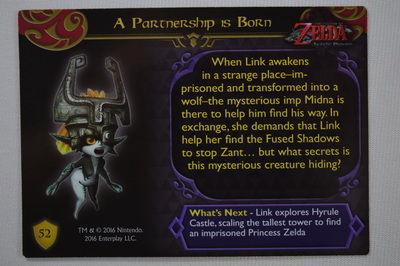 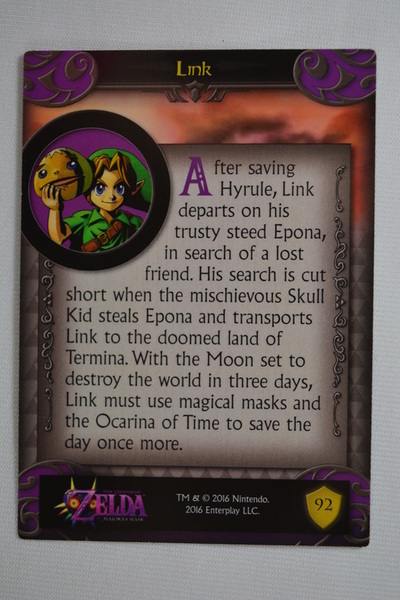 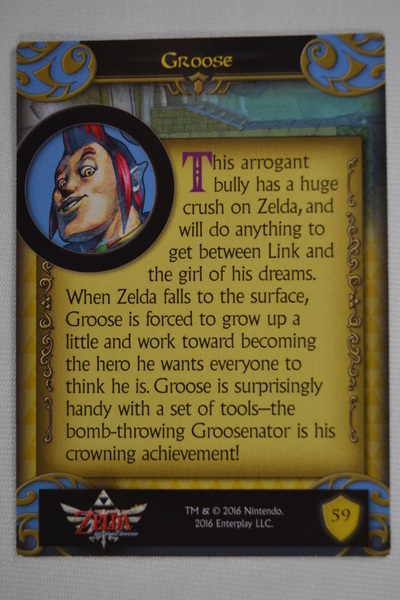 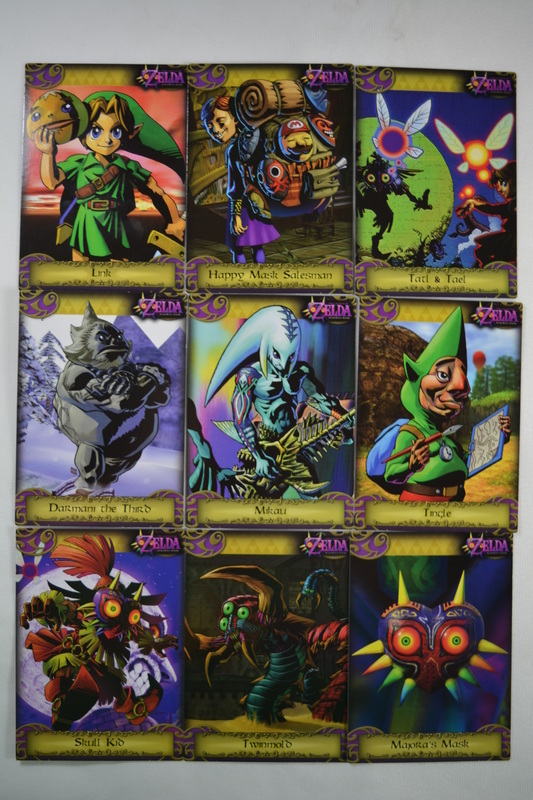 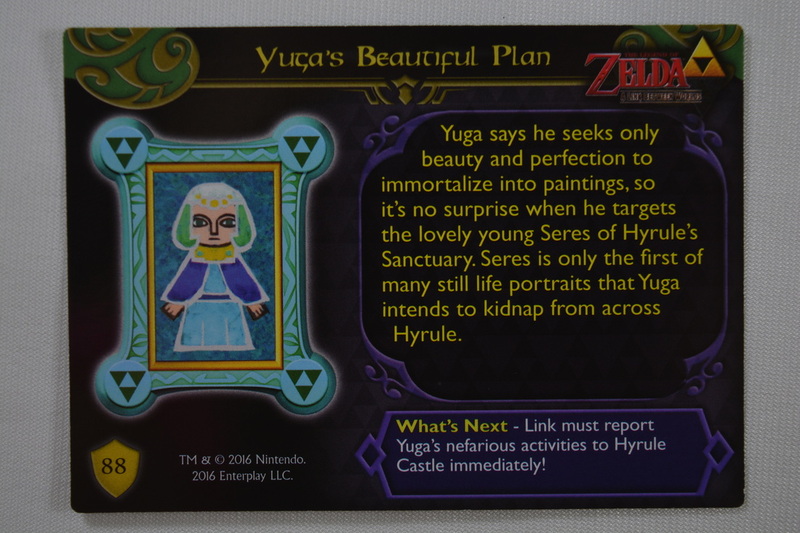 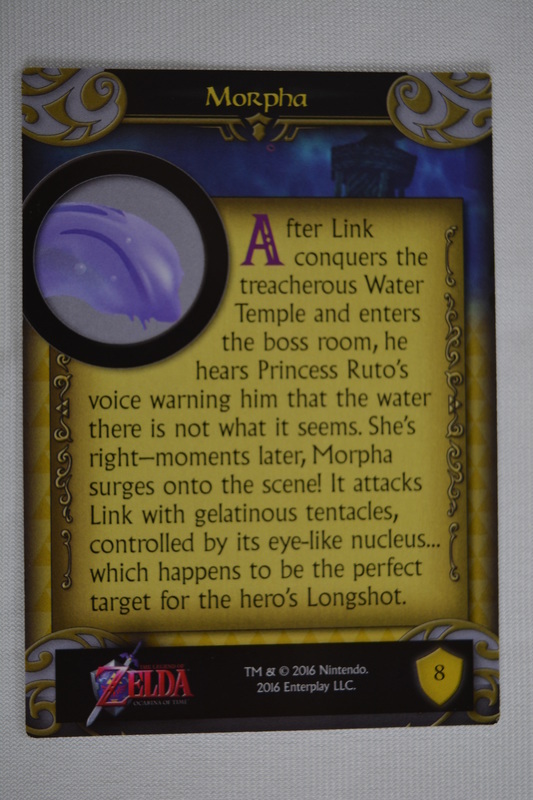 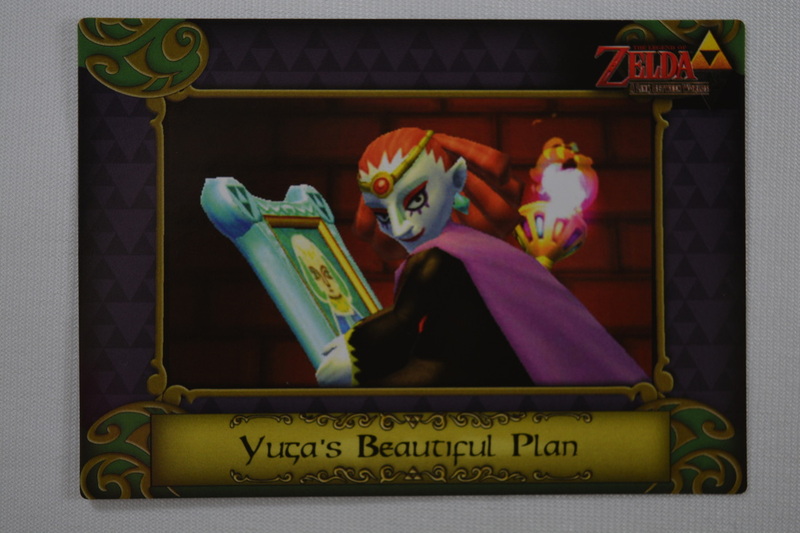 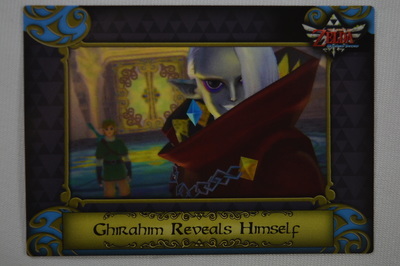 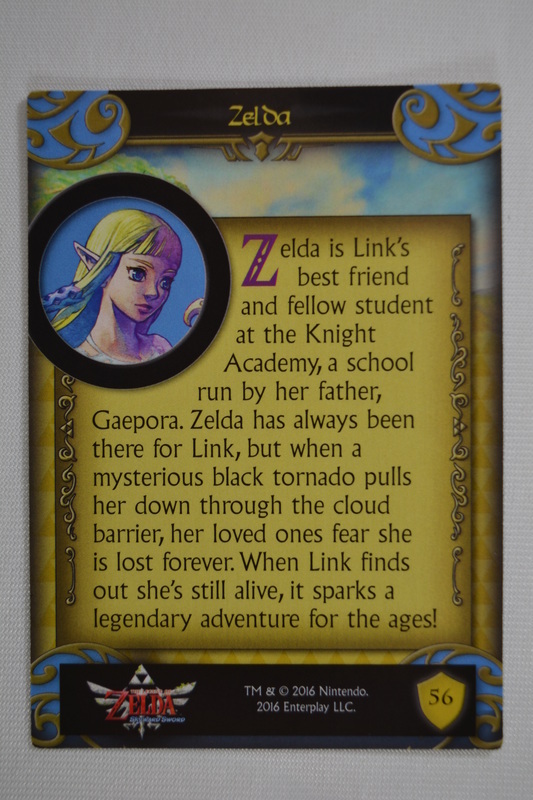 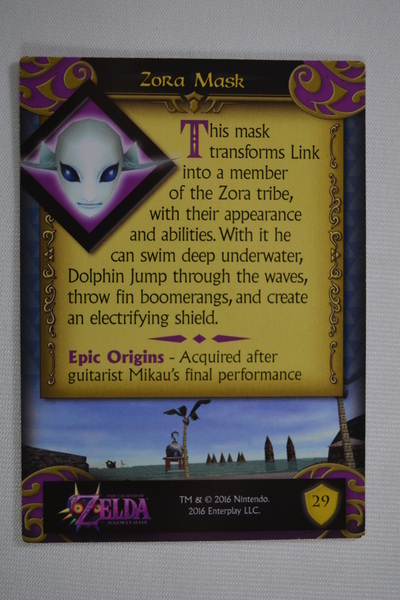 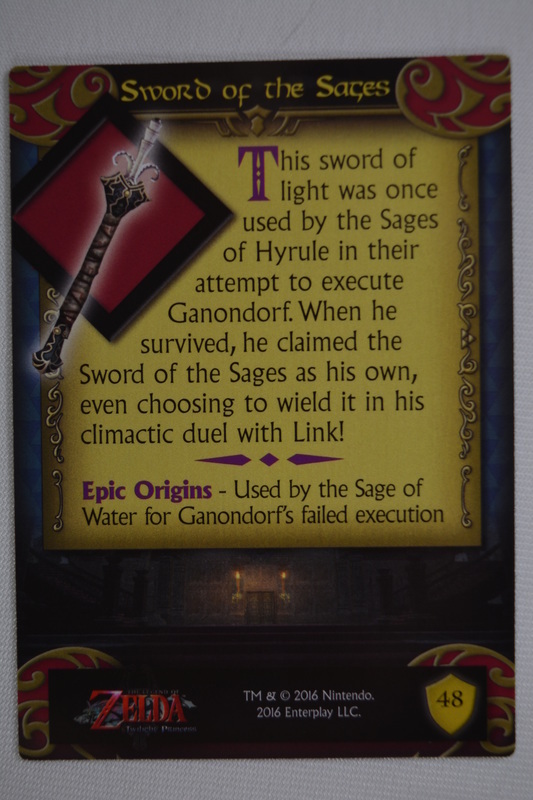 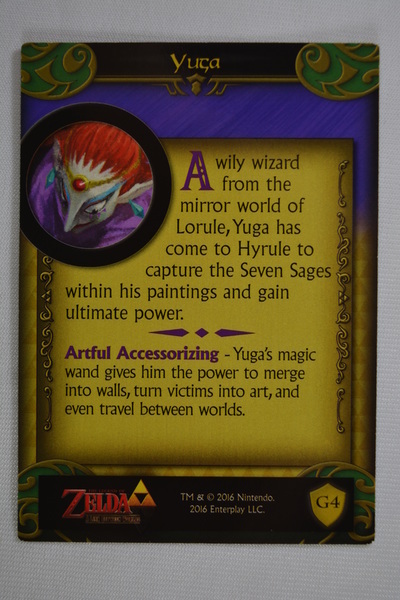 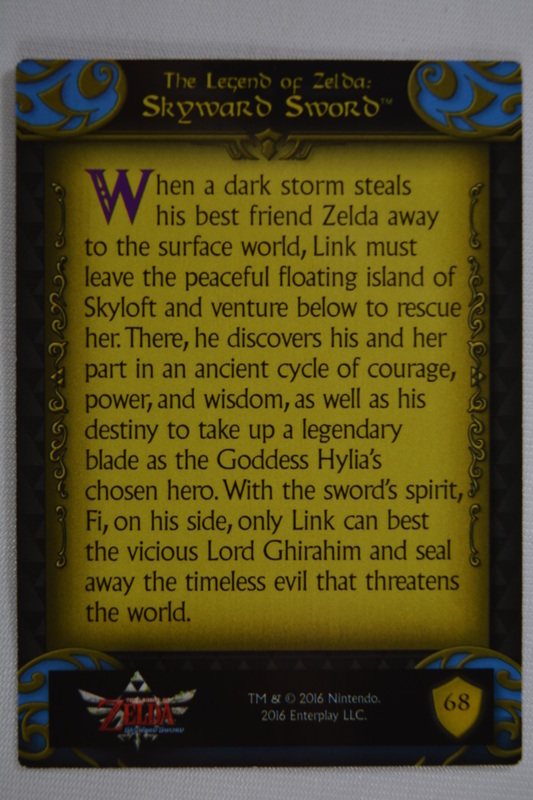 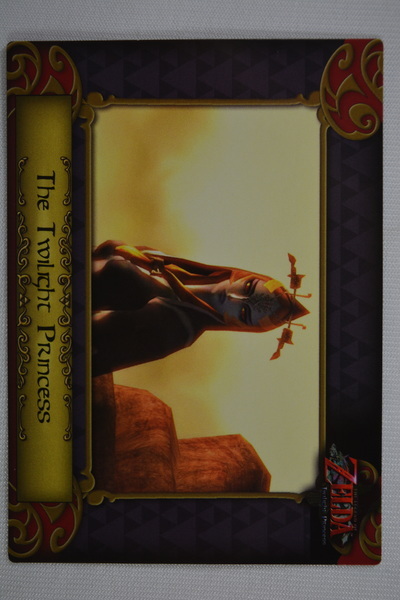 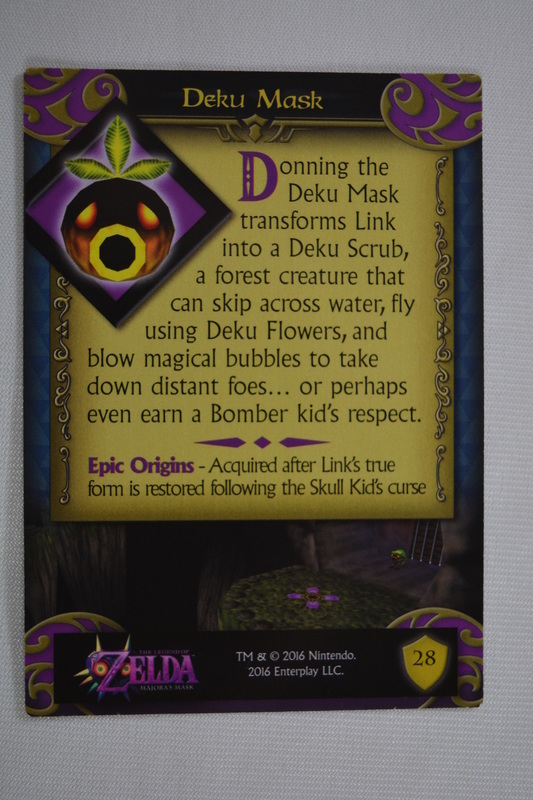 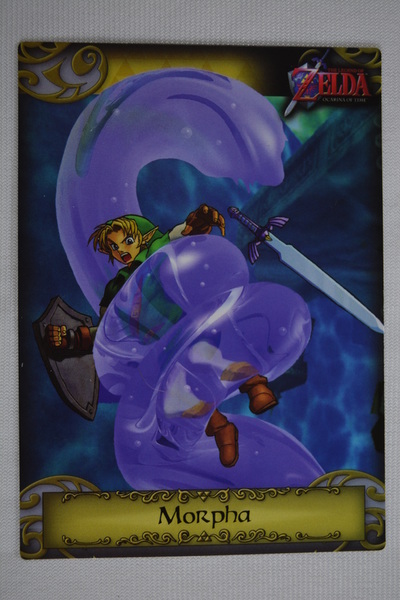 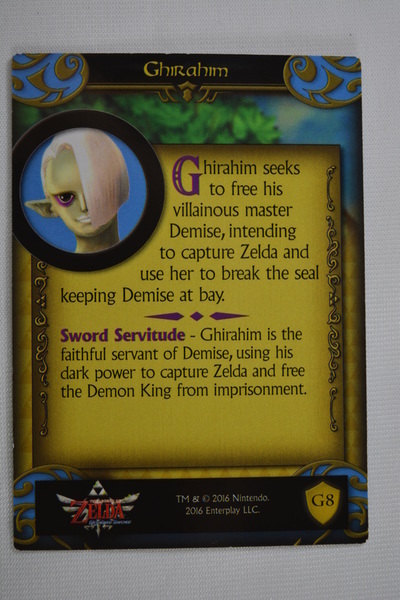 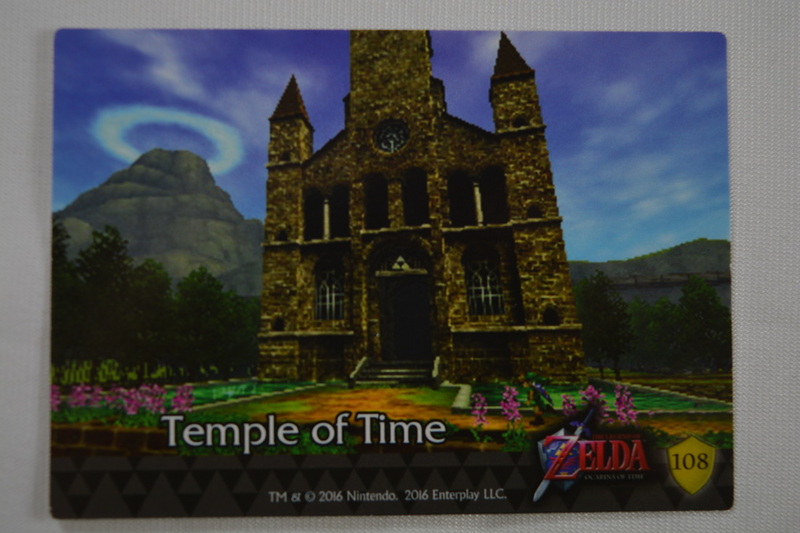 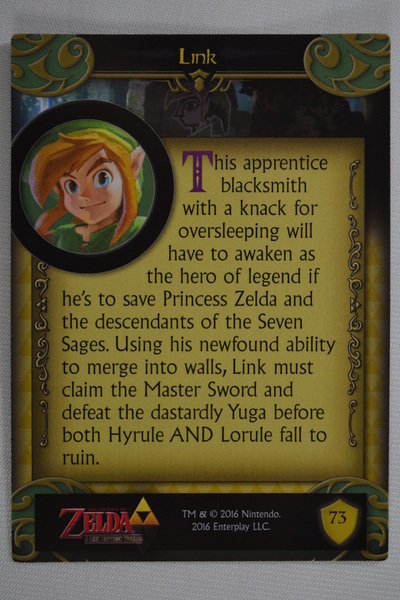 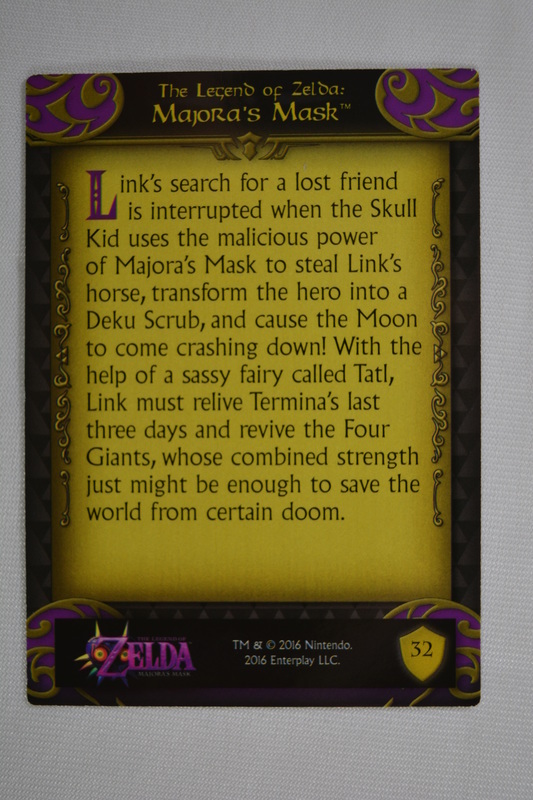 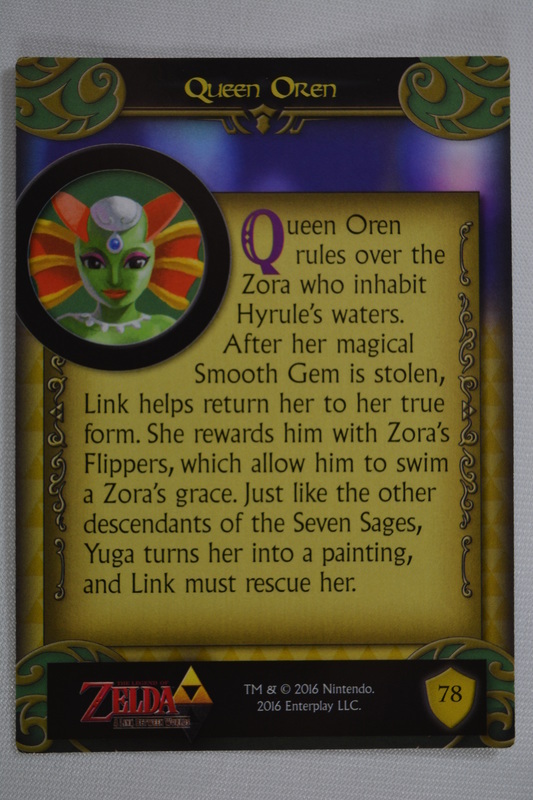 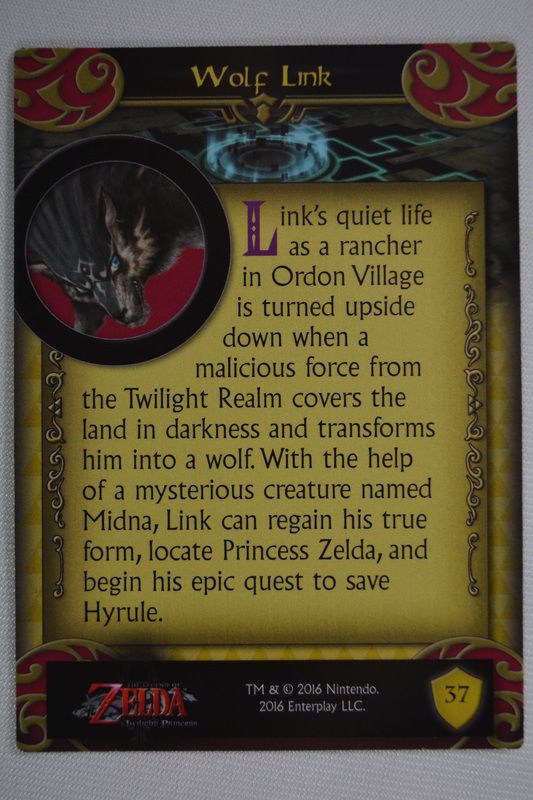 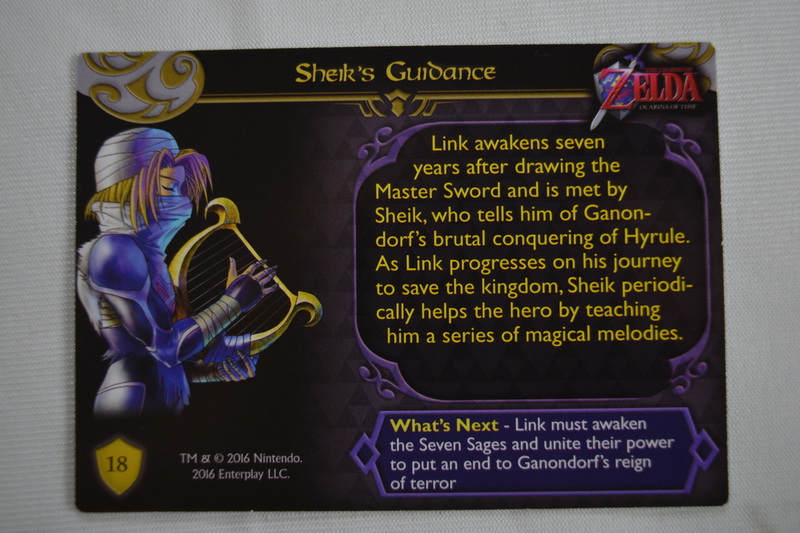 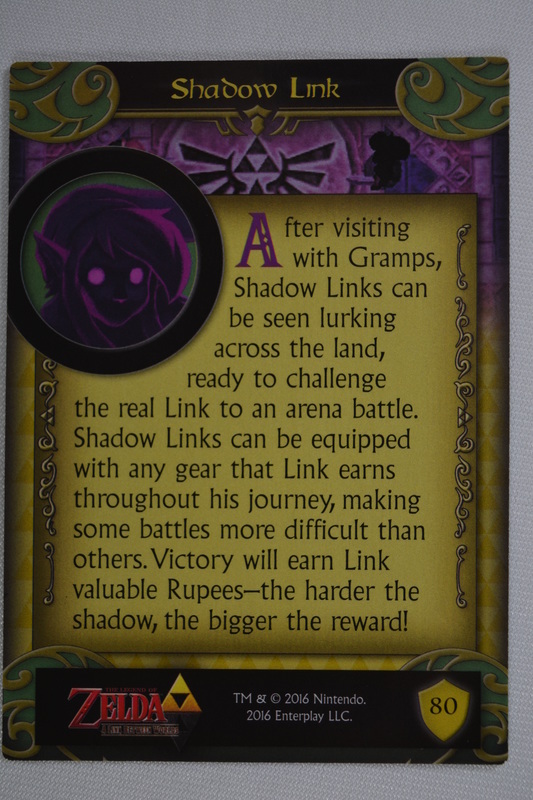 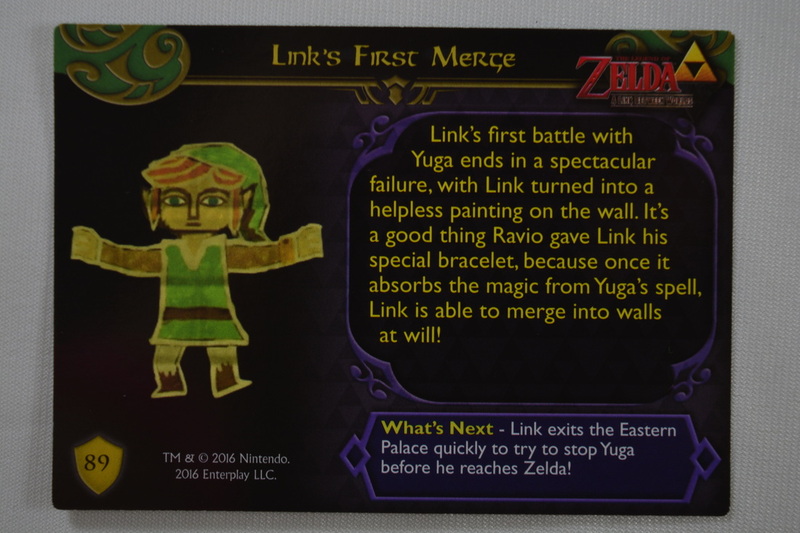 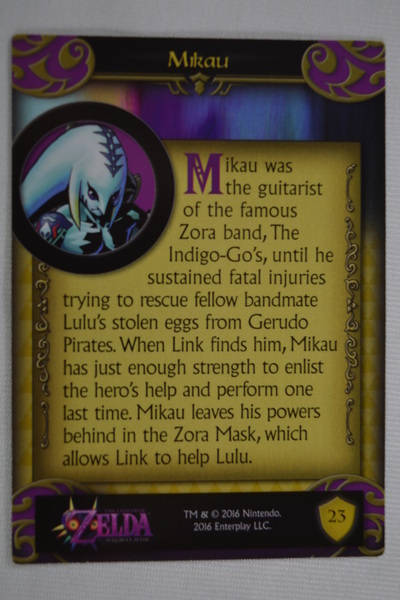 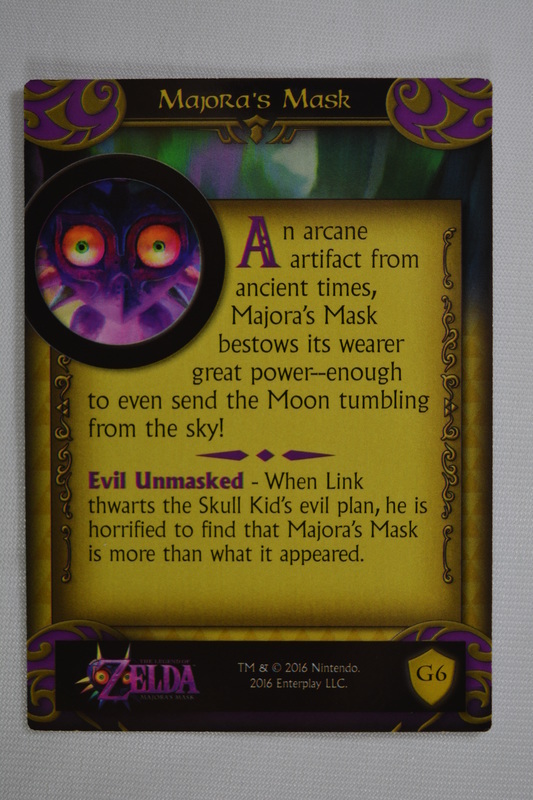 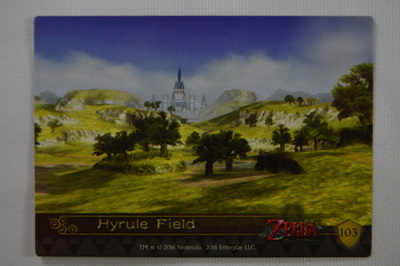 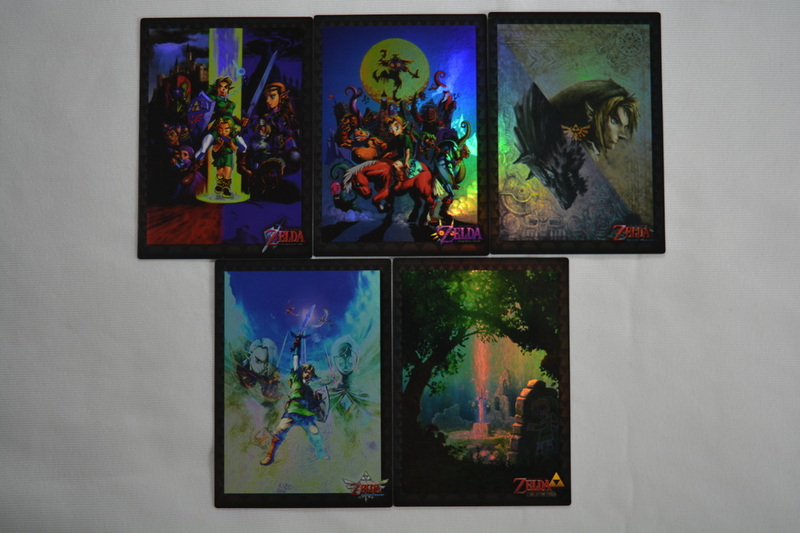 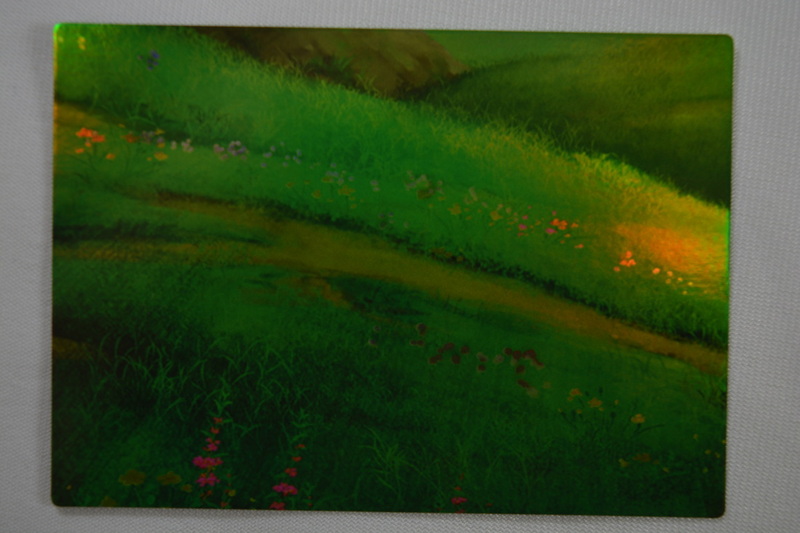 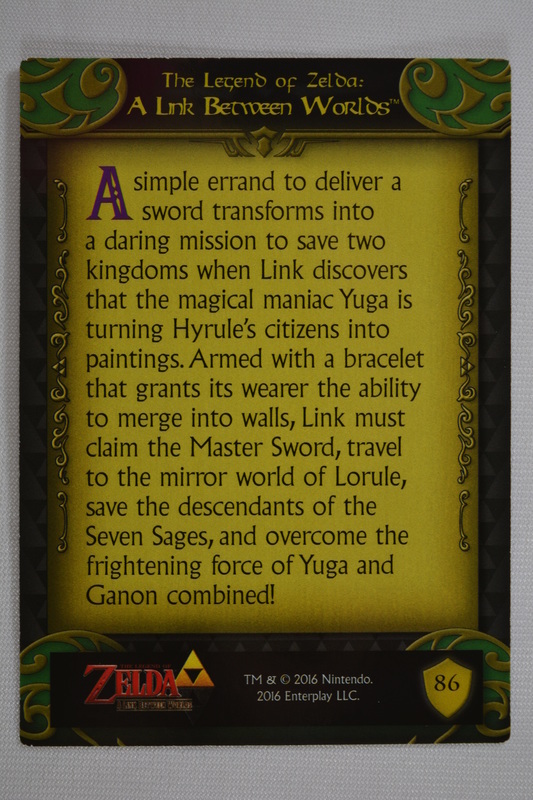 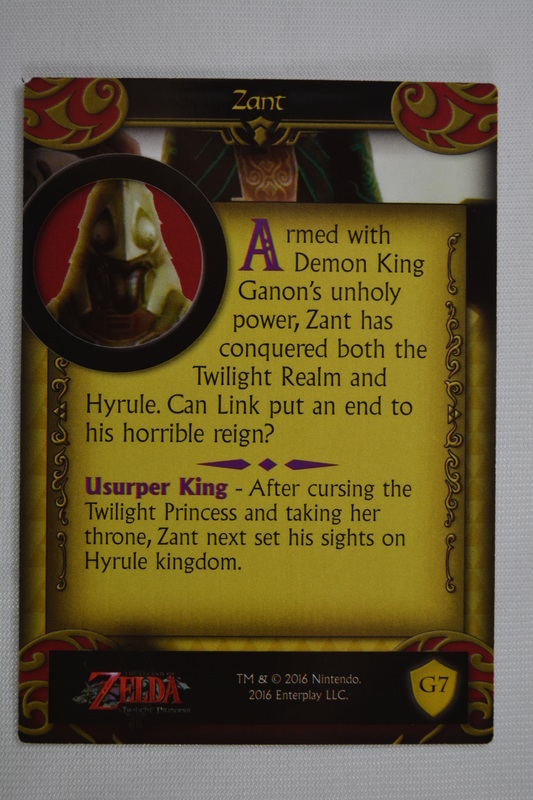 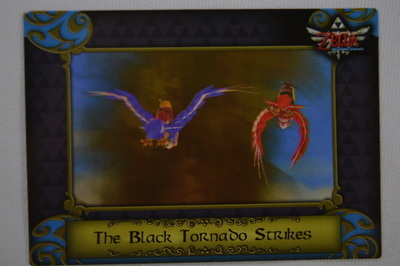 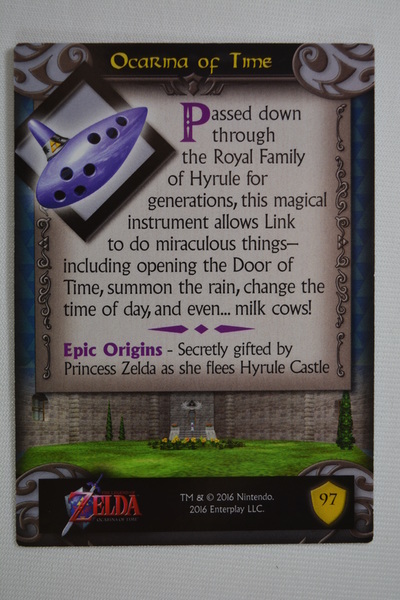 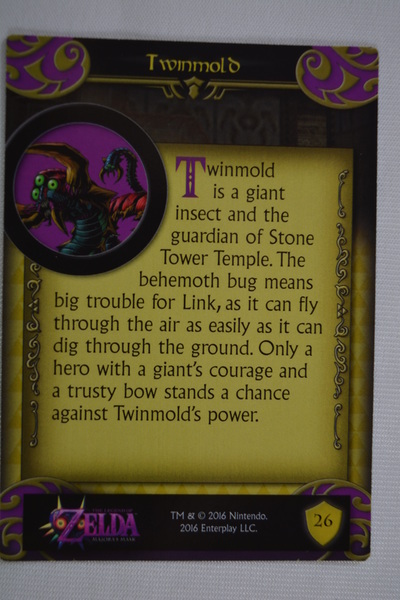 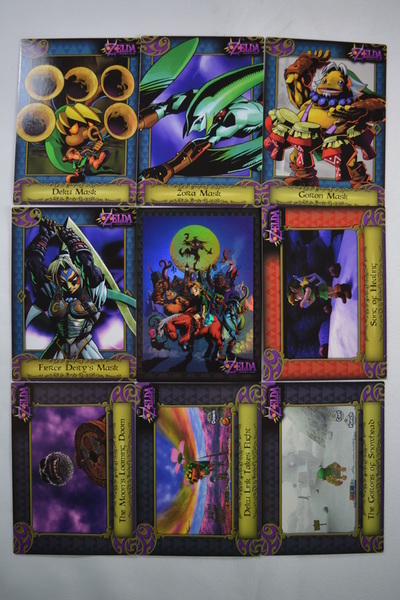 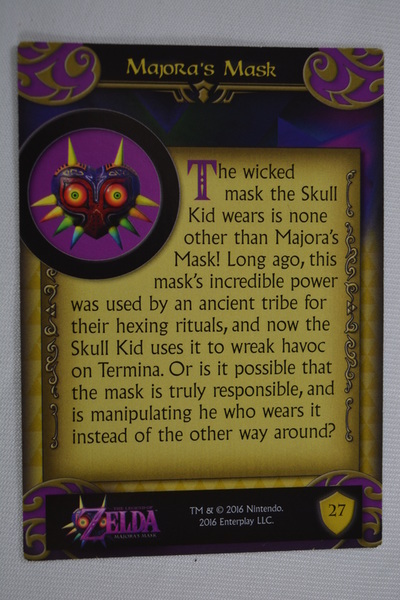 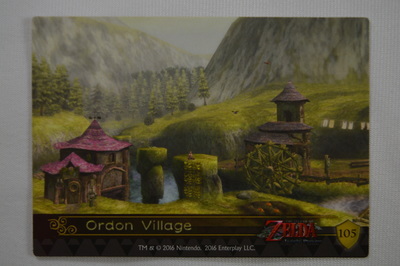 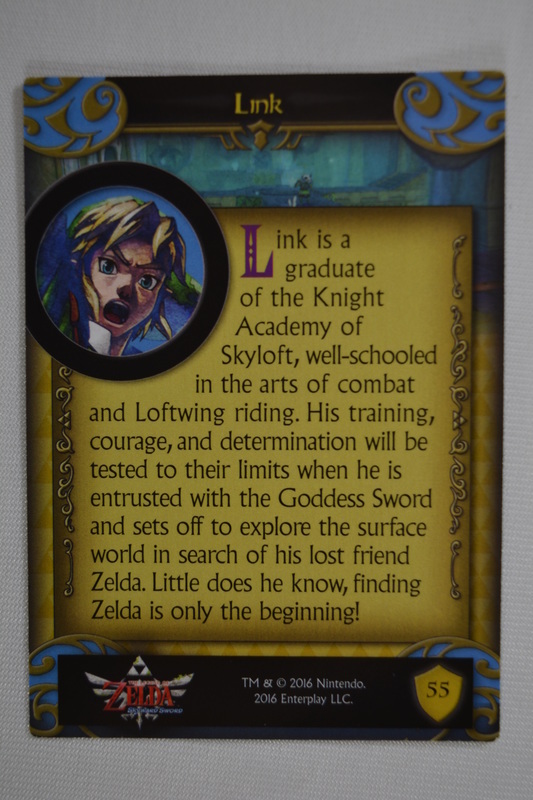 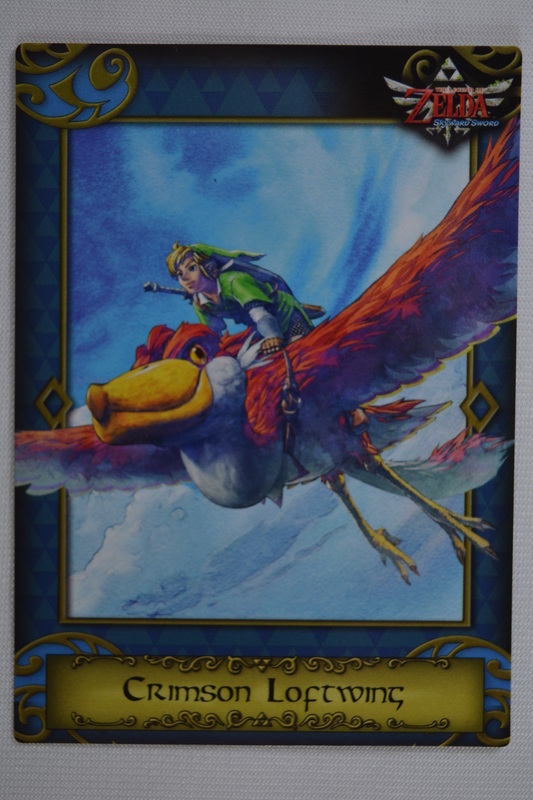 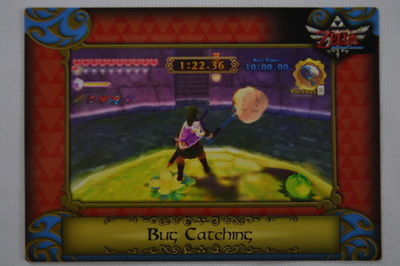 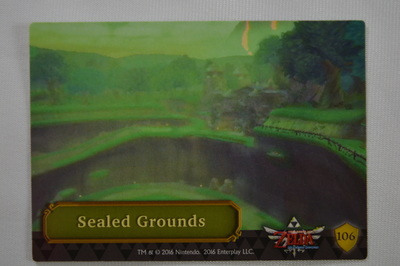 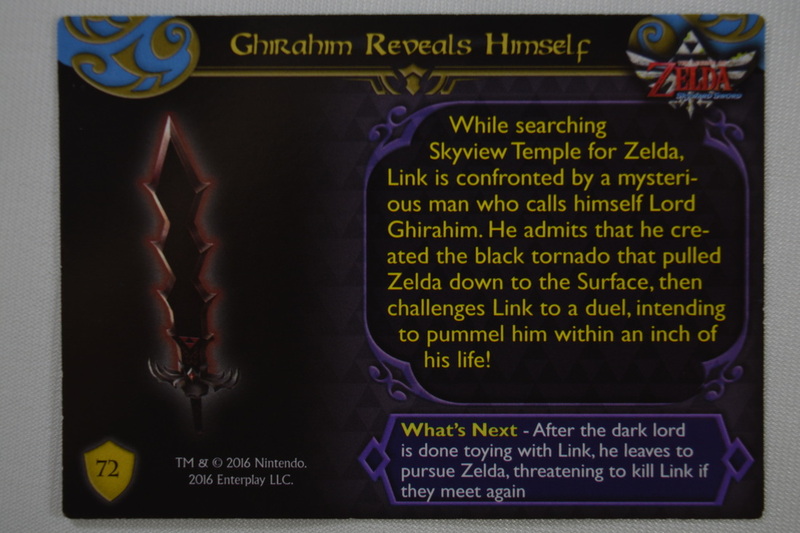 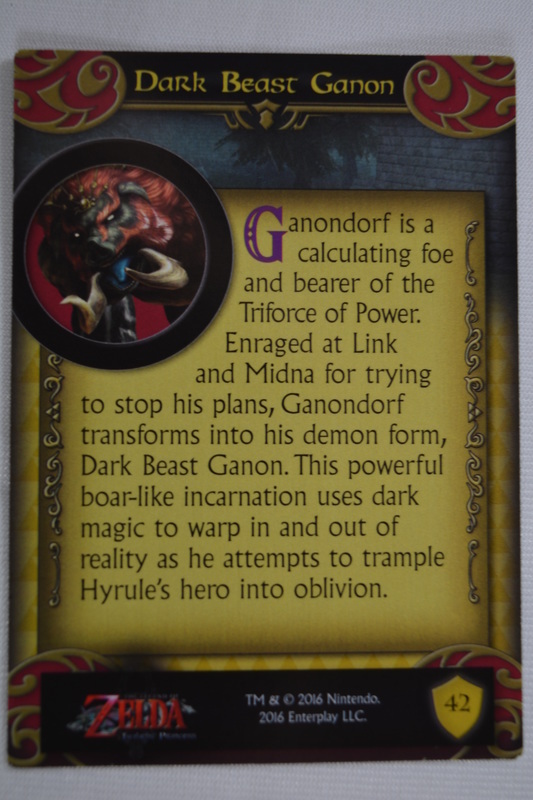 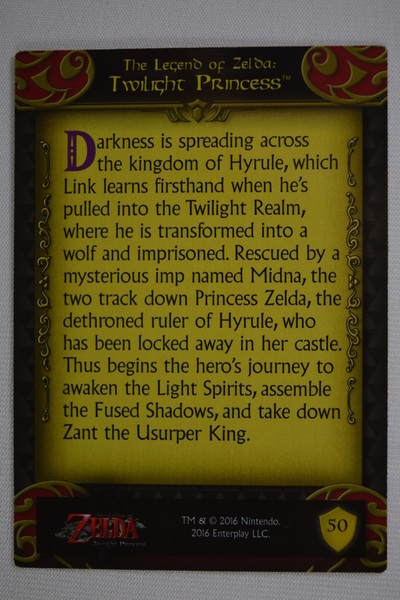 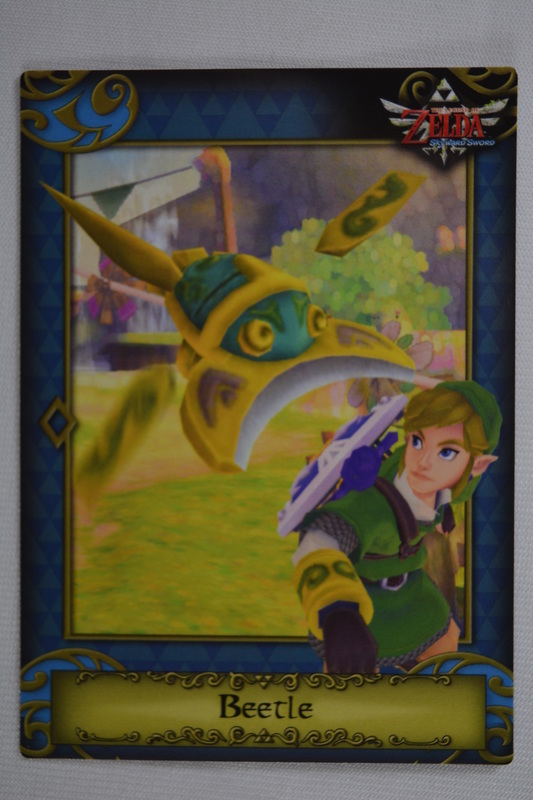 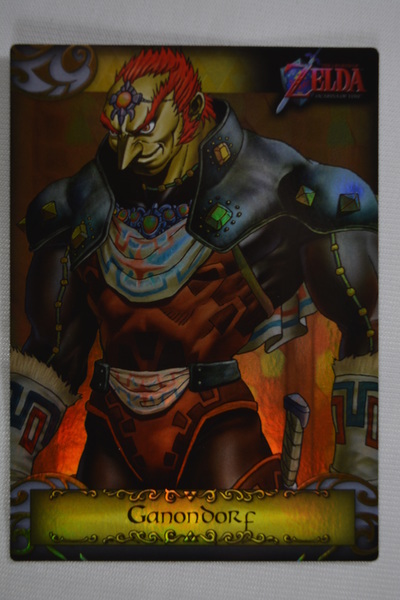 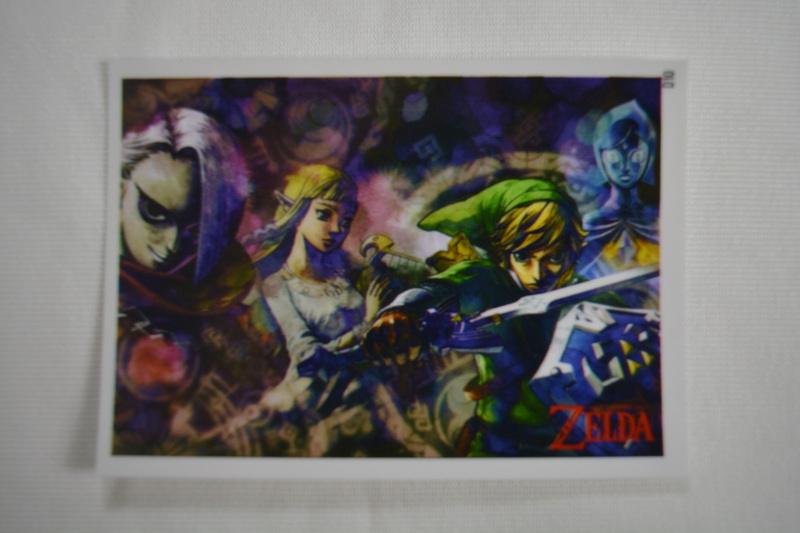 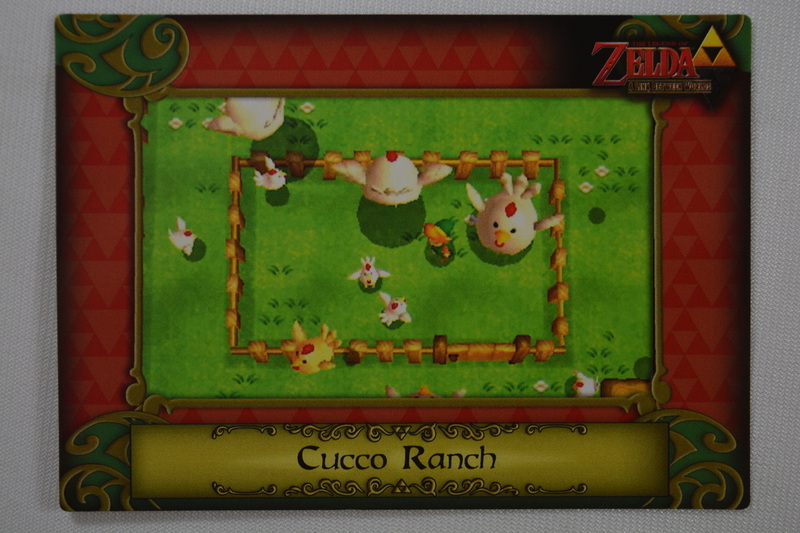 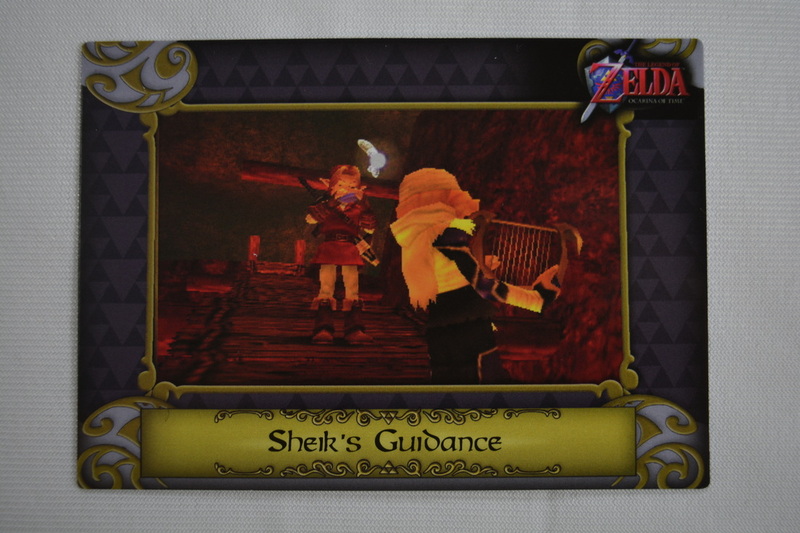 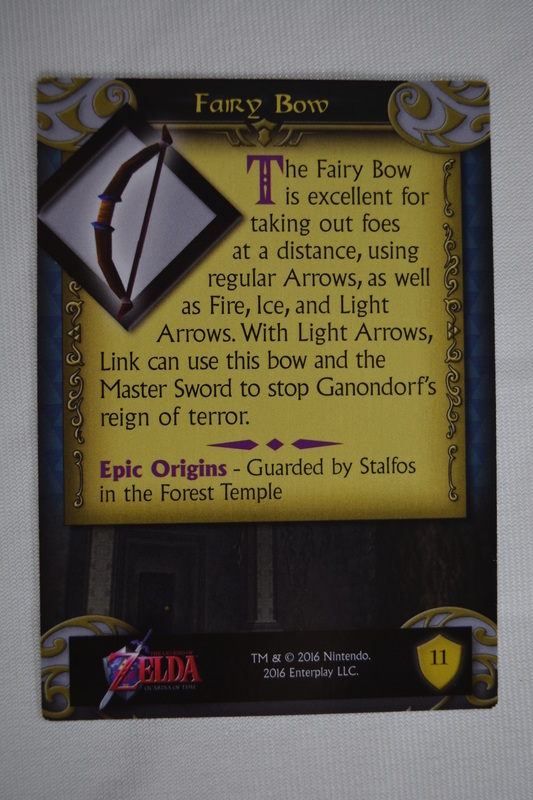 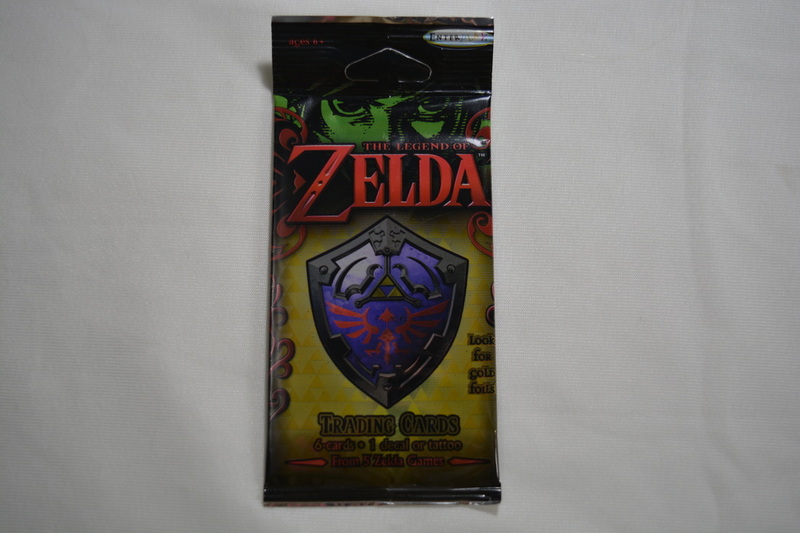 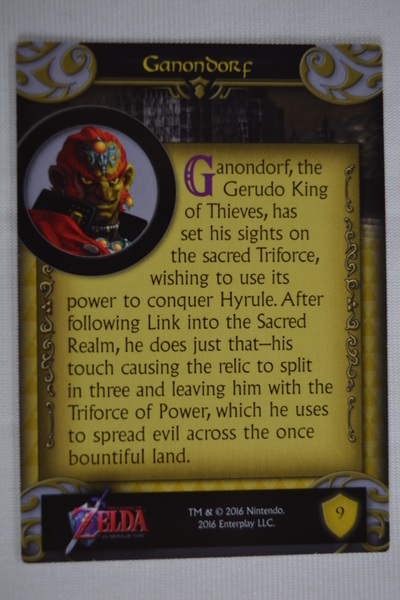 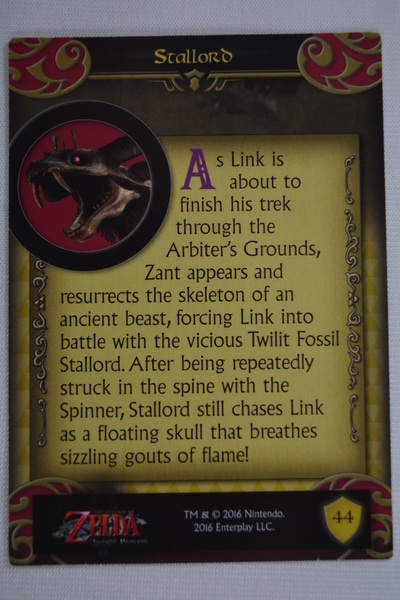 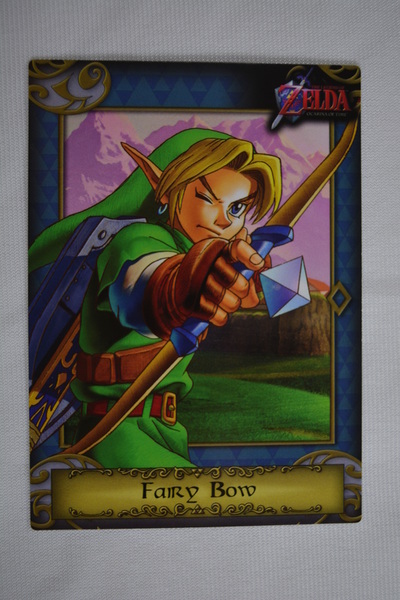 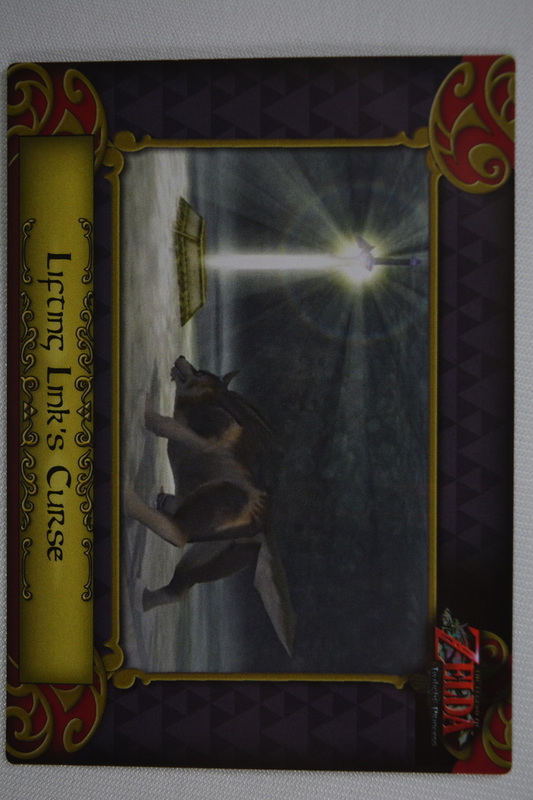 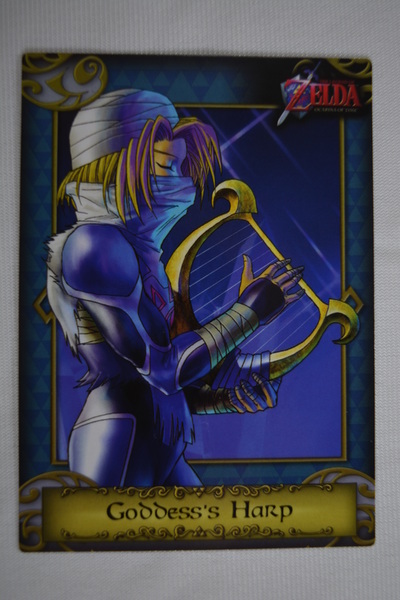 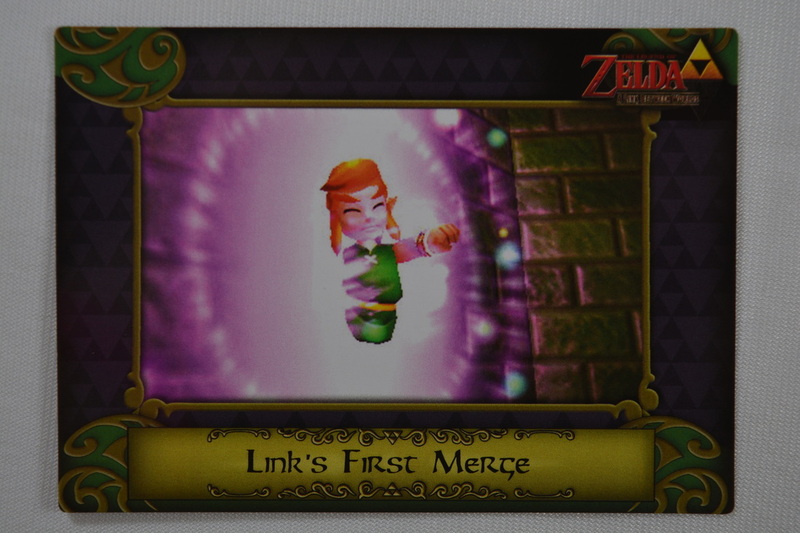 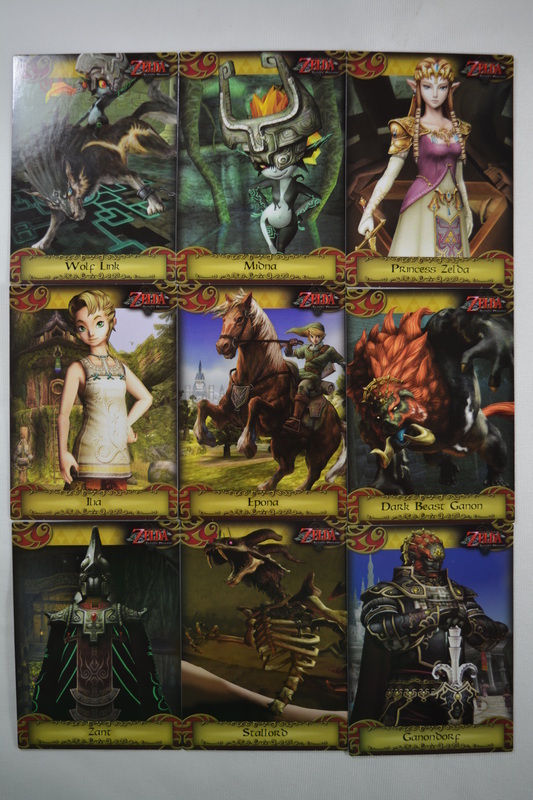 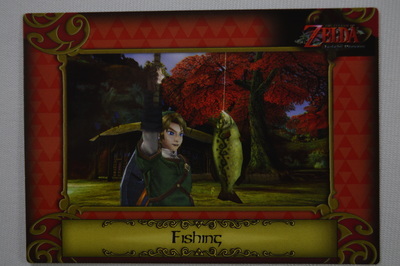 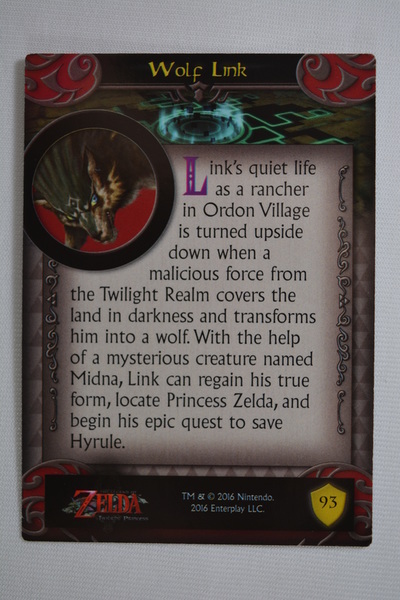 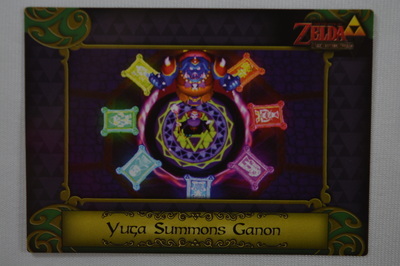 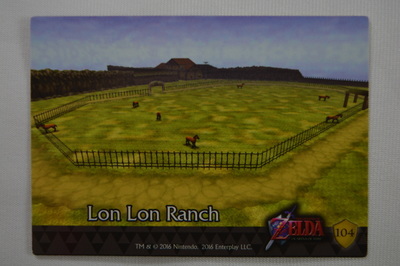 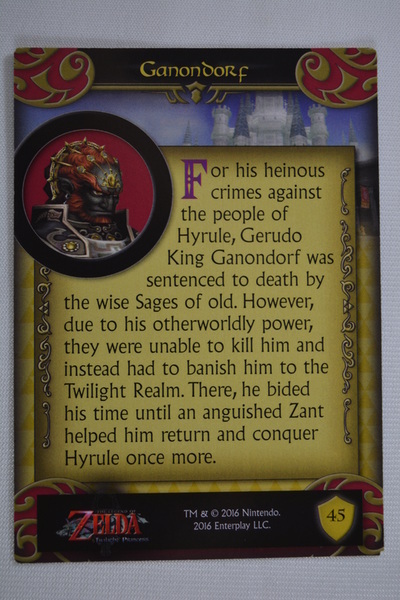 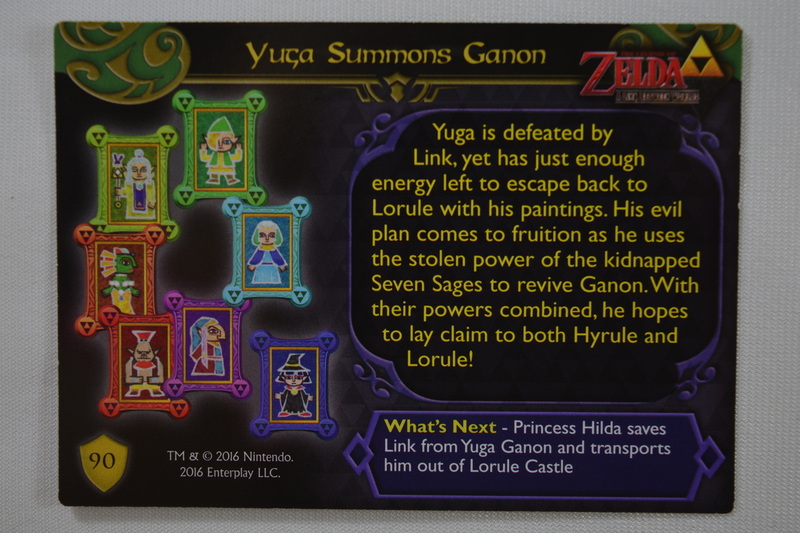 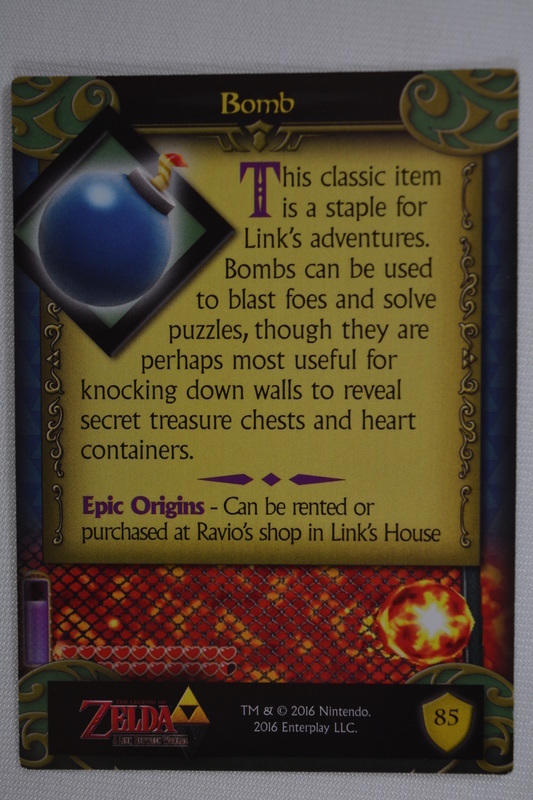 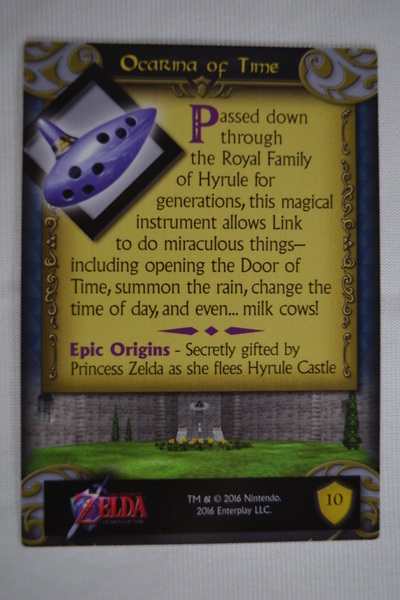 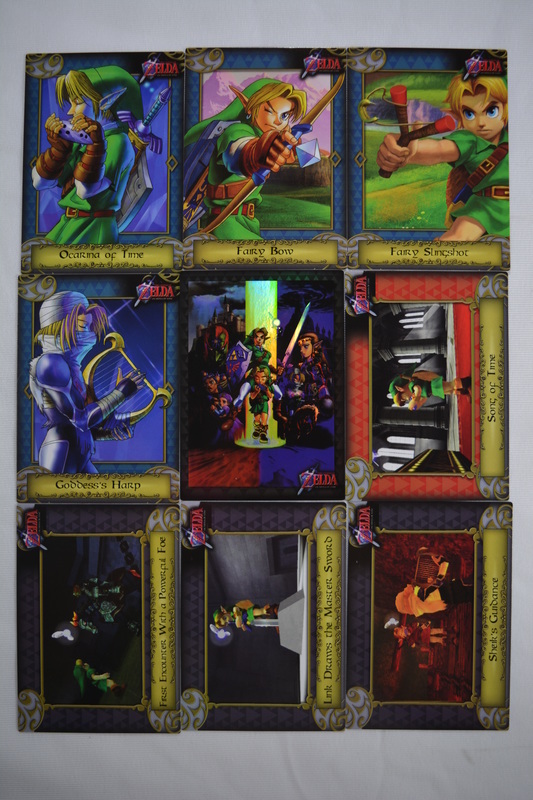 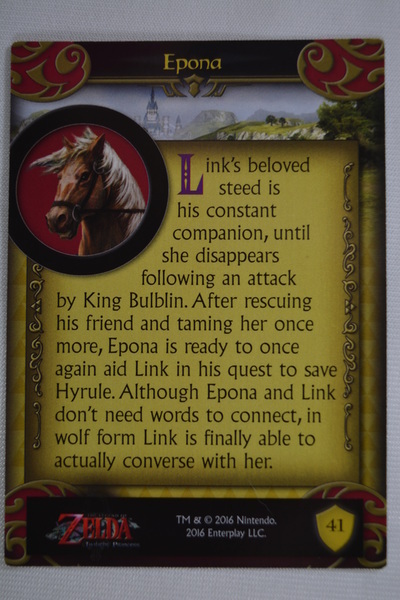 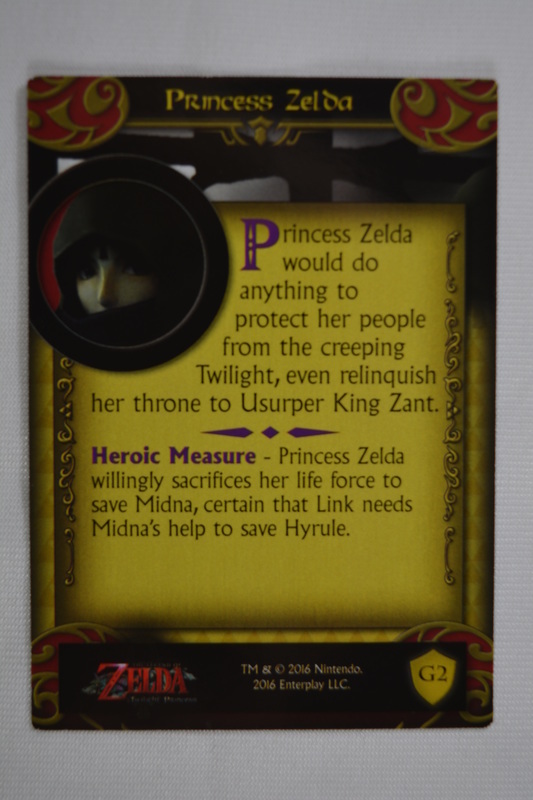 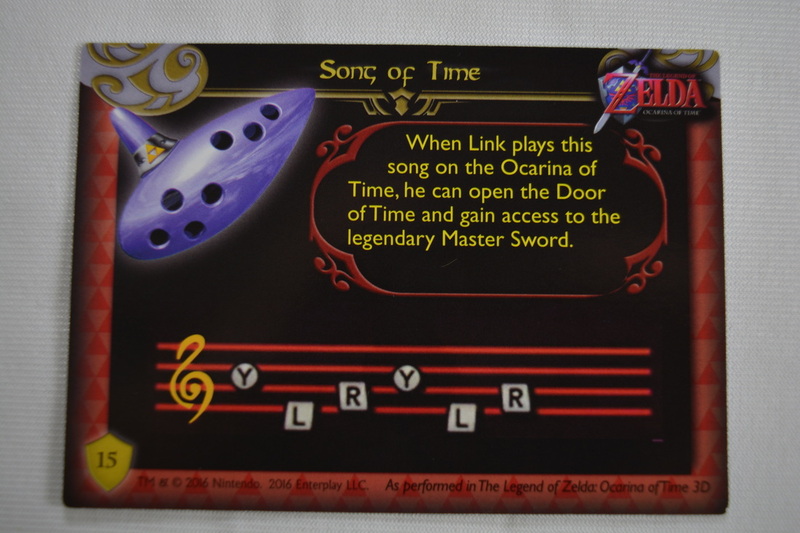 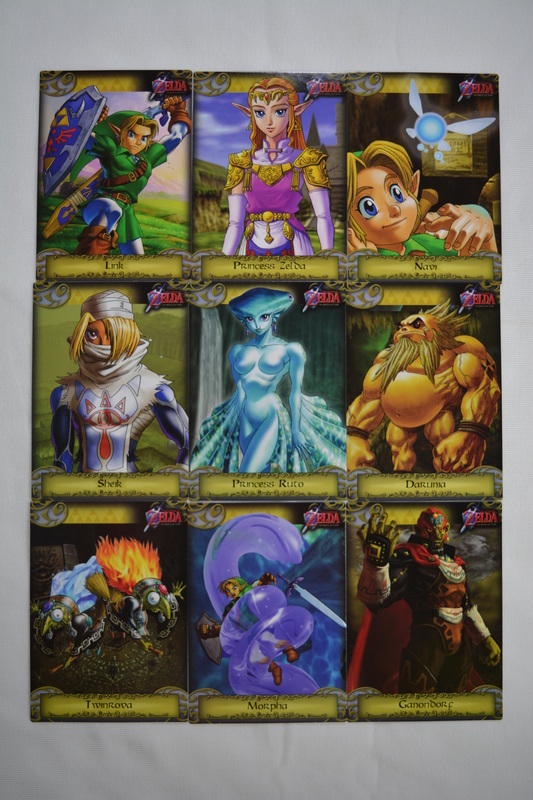 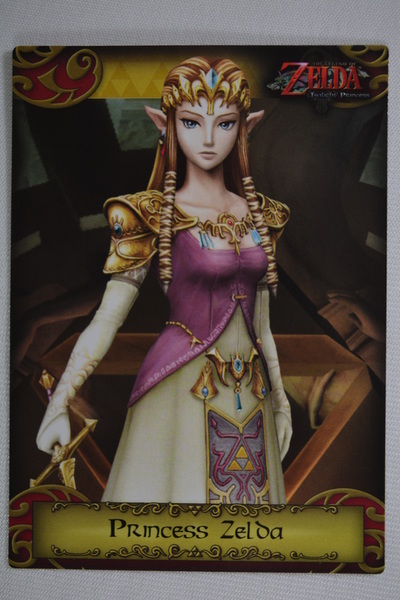 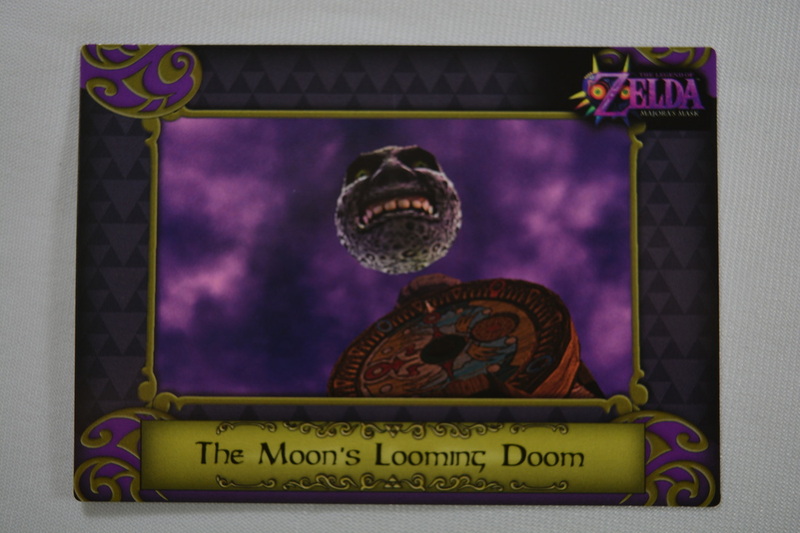 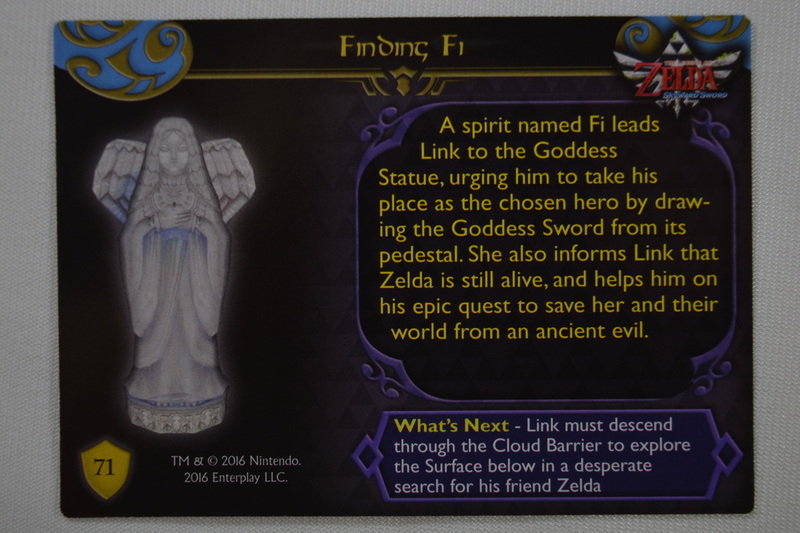 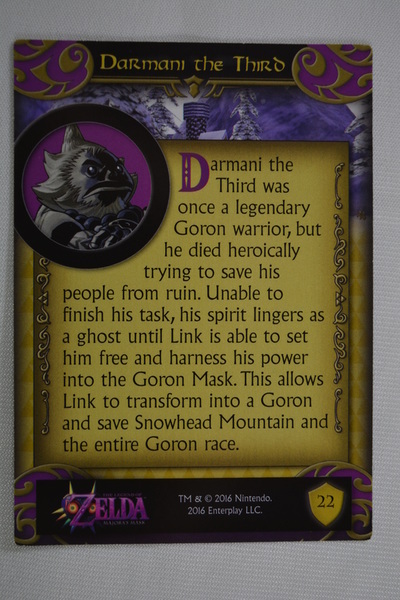 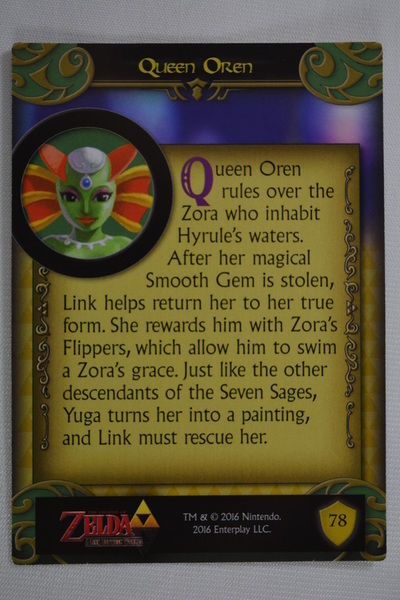 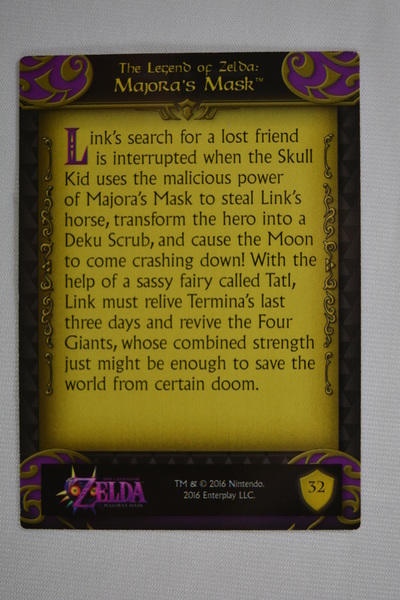 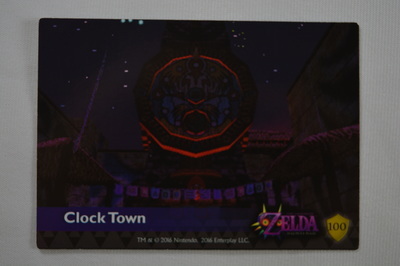 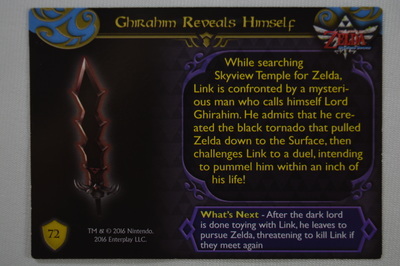 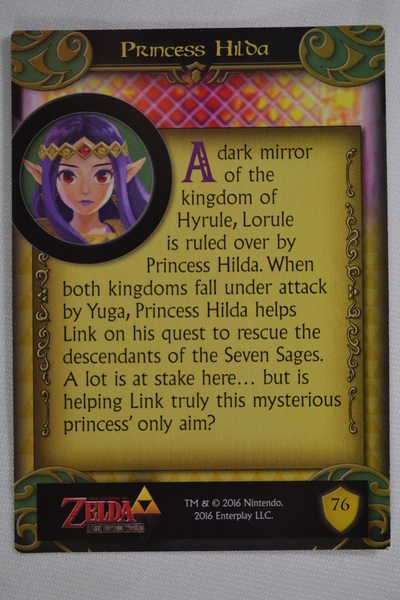 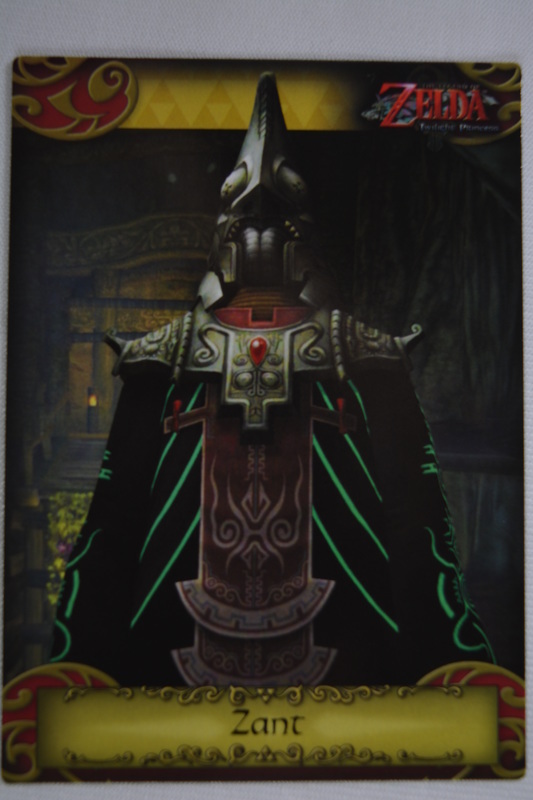 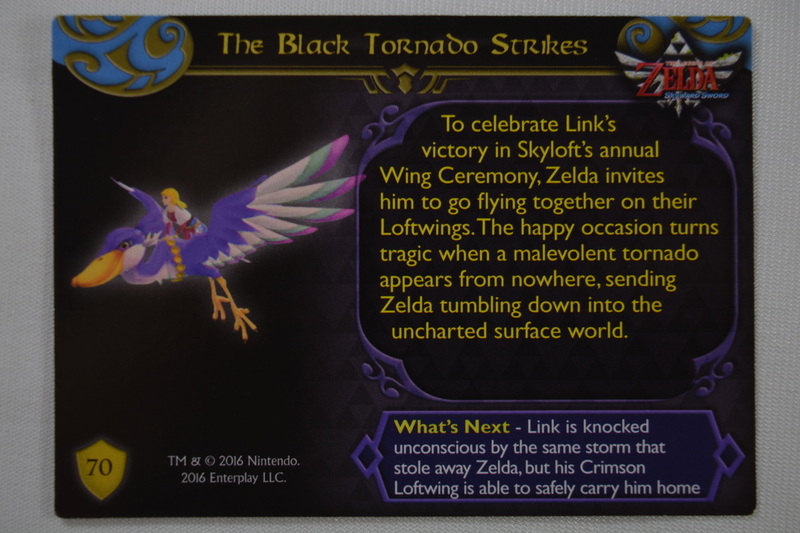 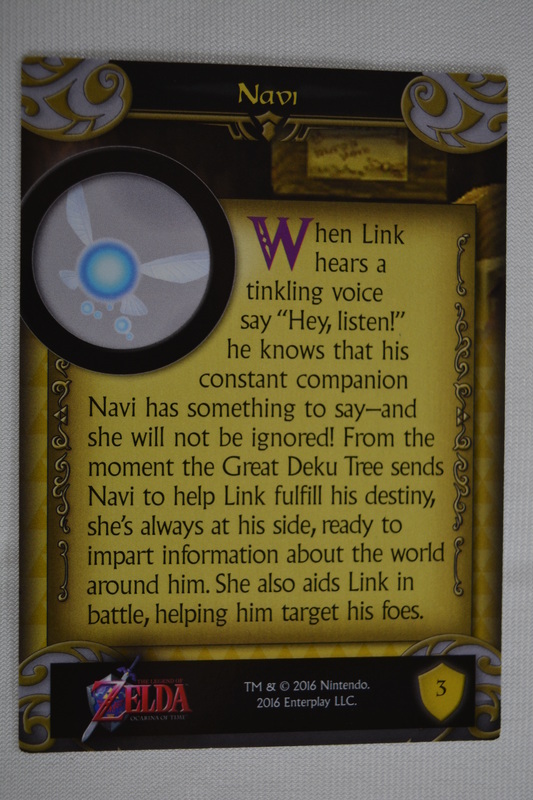 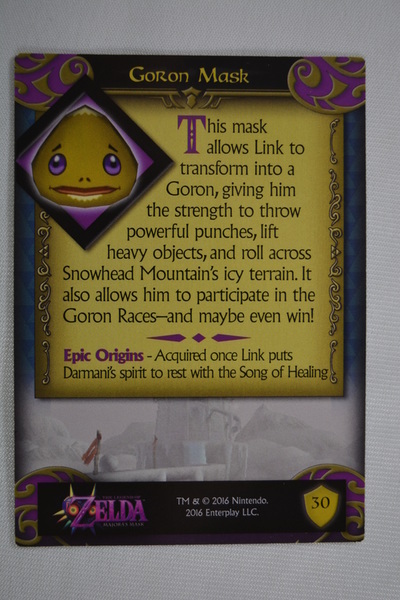 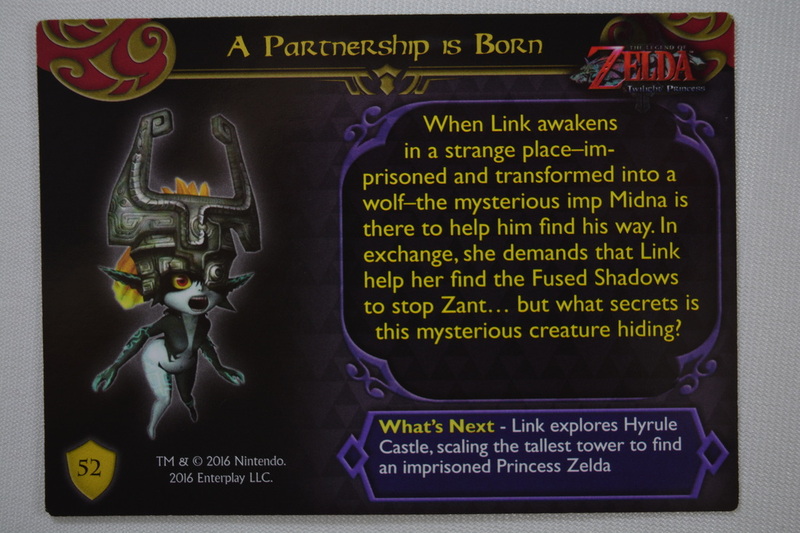 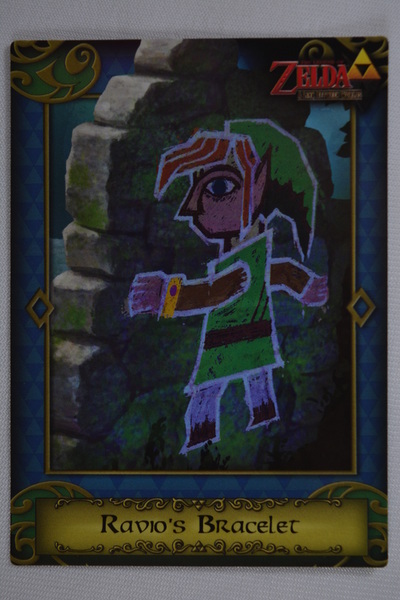 These cards are base on five of the Zelda games as noted above. 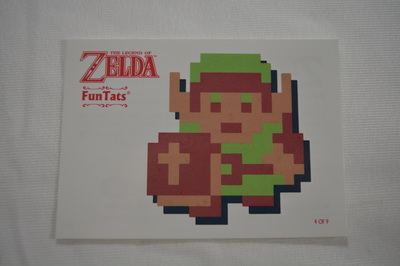 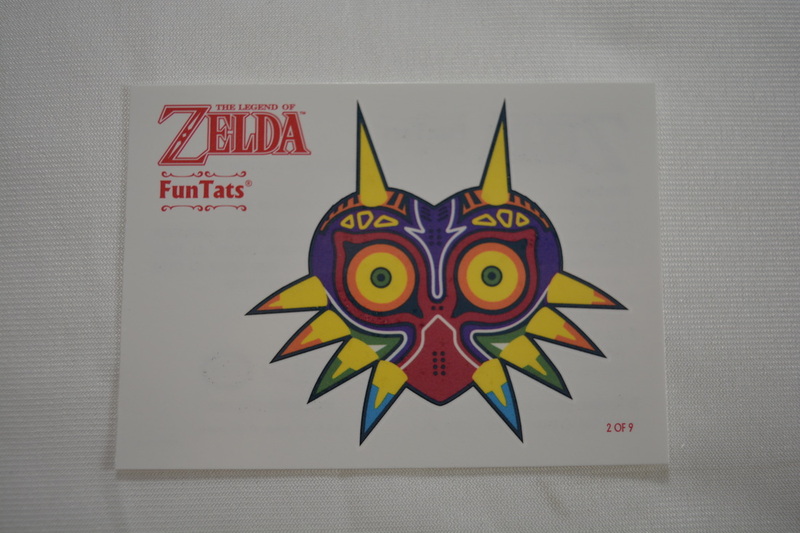 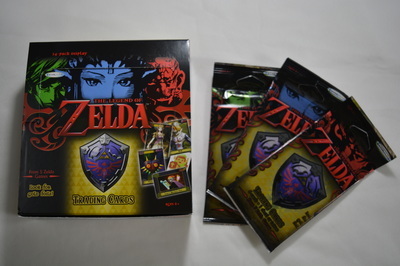 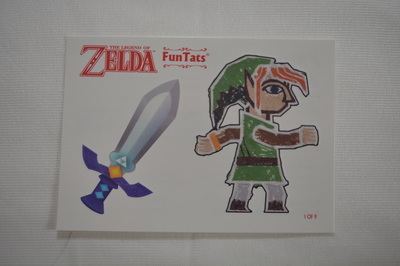 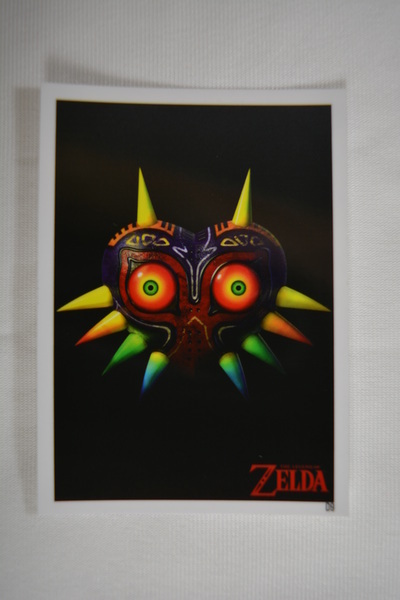 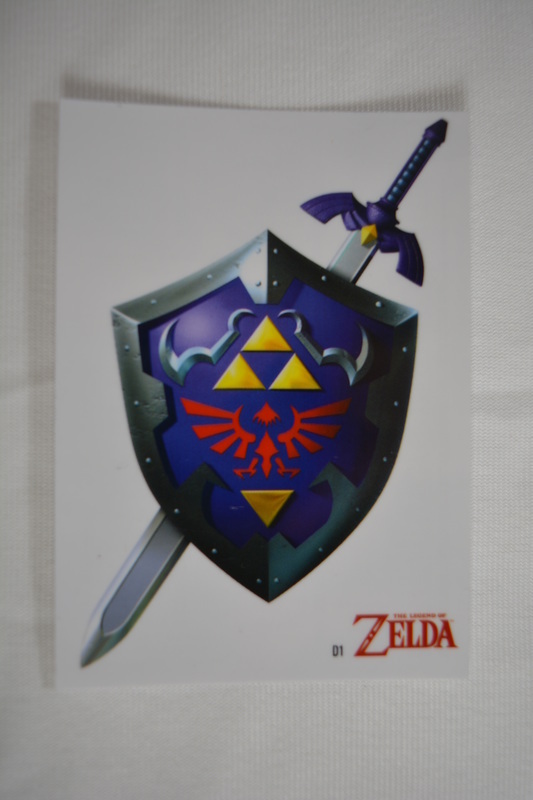 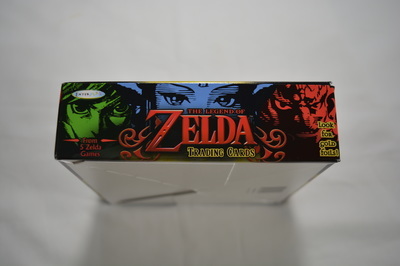 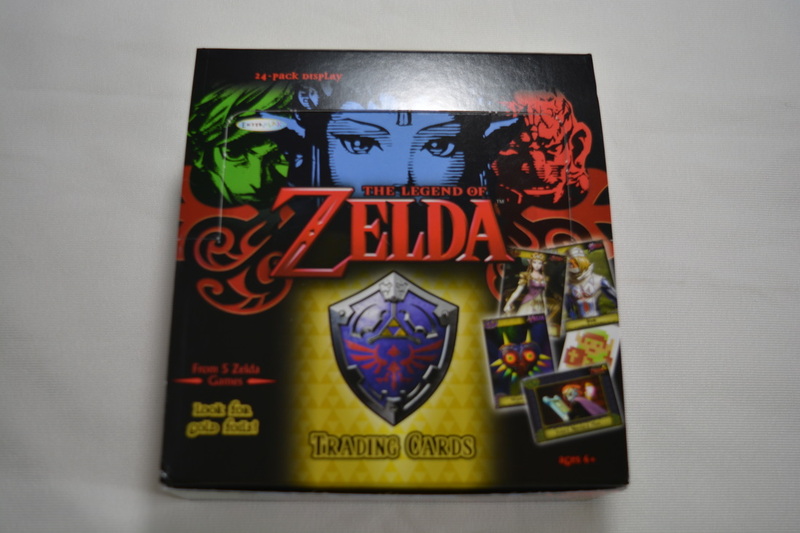 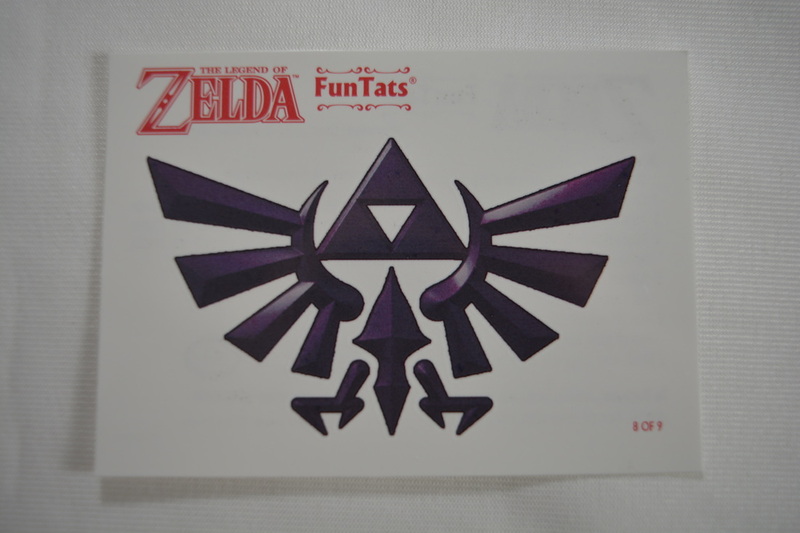 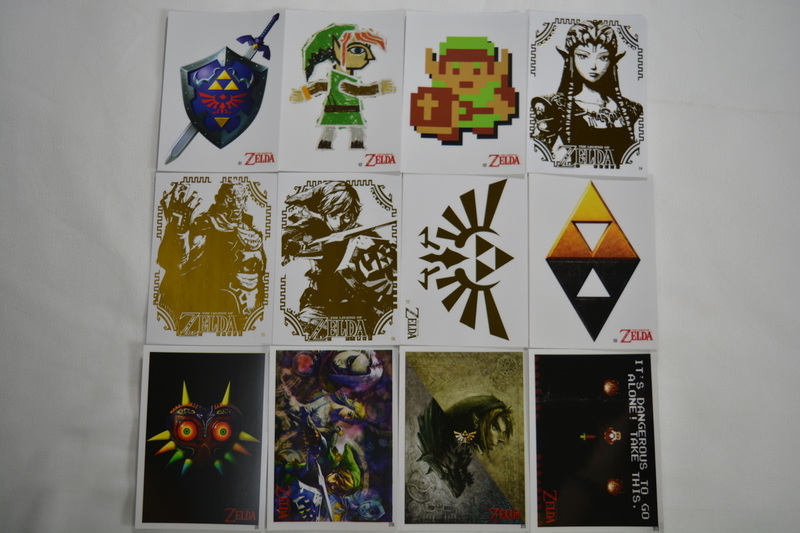 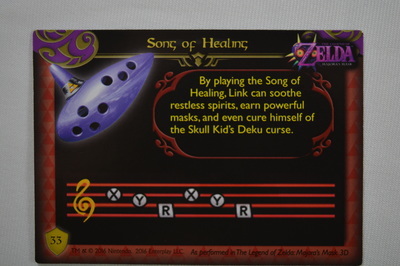 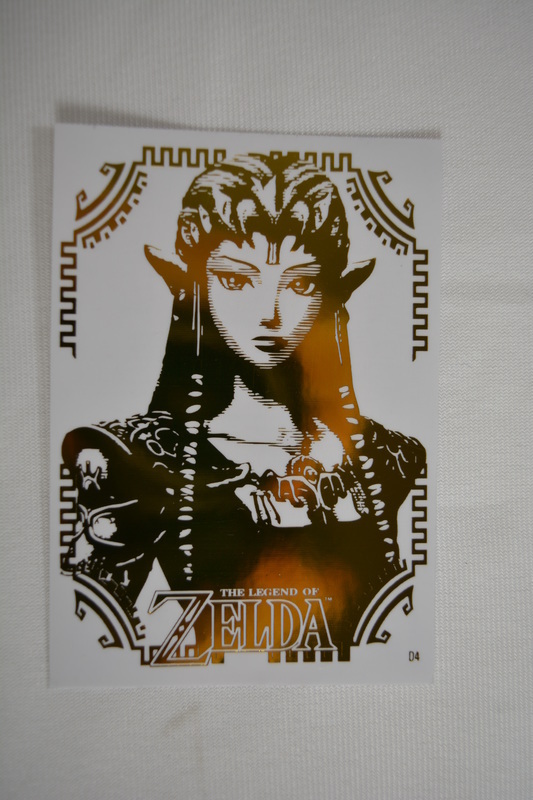 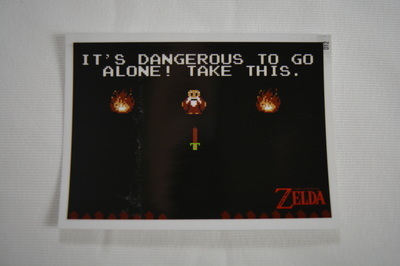 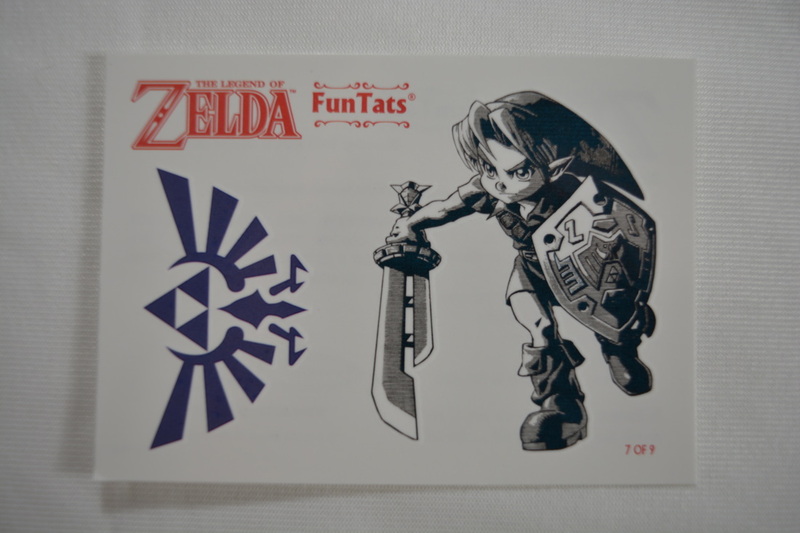 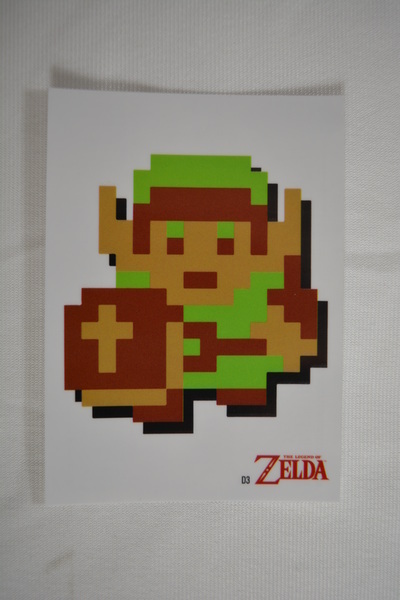 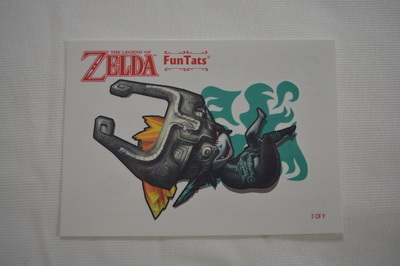 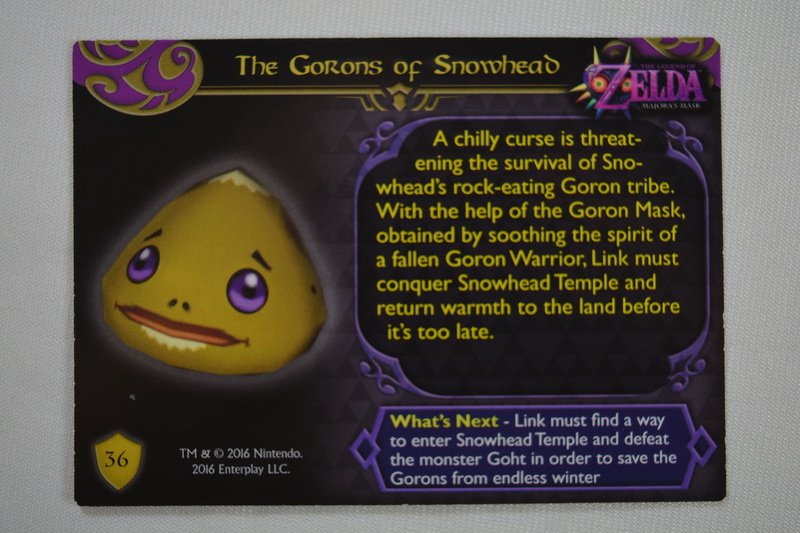 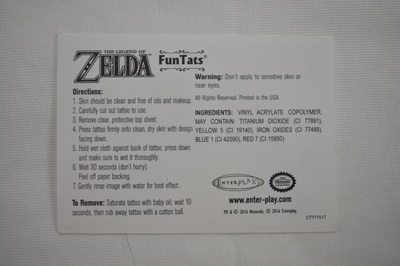 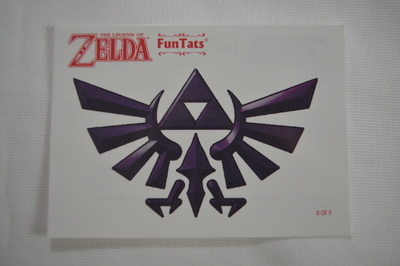 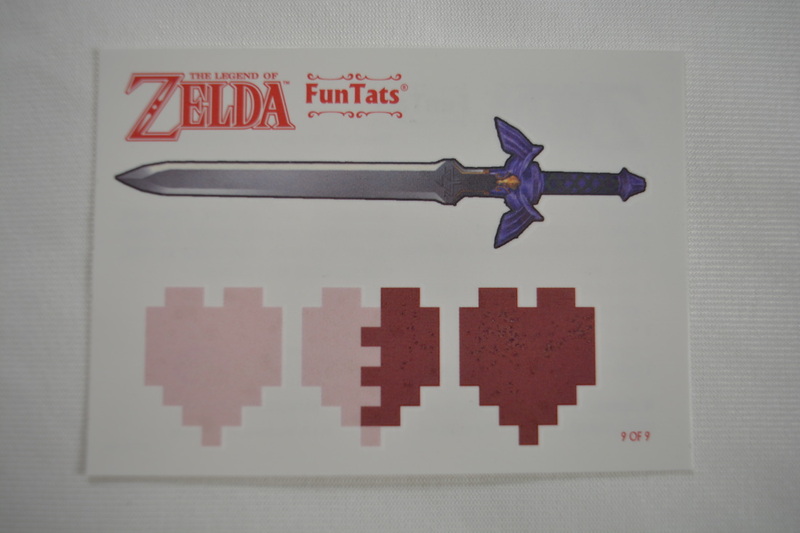 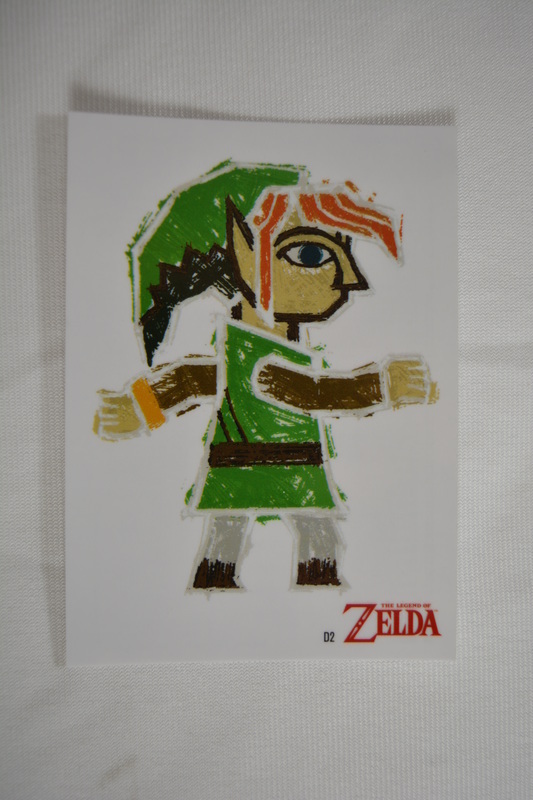 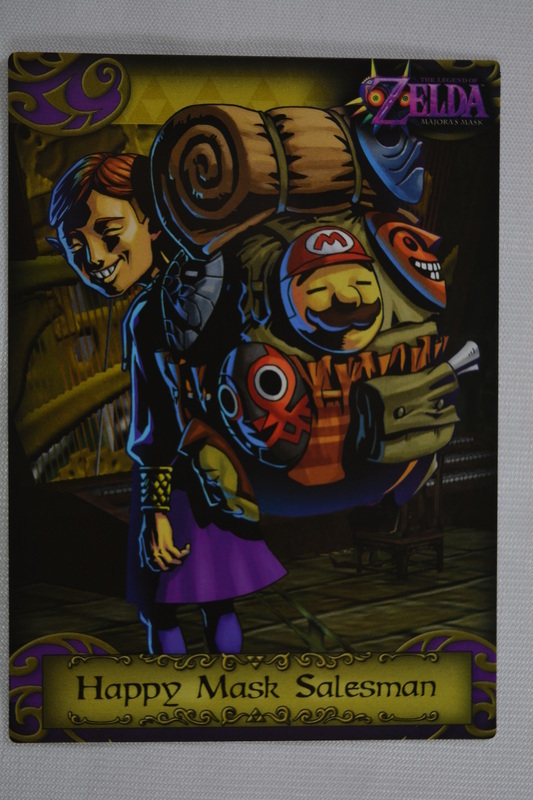 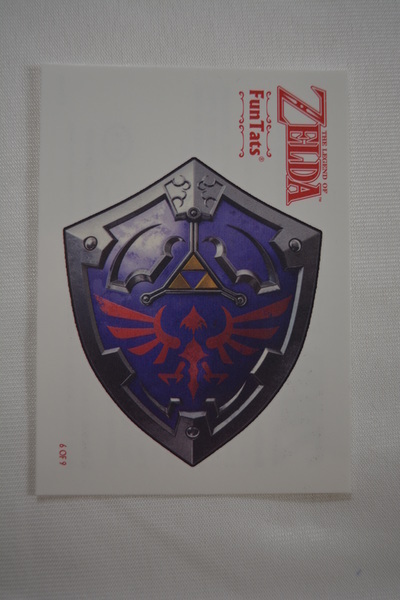 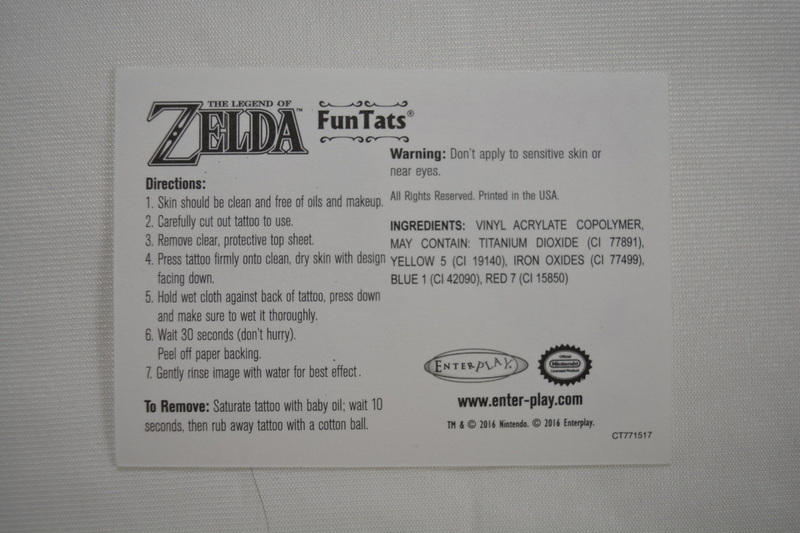 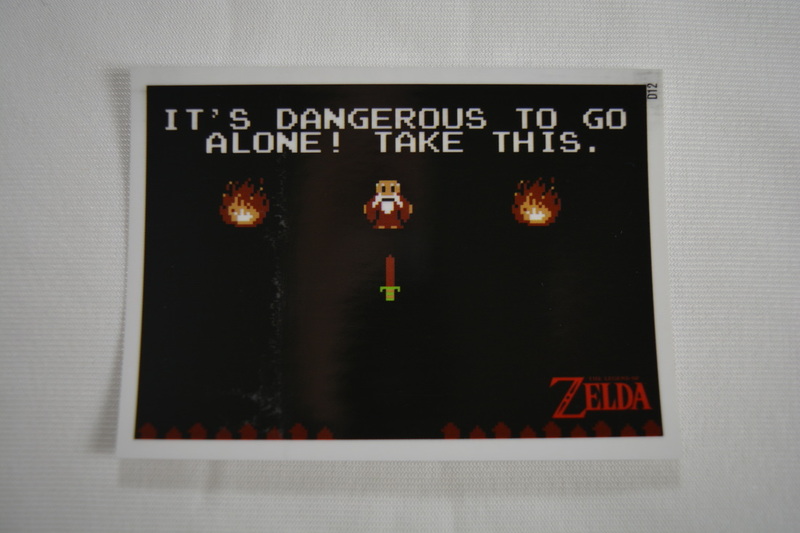 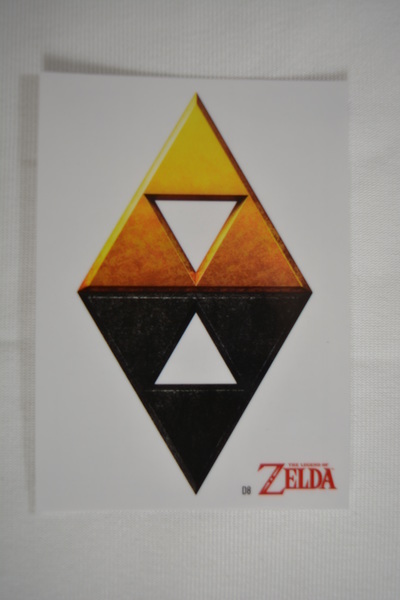 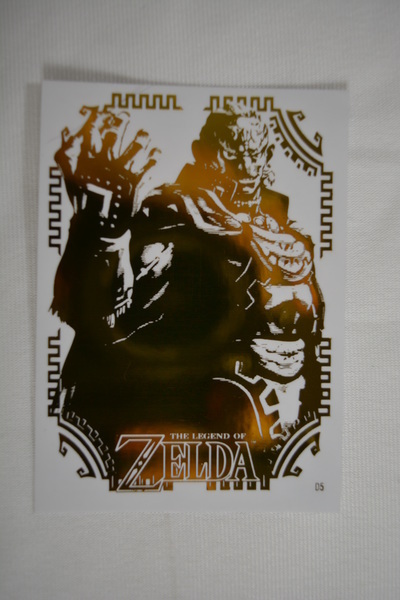 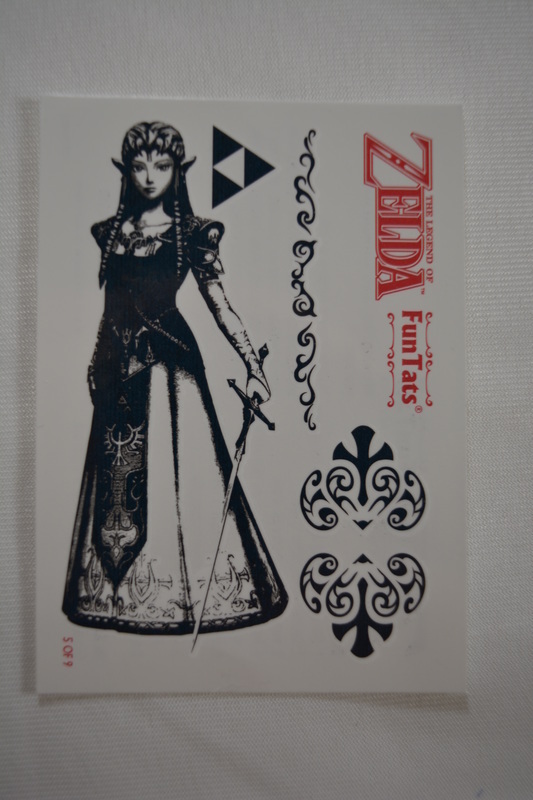 (While the set primarily focuses on the five featured games, there are some nods to the original The Legend of Zelda featured in the tattoos and stickers.) 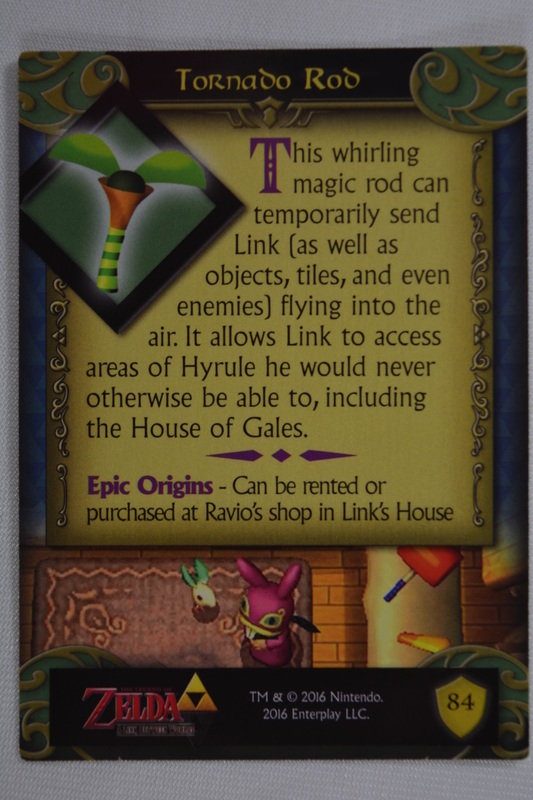 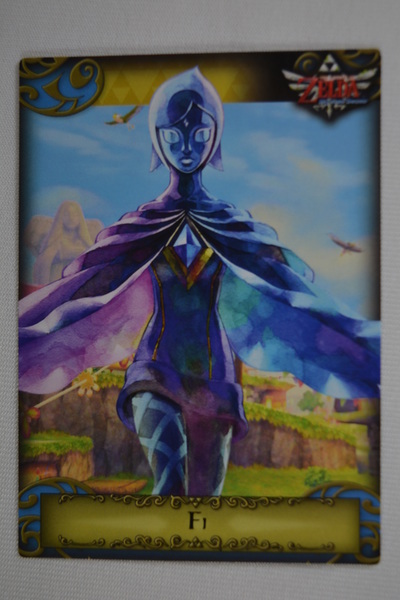 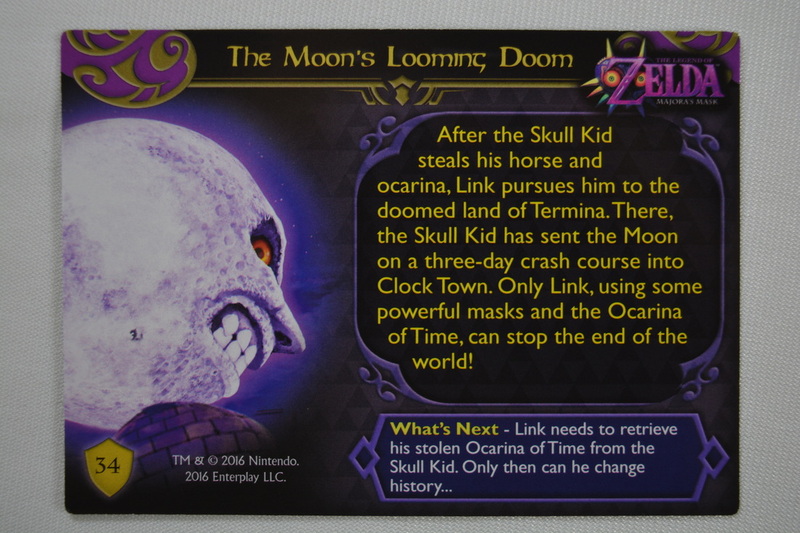 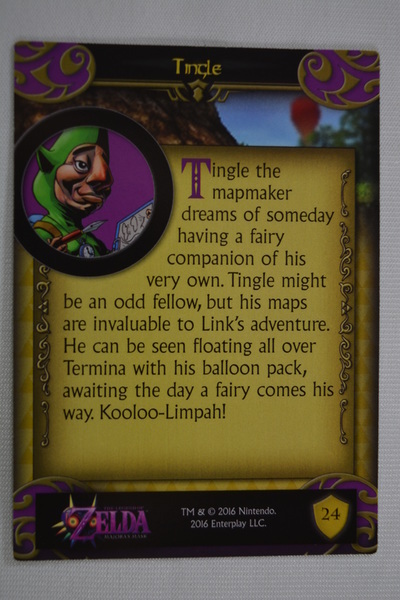 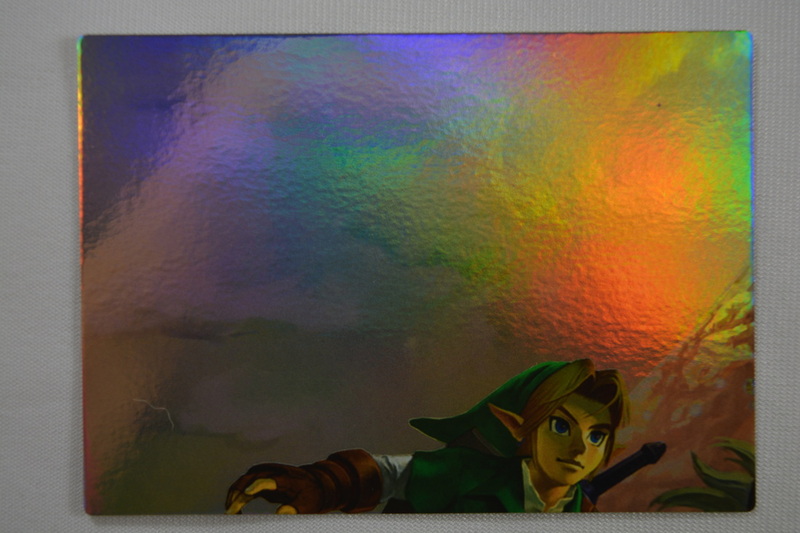 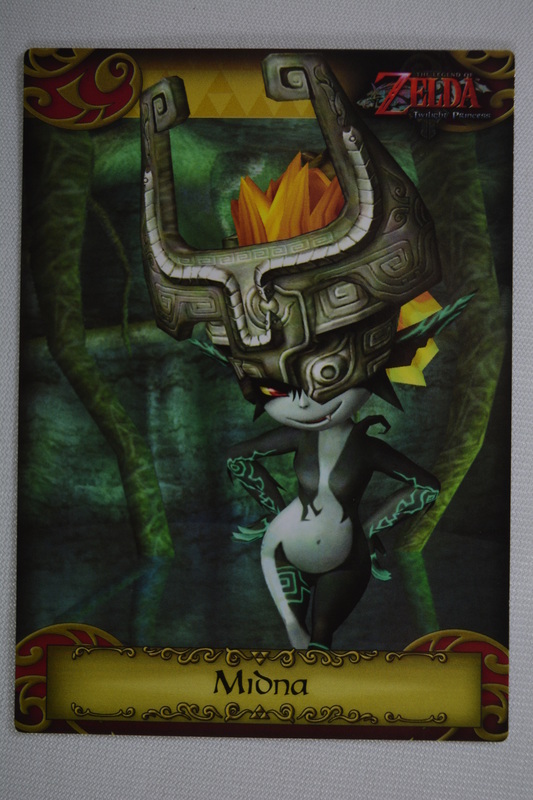 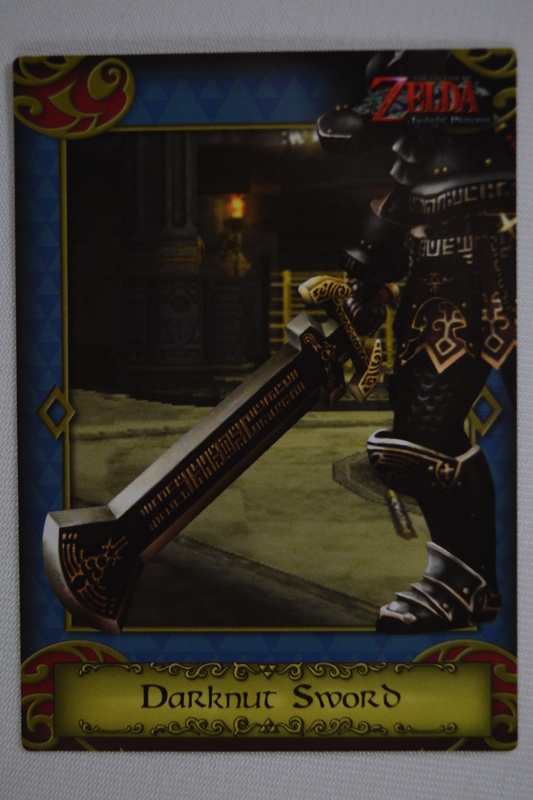 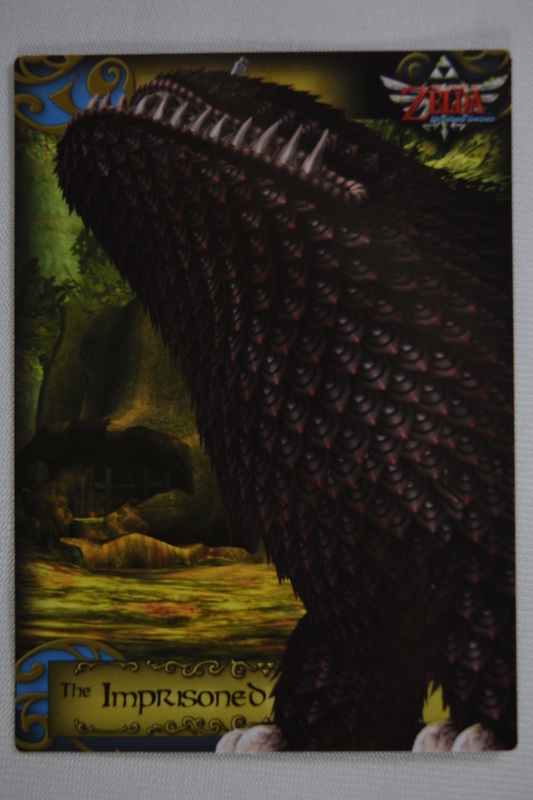 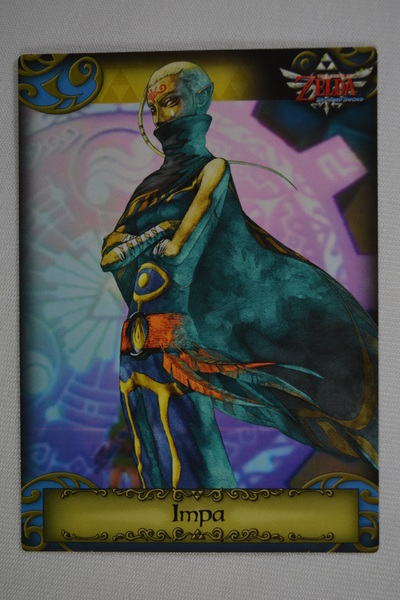 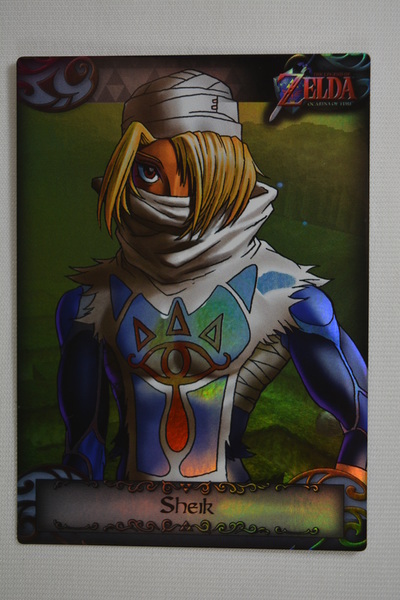 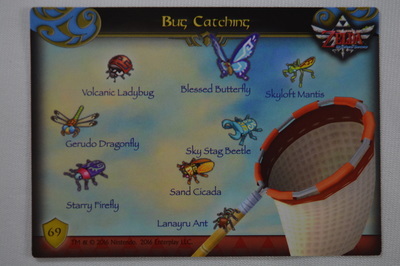 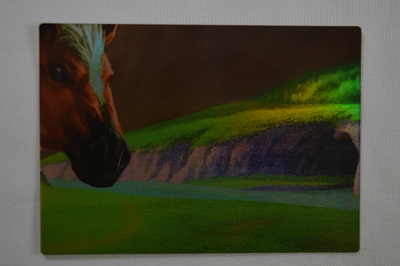 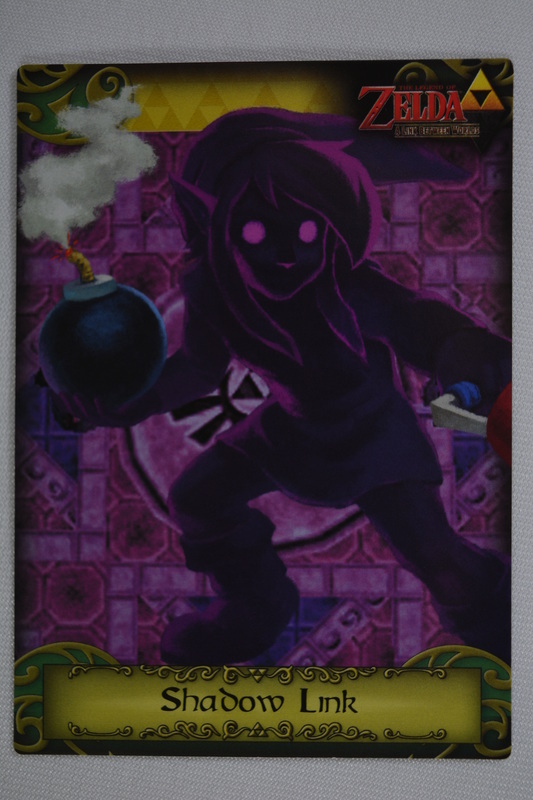 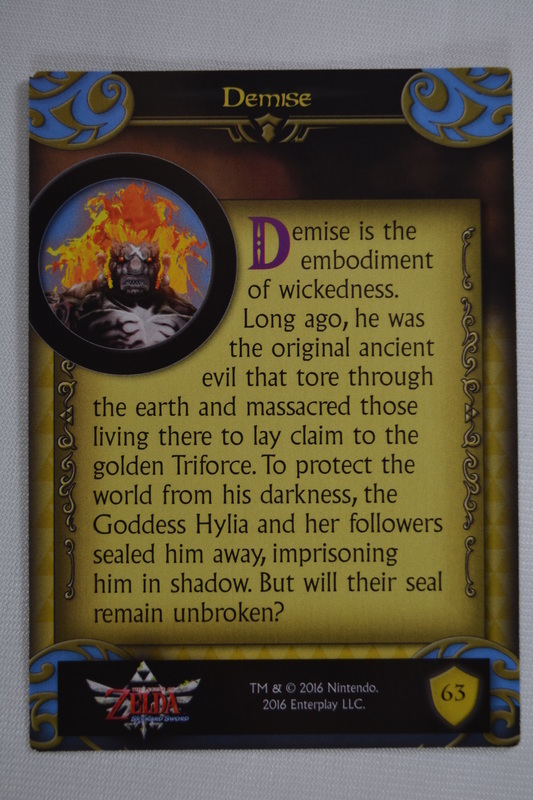 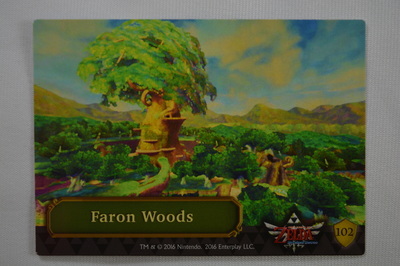 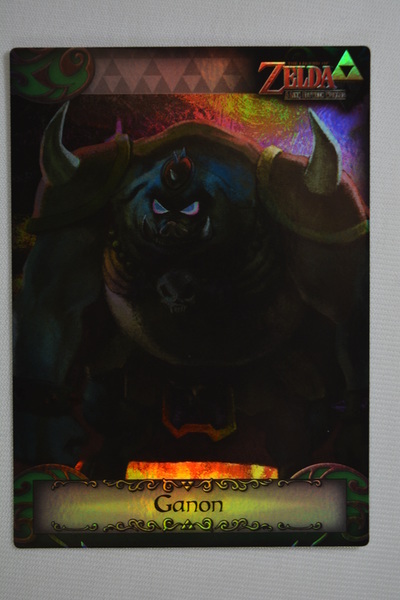 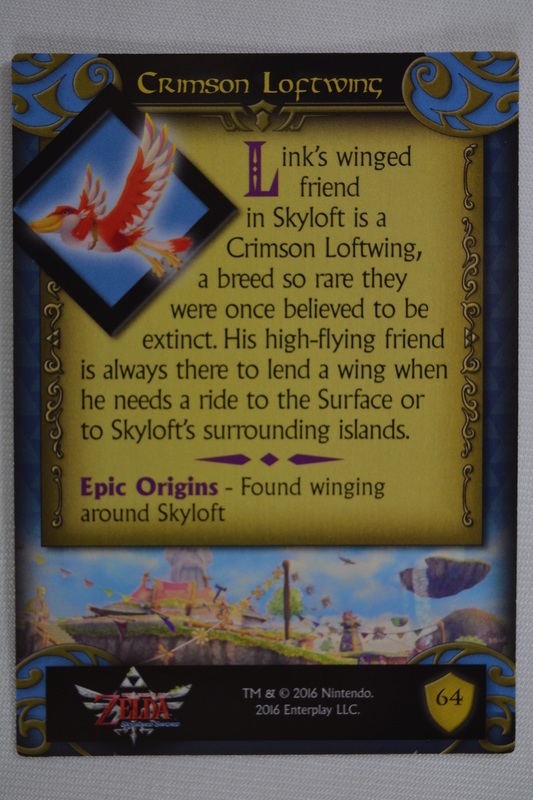 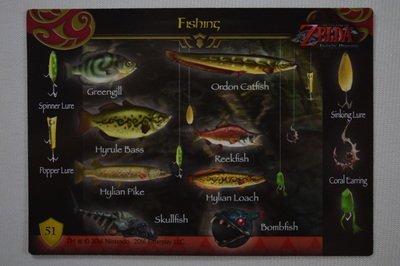 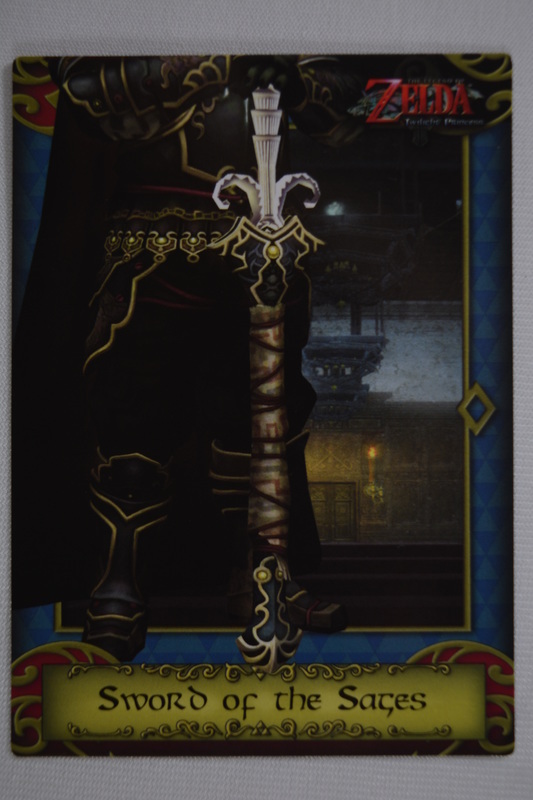 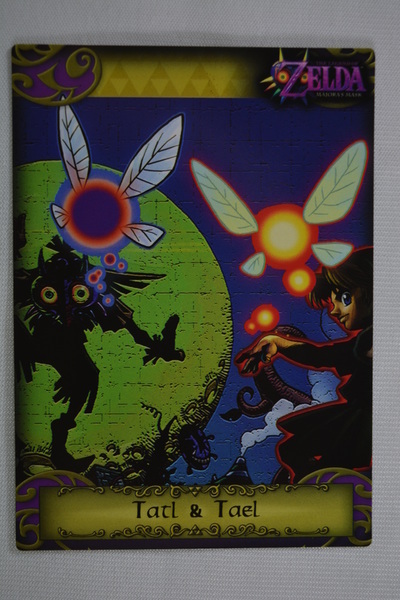 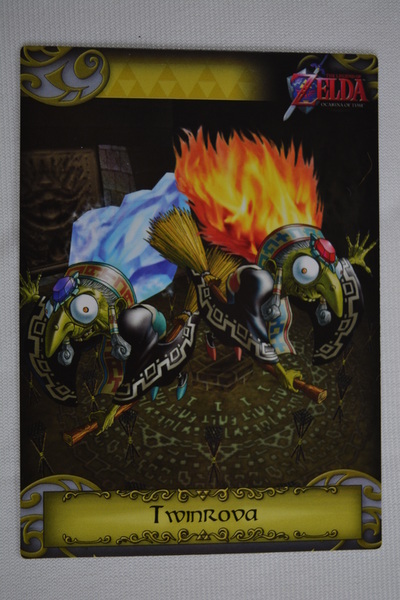 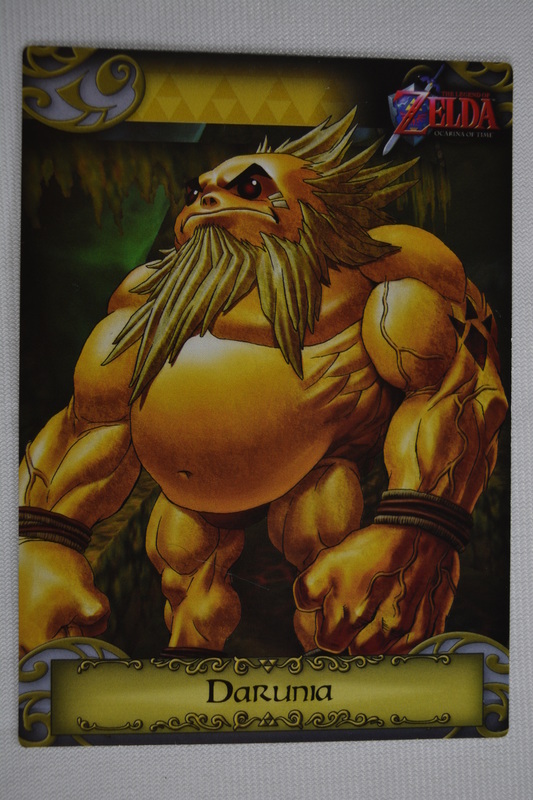 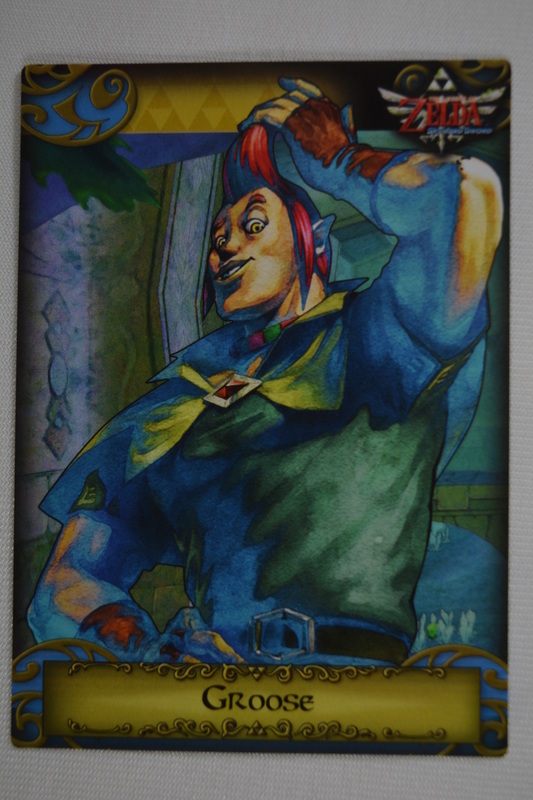 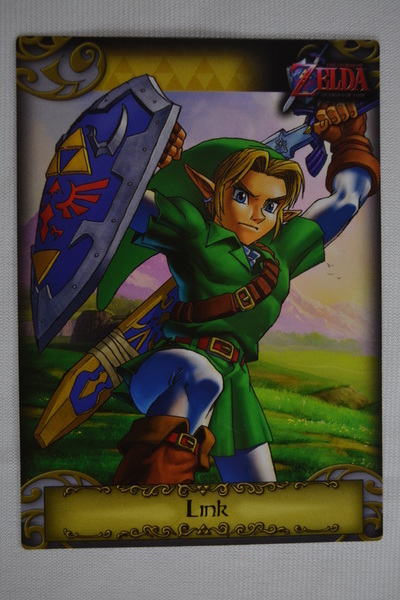 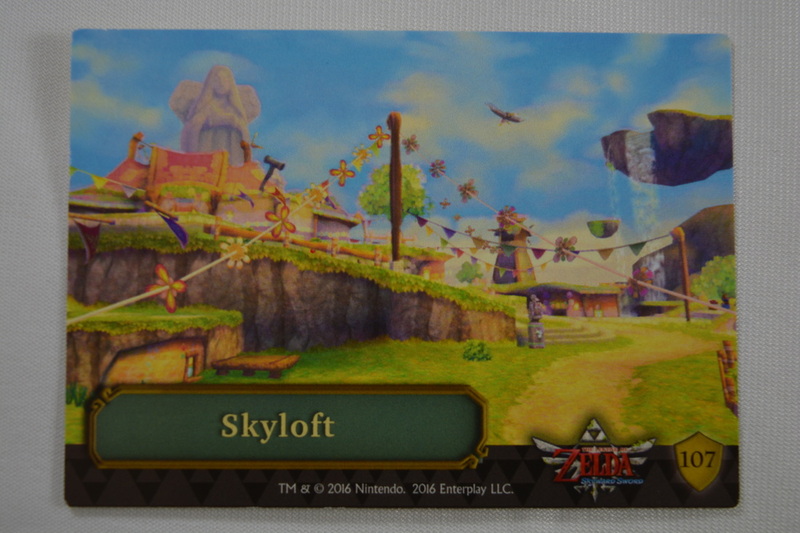 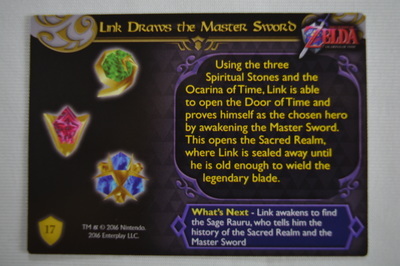 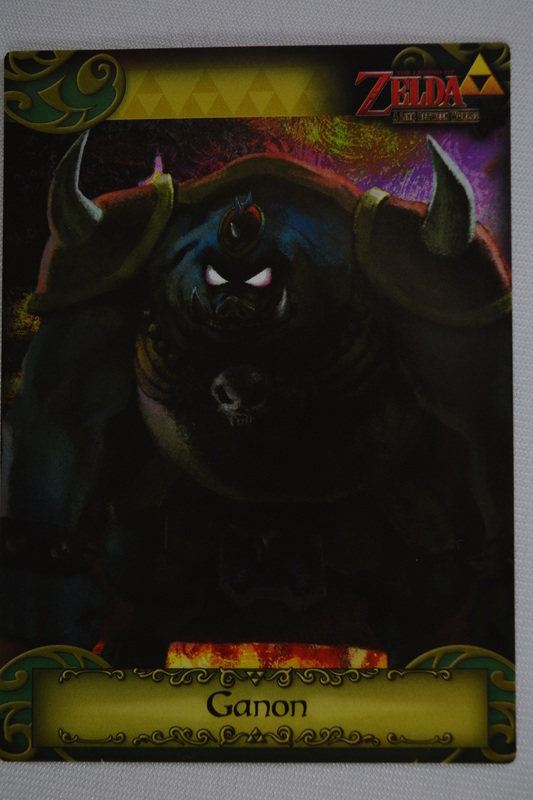 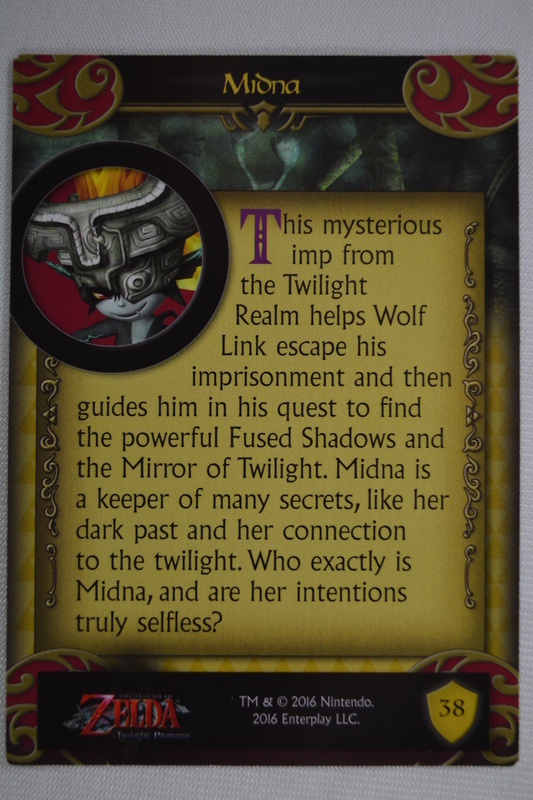 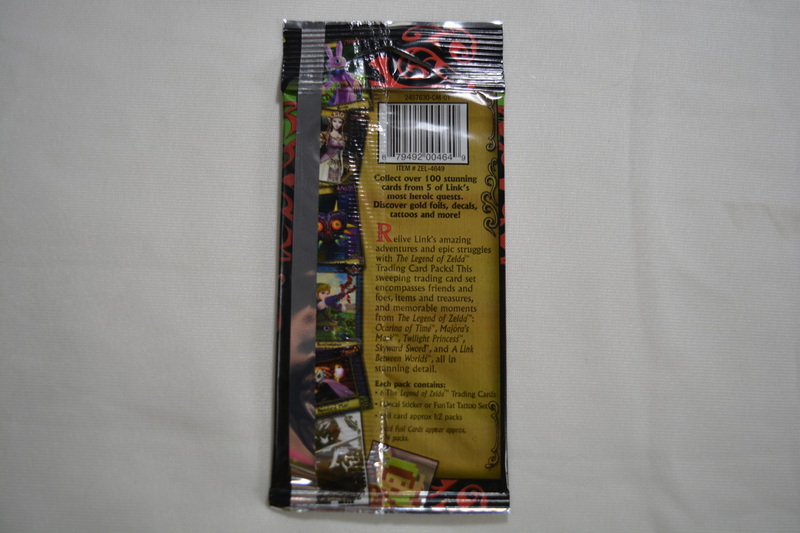 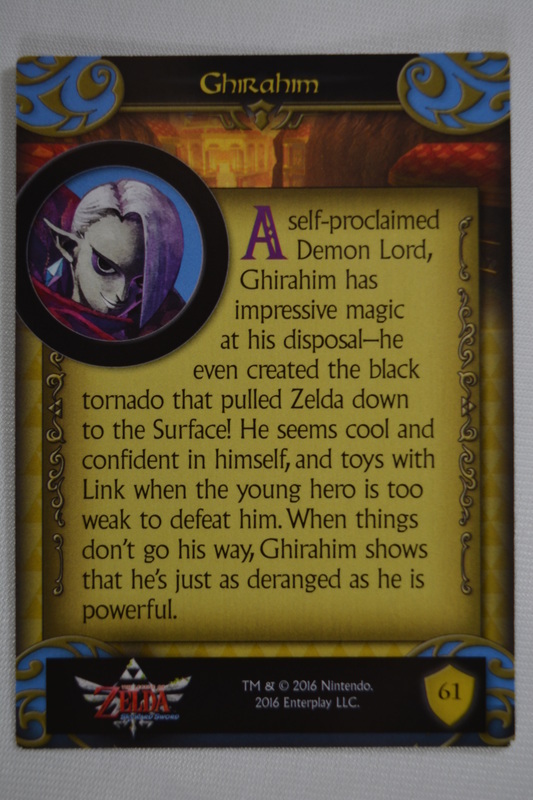 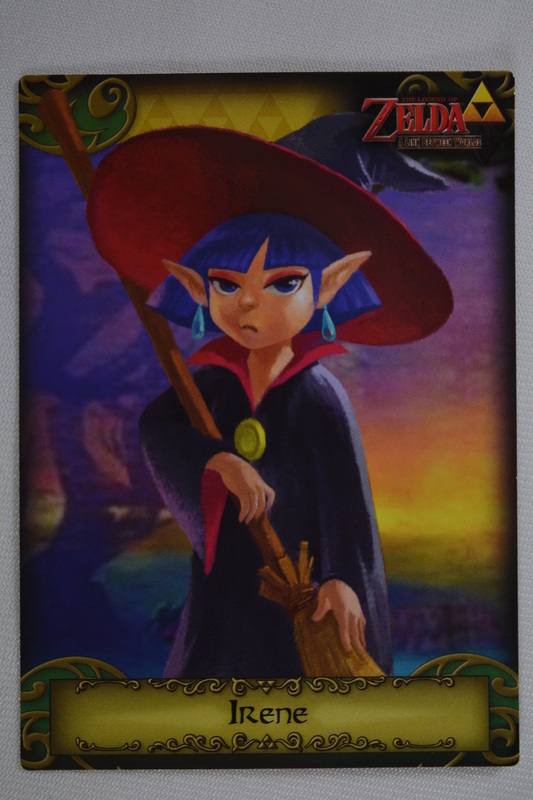 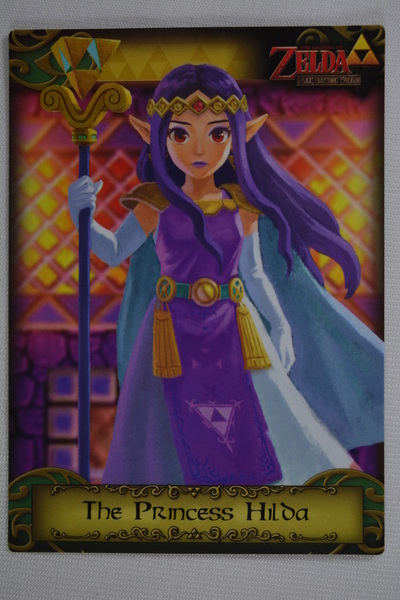 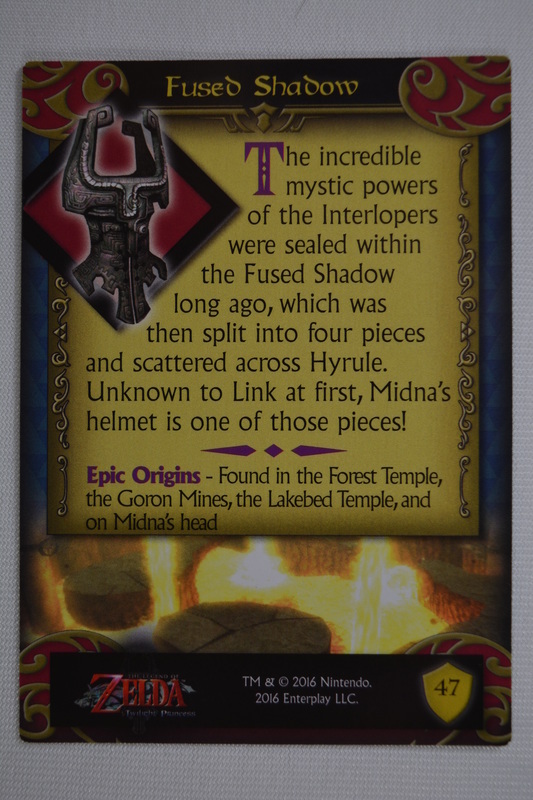 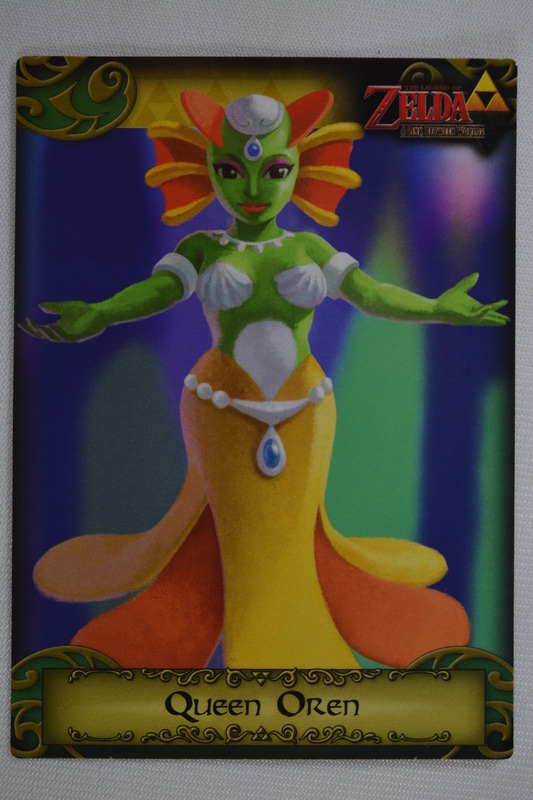 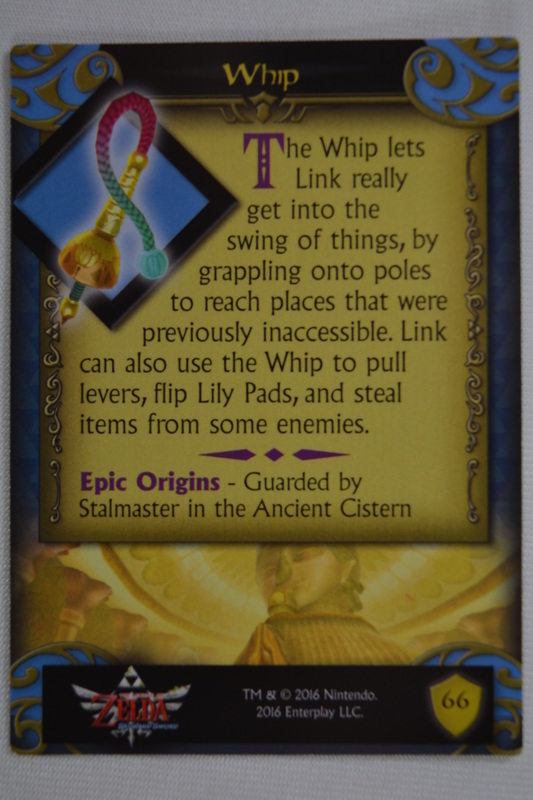 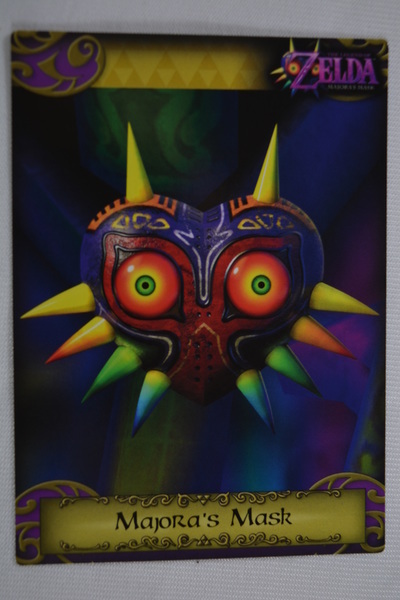 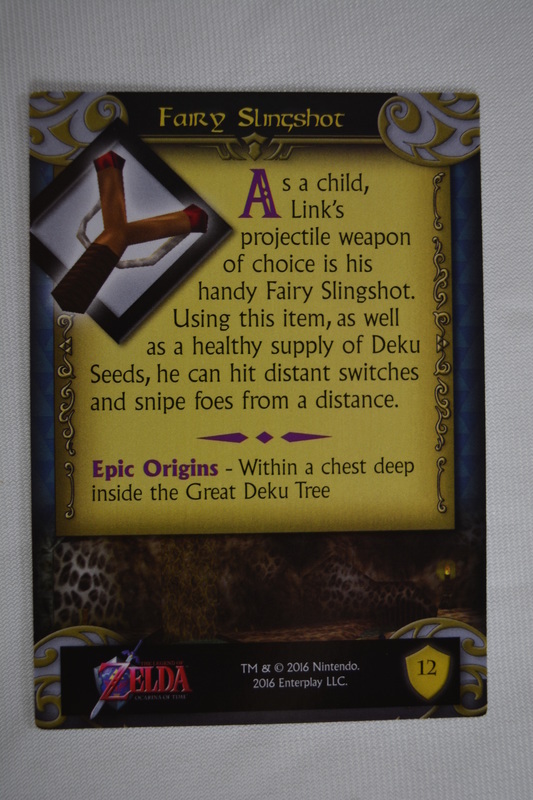 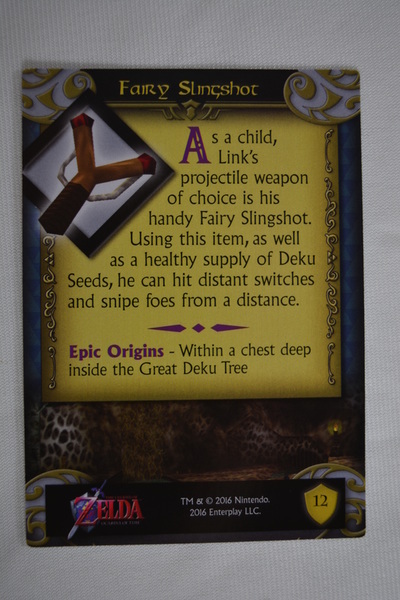 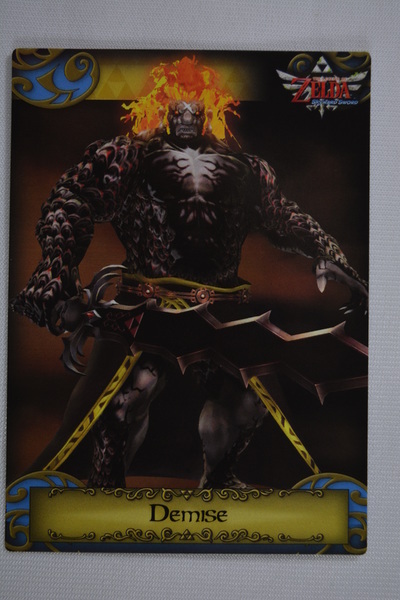 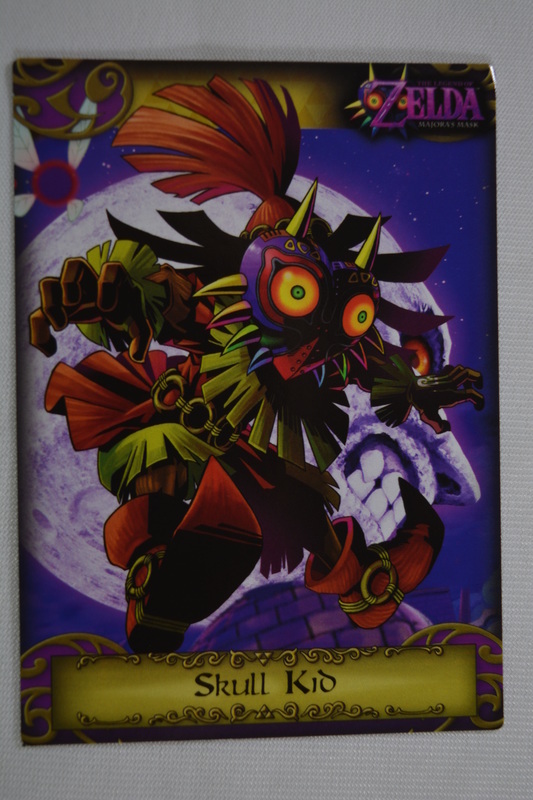 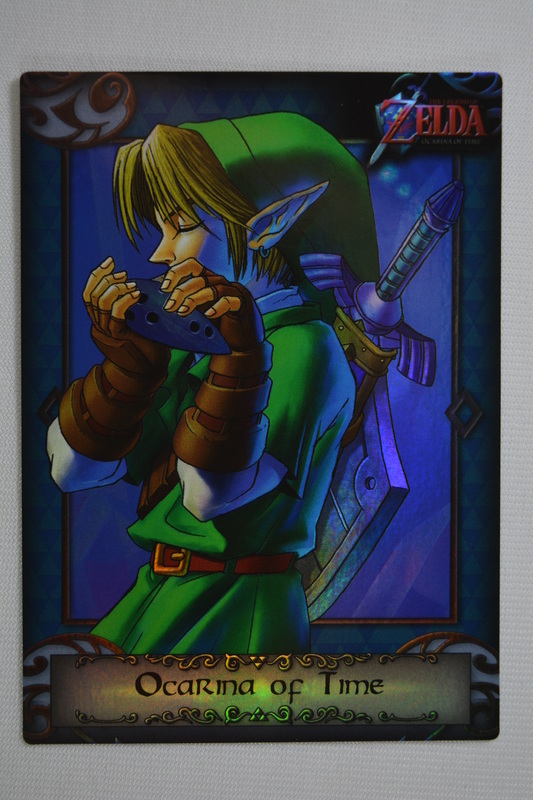 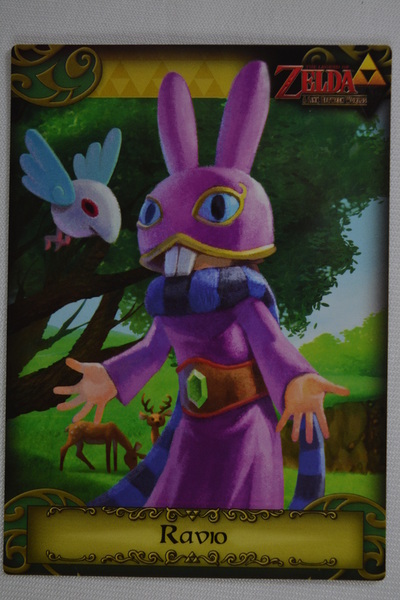 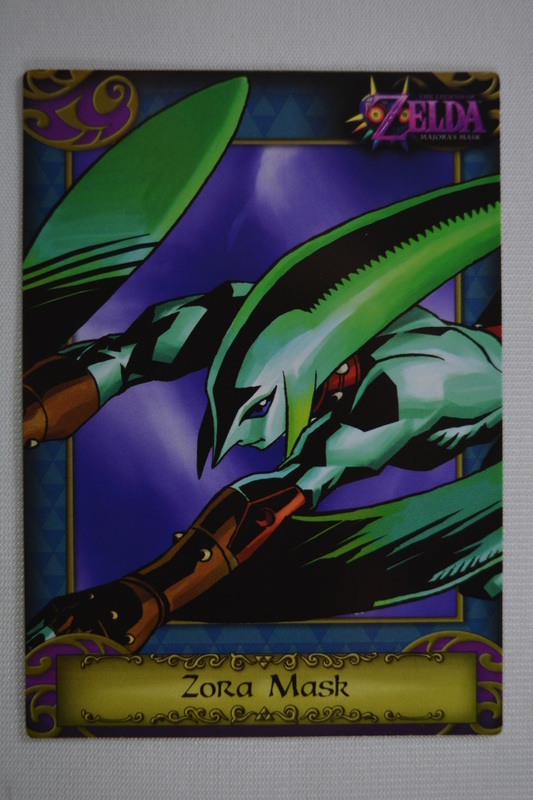 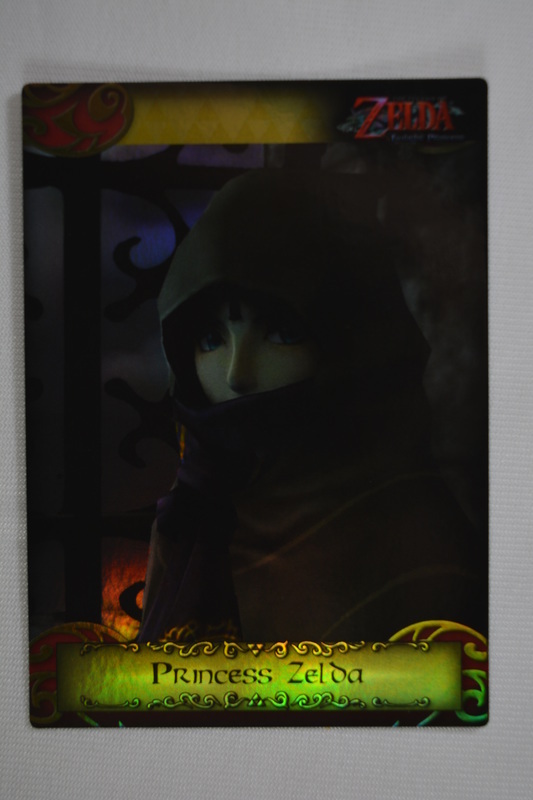 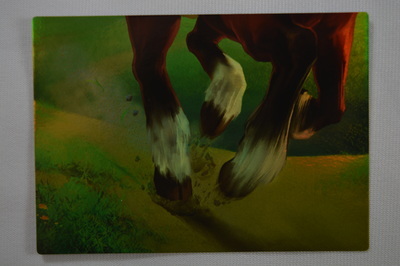 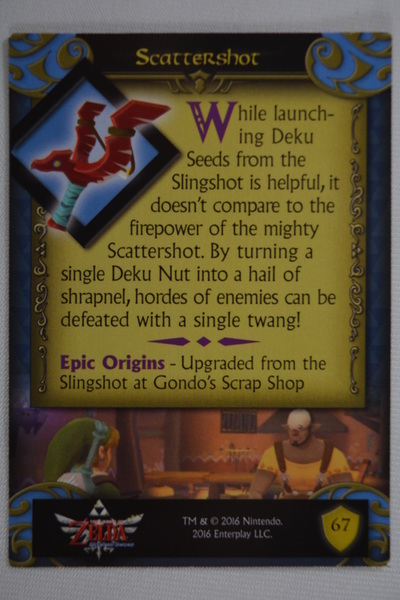 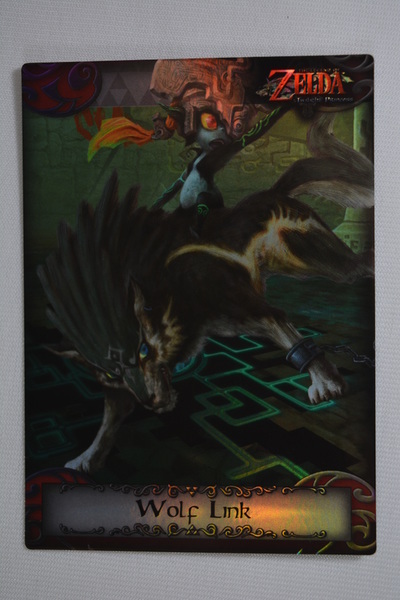 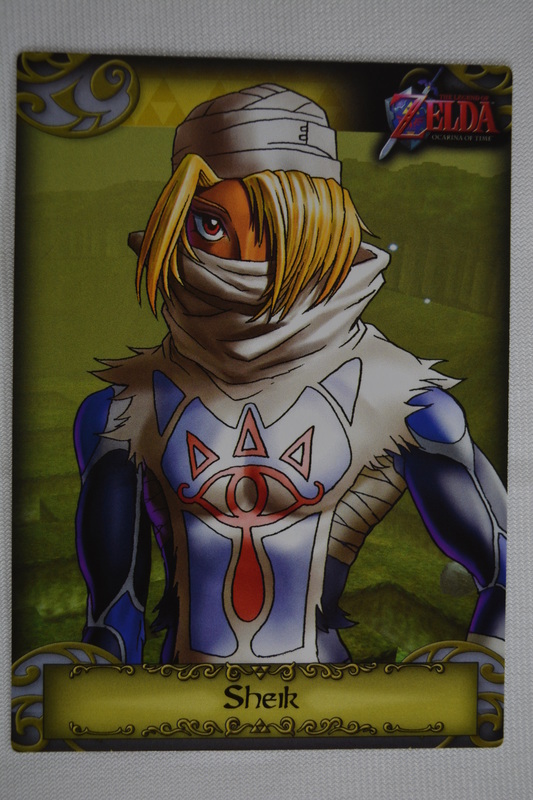 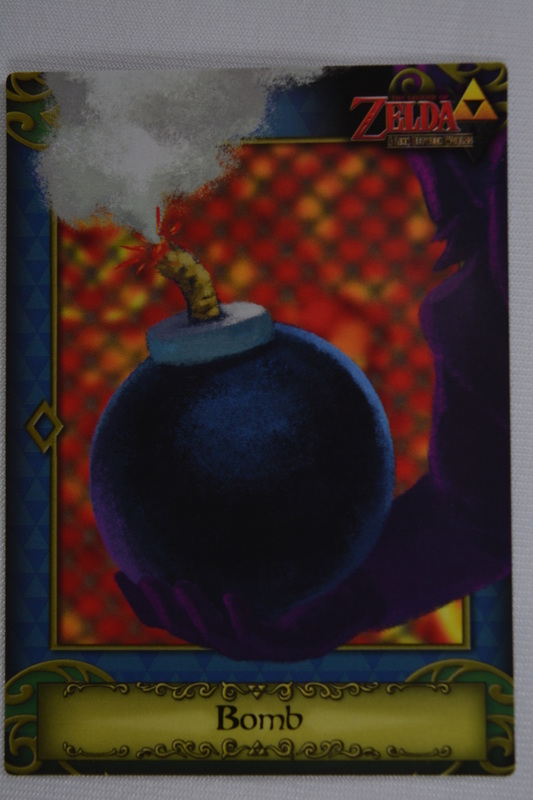 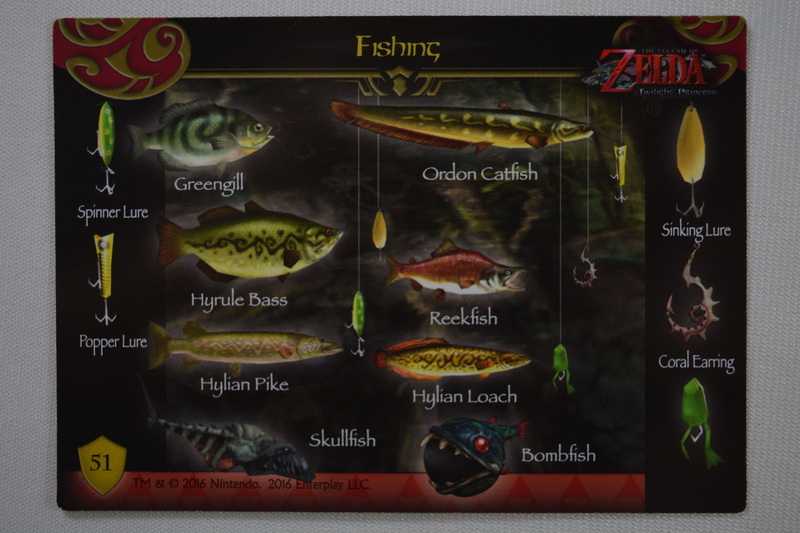 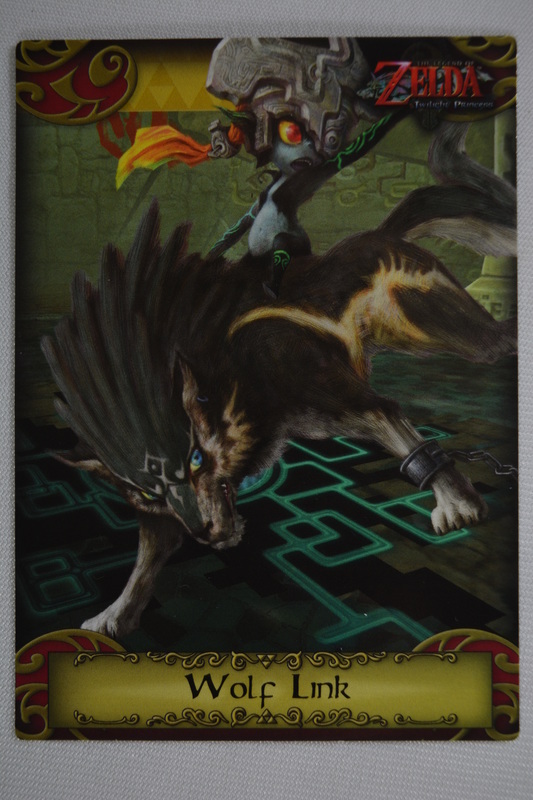 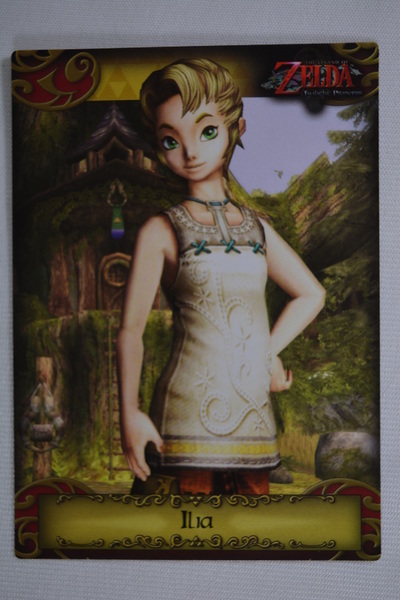 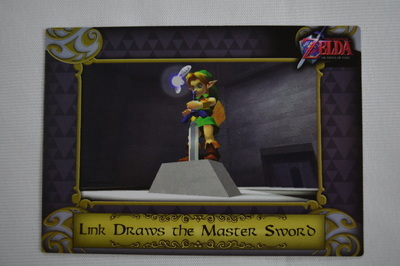 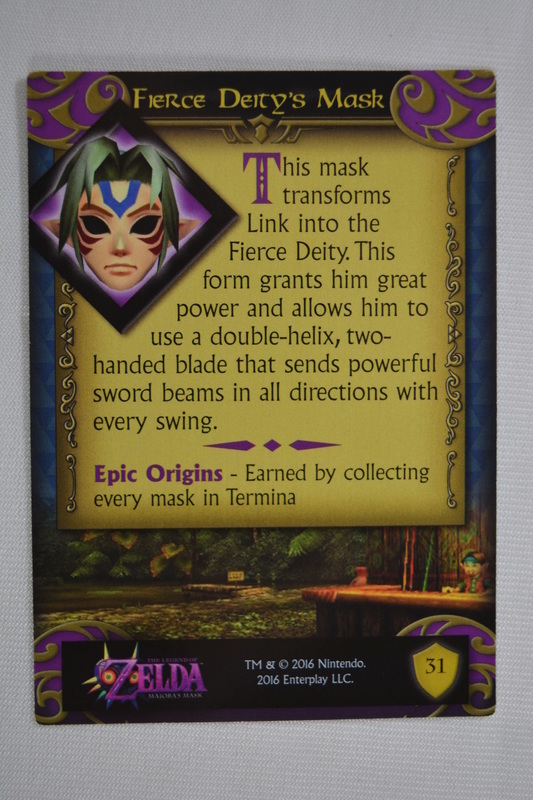 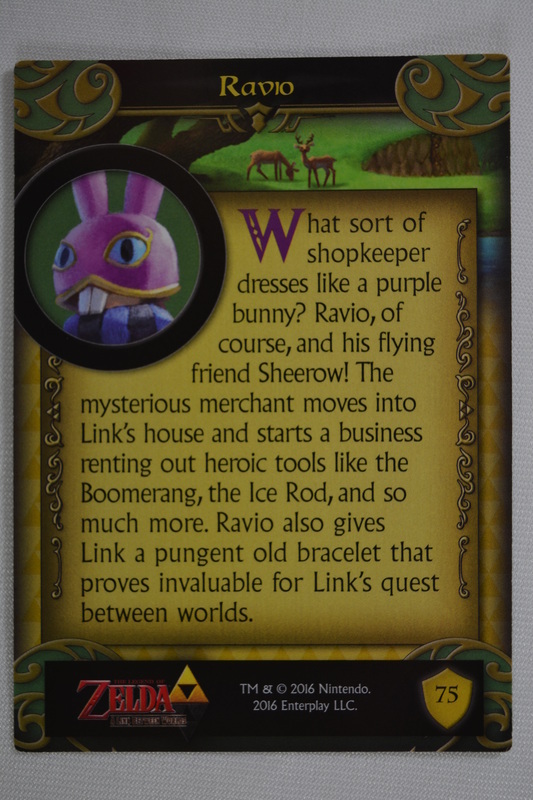 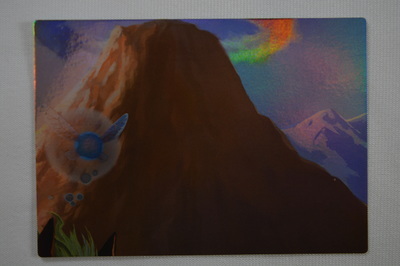 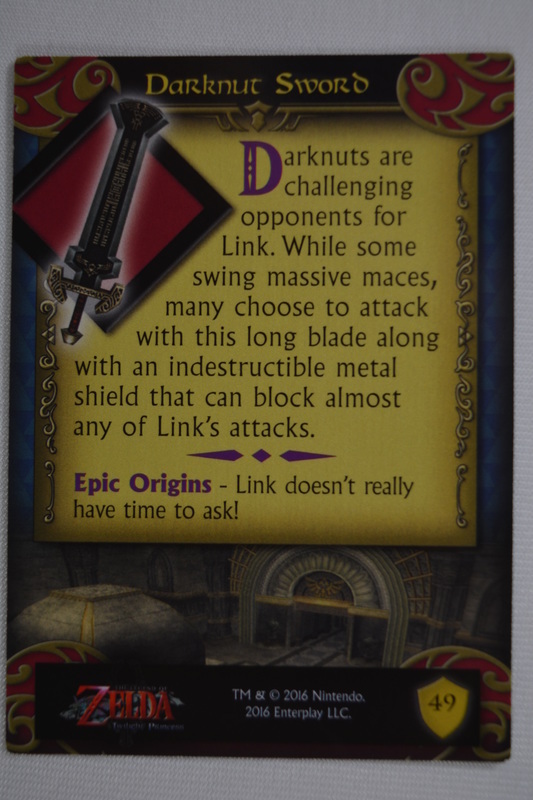 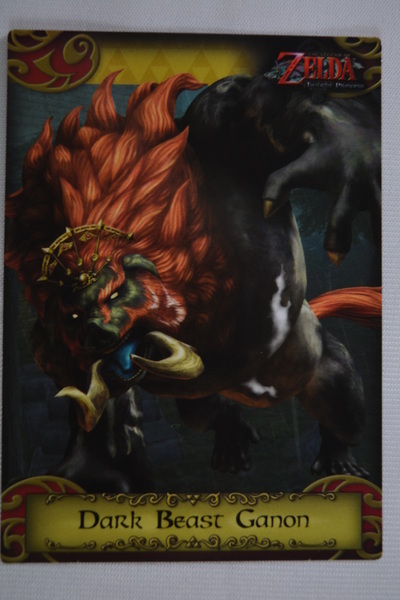 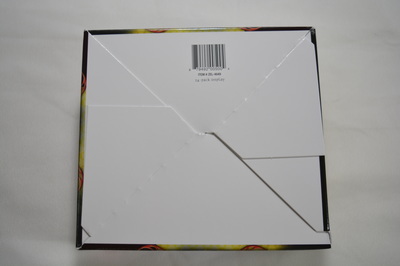 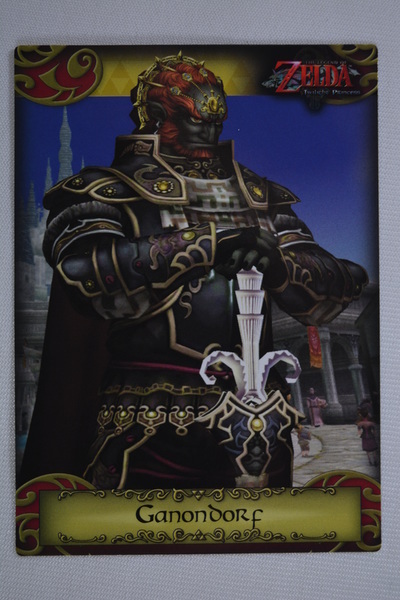 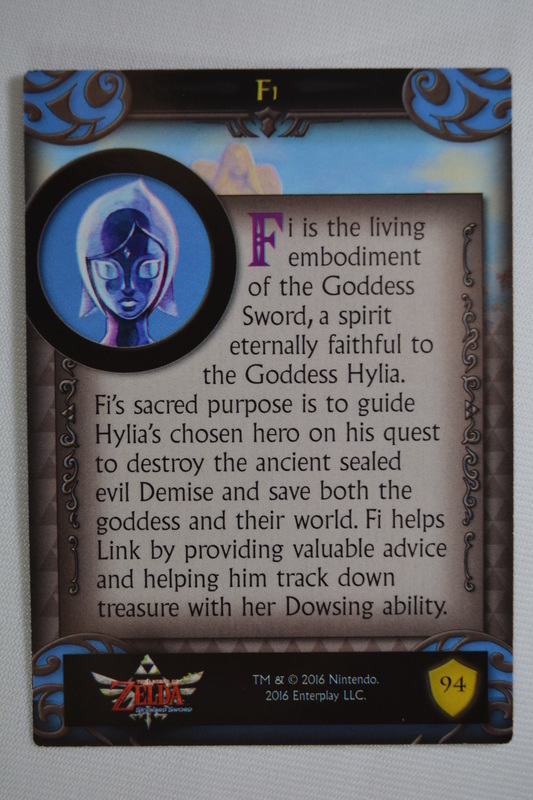 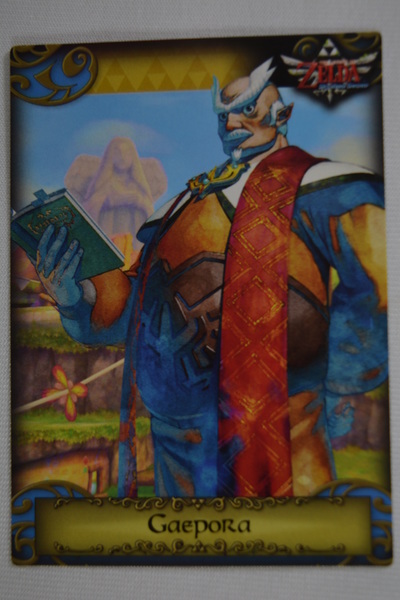 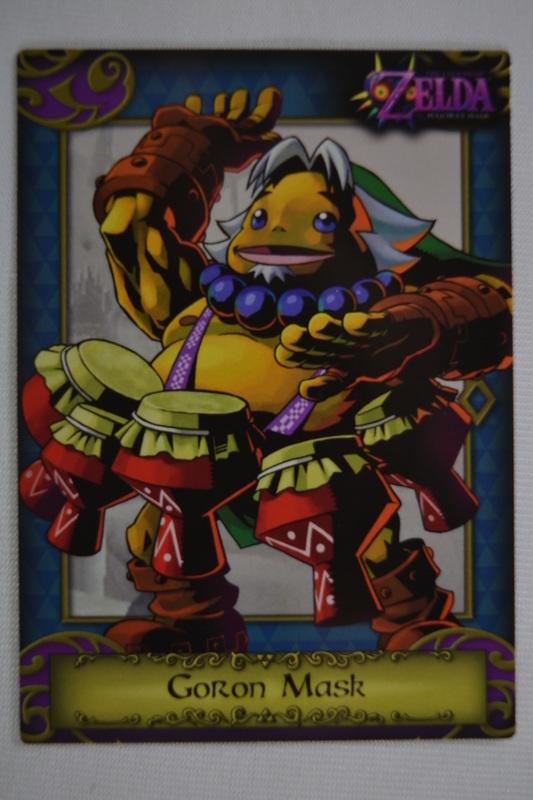 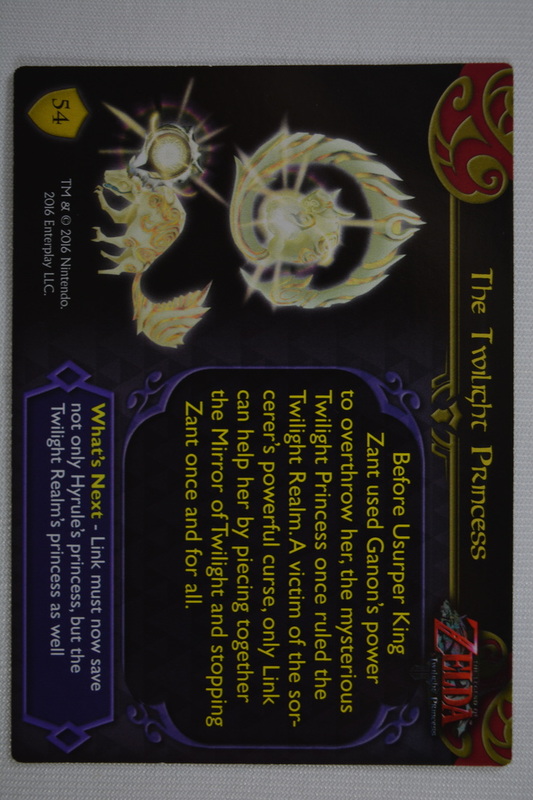 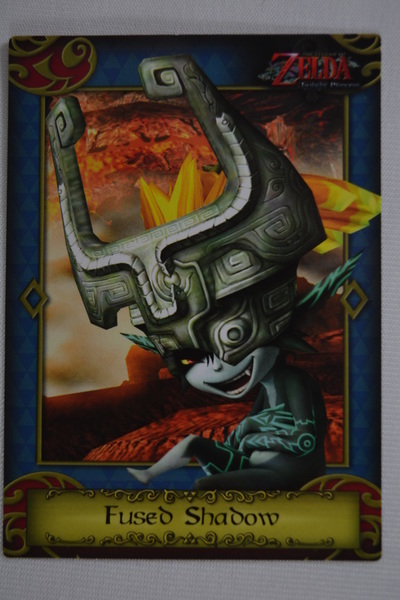 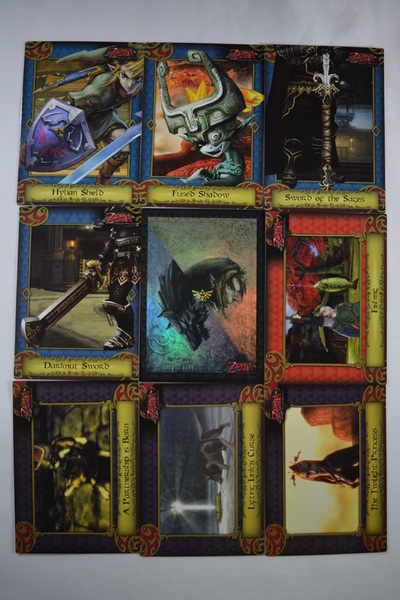 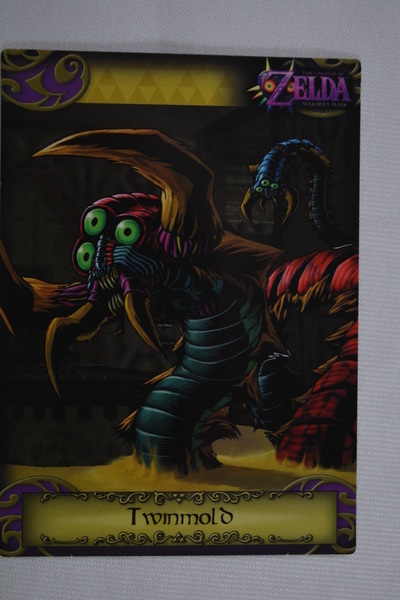 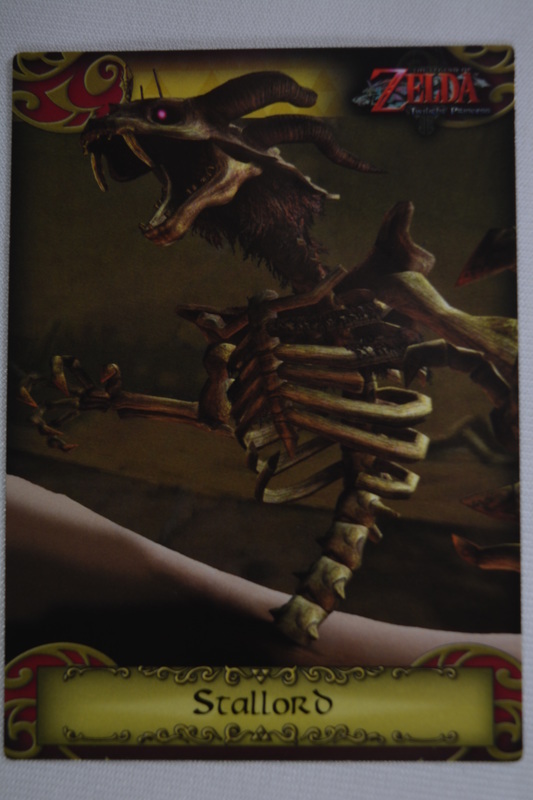 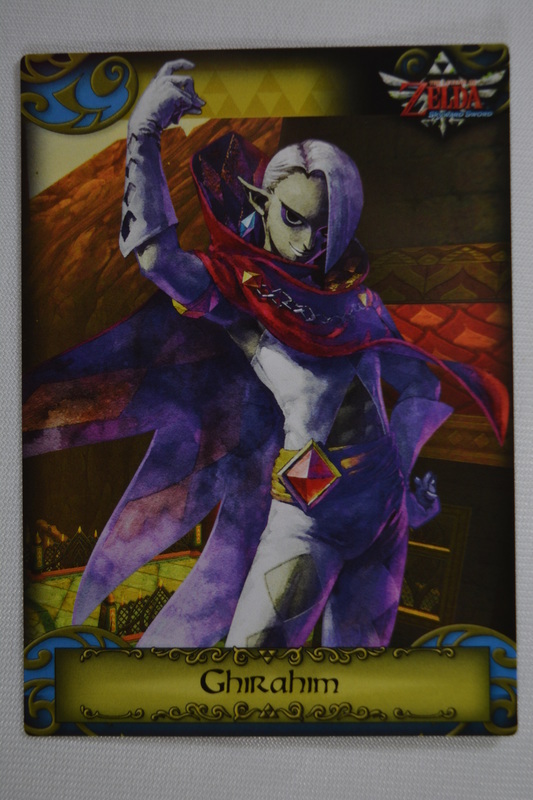 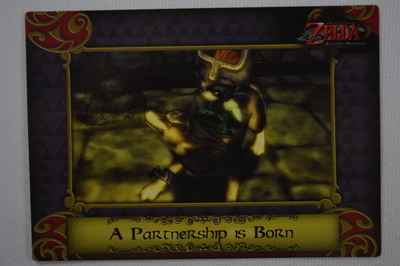 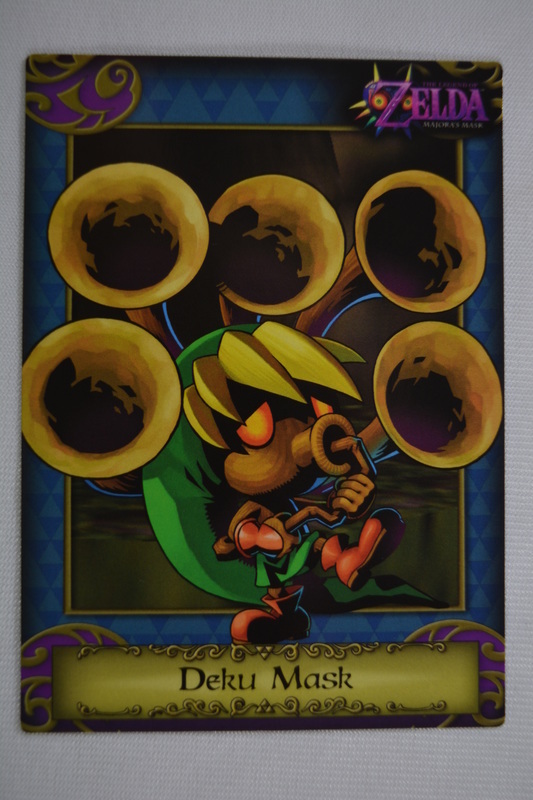 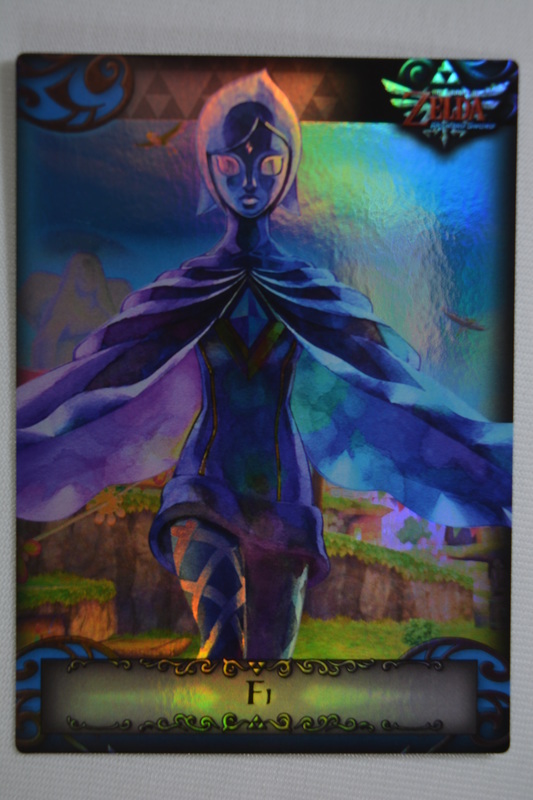 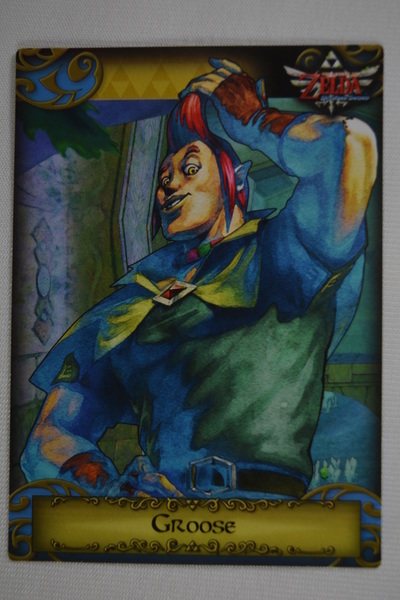 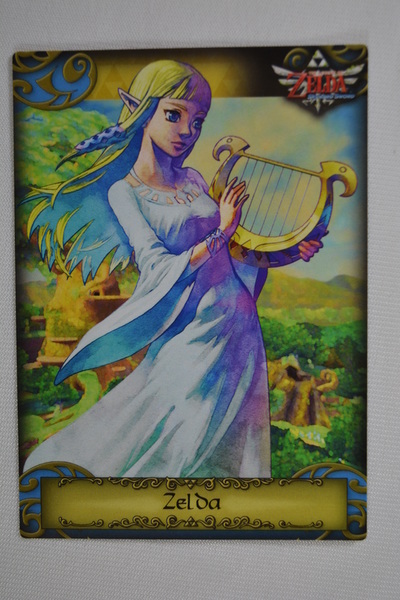 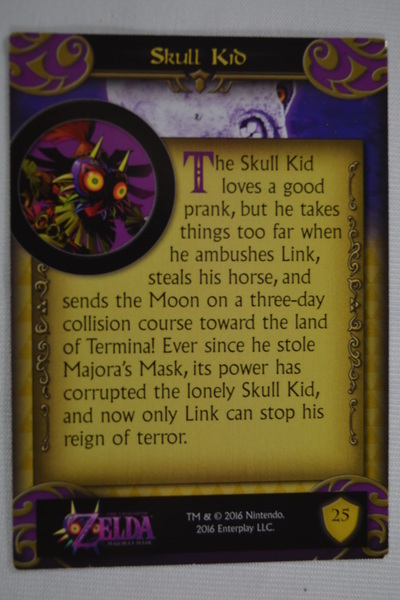 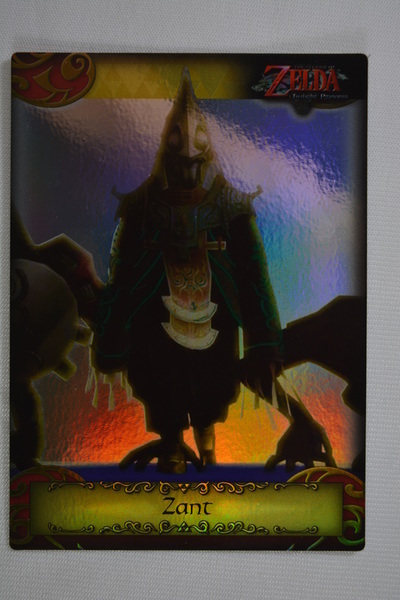 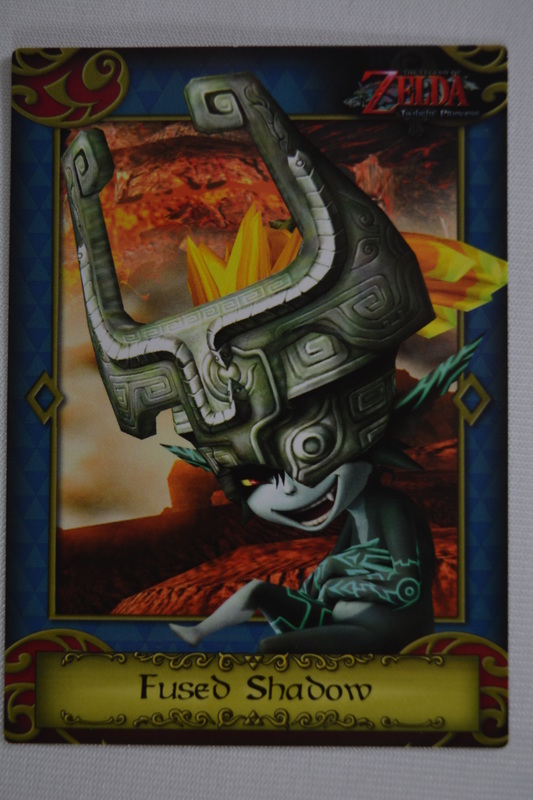 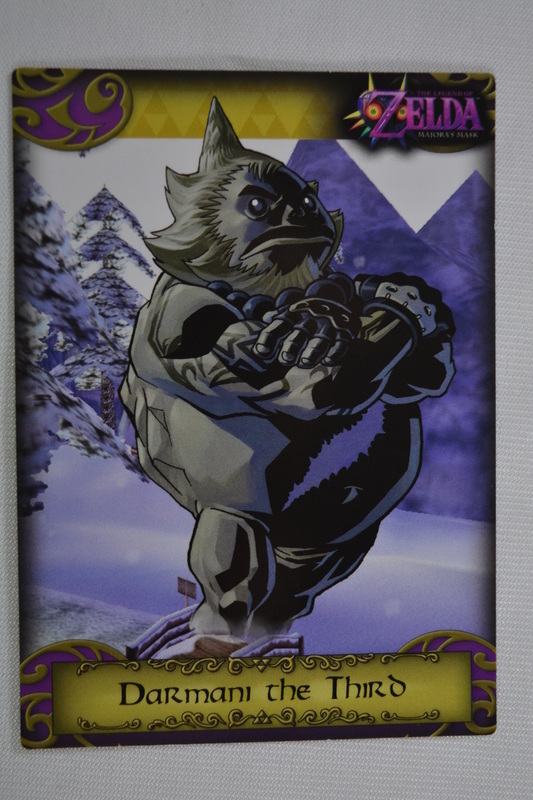 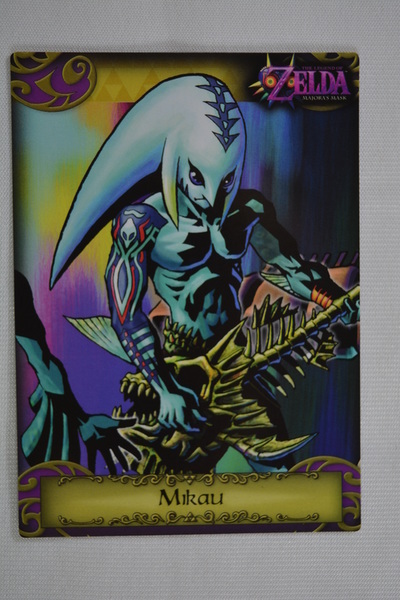 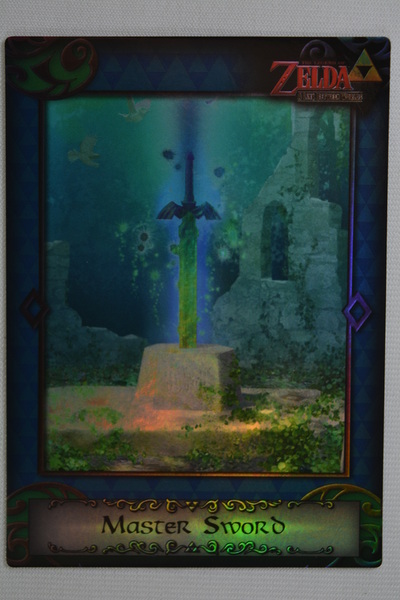 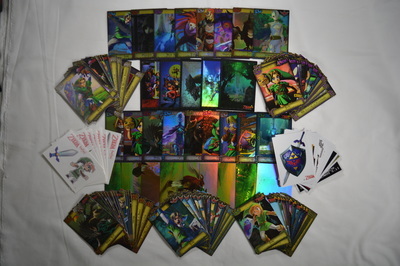 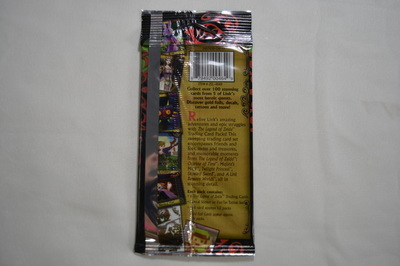 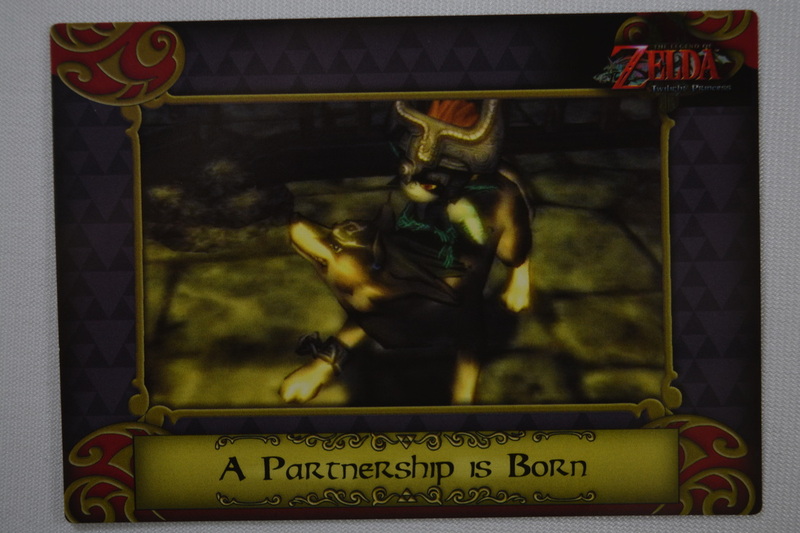 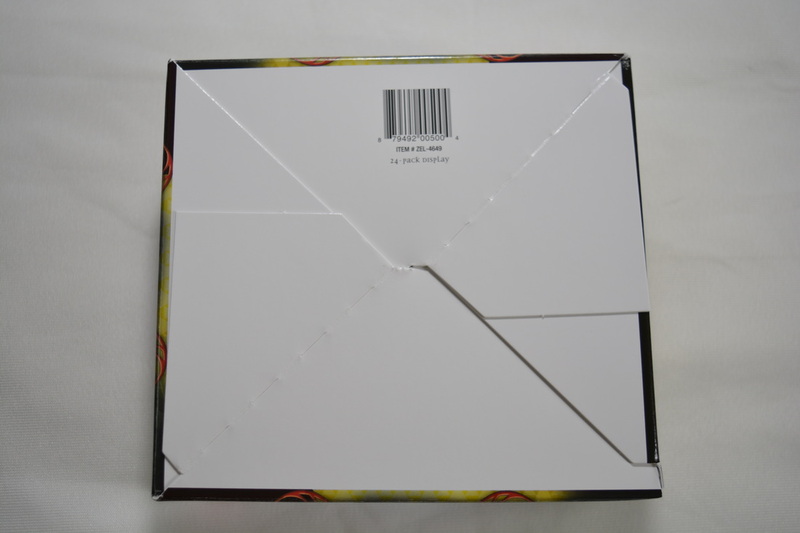 Each game has 18 cards featuring characters and items found in their particular game with 1:18 of these cards being a Silver Foil of the main artwork for said game. 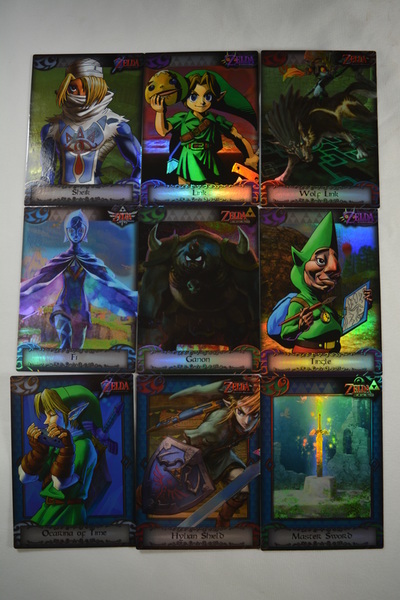 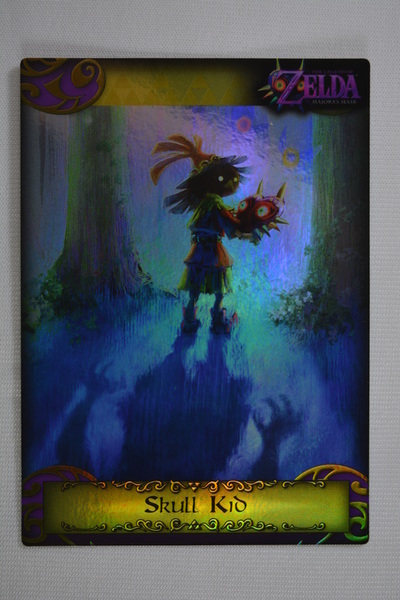 There are 9 Silver Foil Character Cards, 9 Silver Foil Region/Puzzle cards for a total of 23 Silver Foil Cards. There are also 9 Gold Foil cards (with G1-G8 being available in the initial release of the set and G9 being exclusive to the "Fun Box" value box scheduled to launch later in 2016. 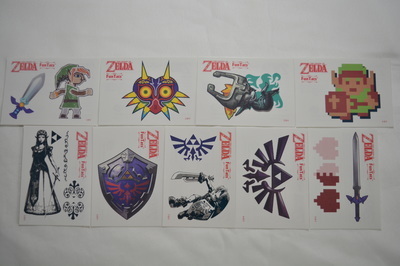 The set also includes 12 decal stickers and 9 temporary tattoos.